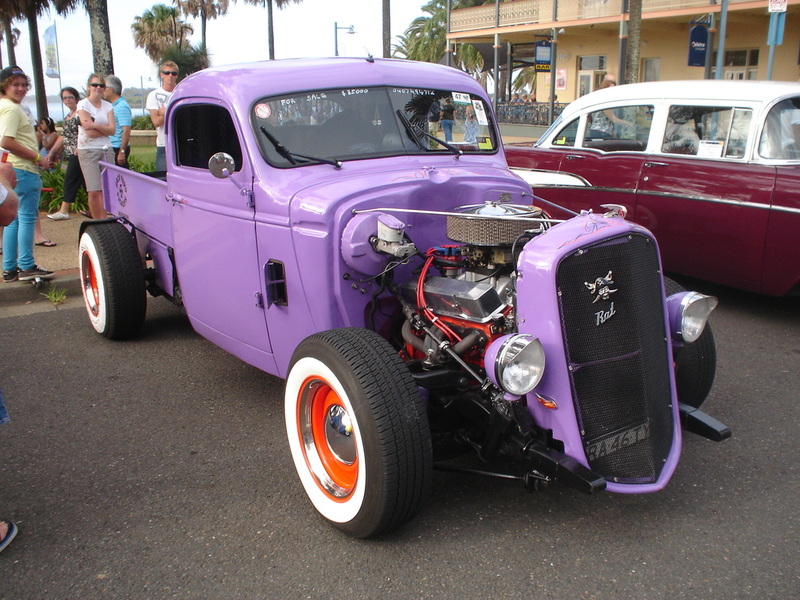 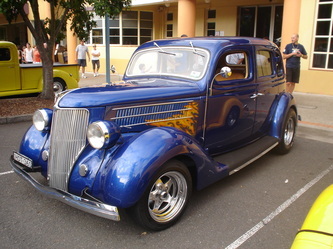 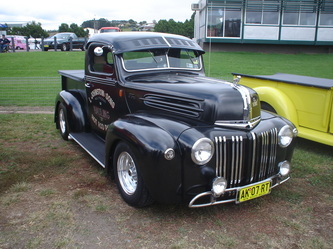 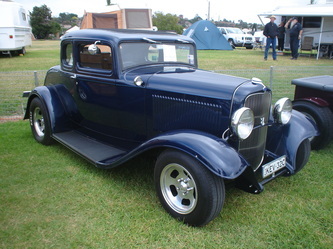 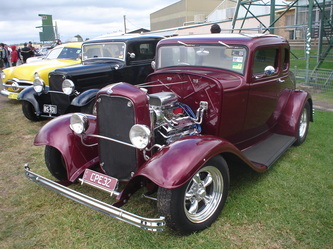 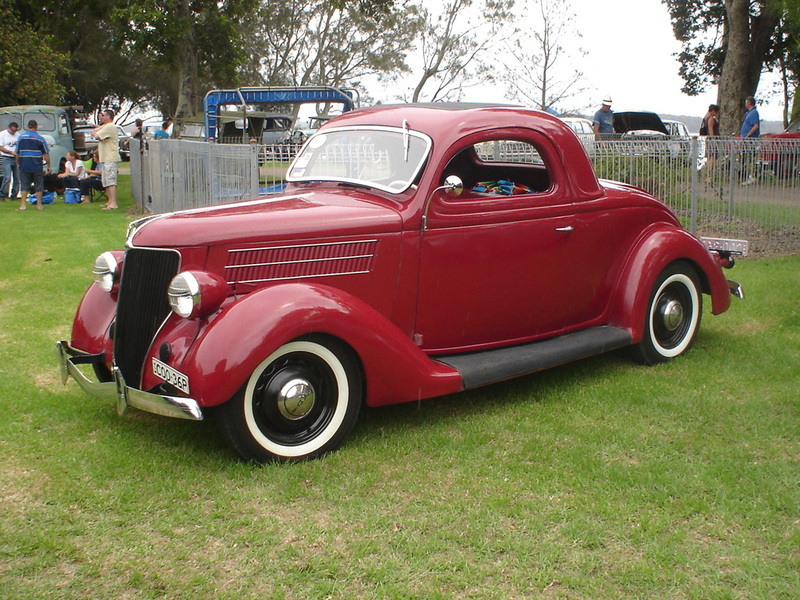 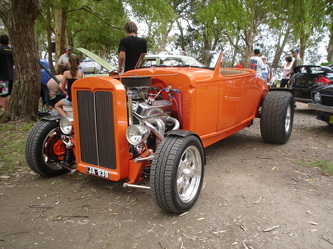 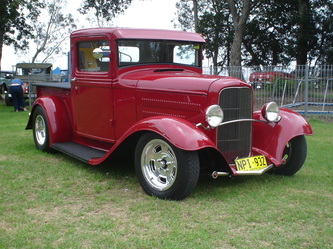 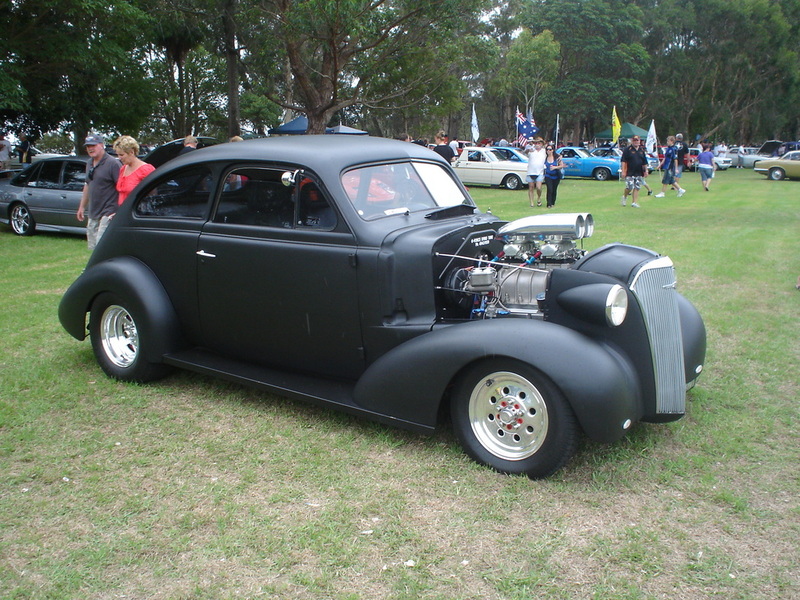 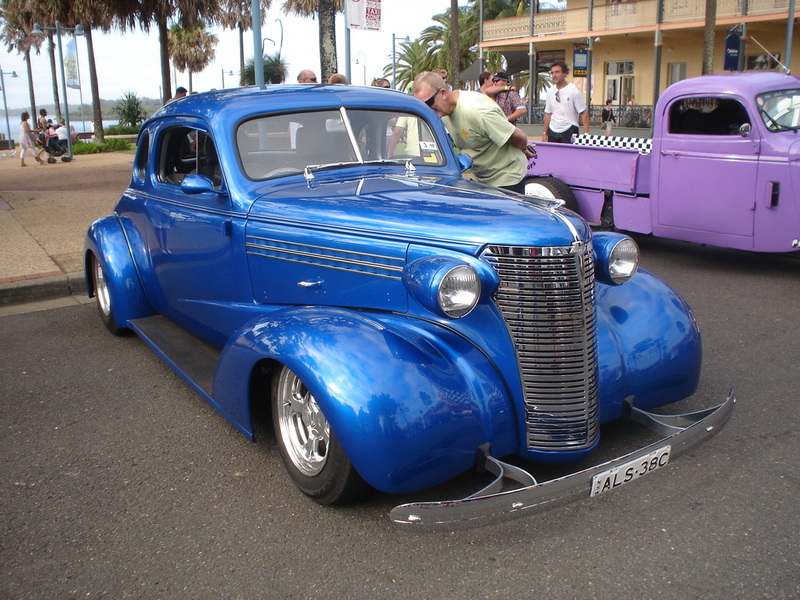 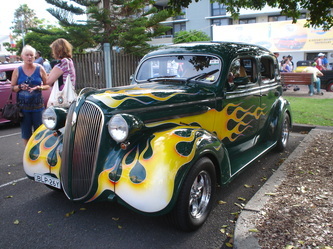 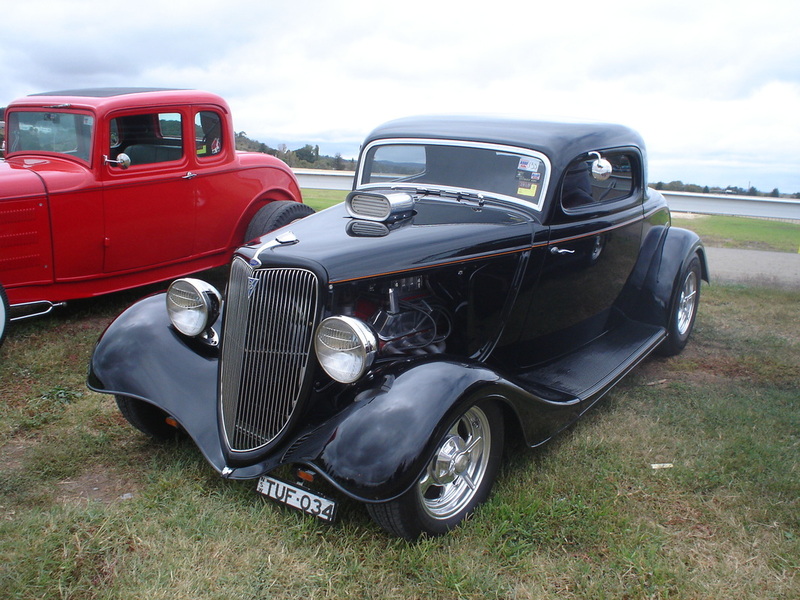 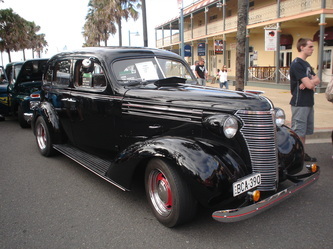 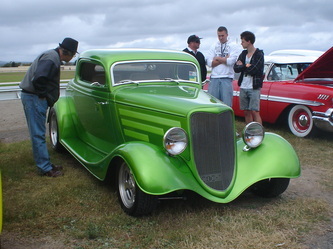 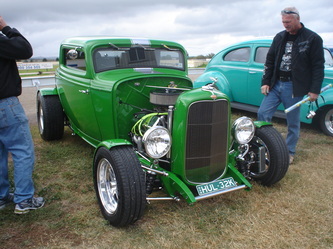 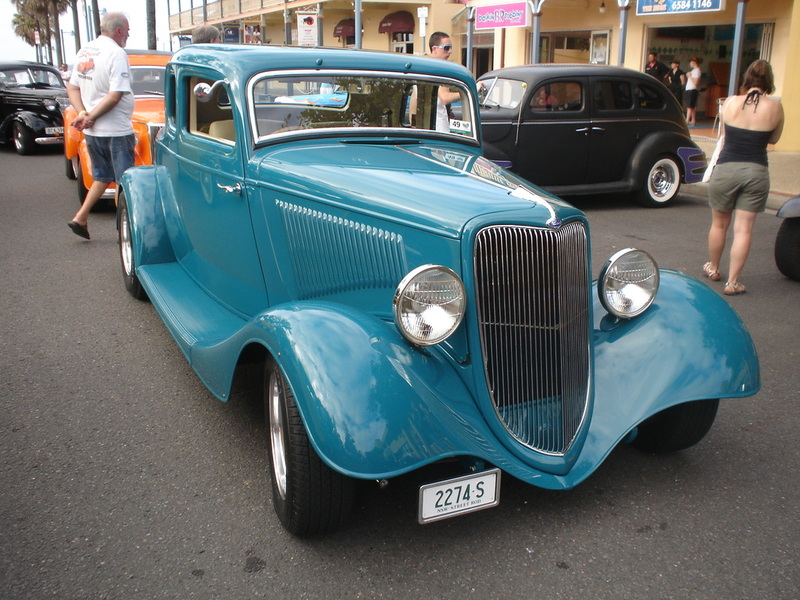 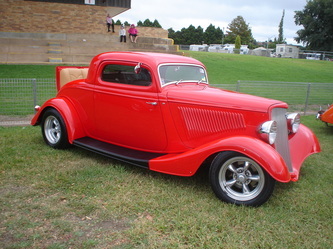 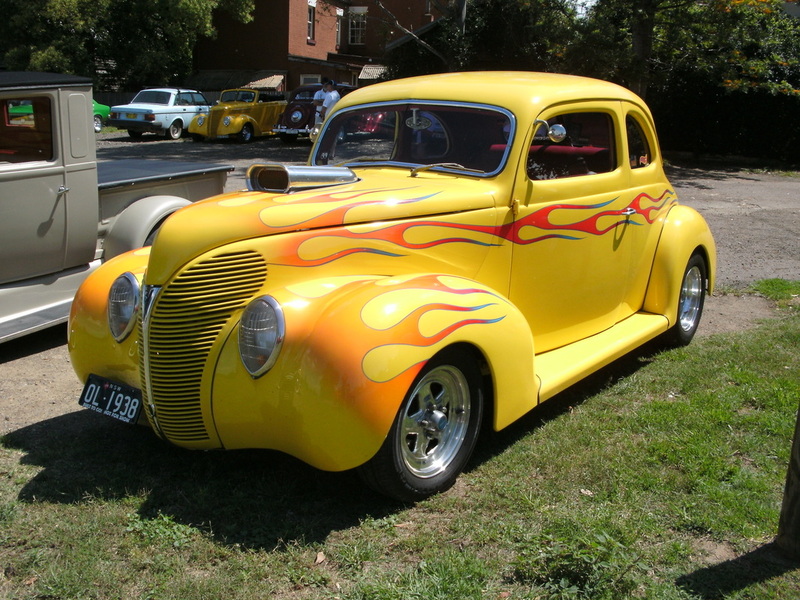 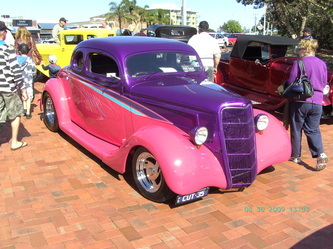 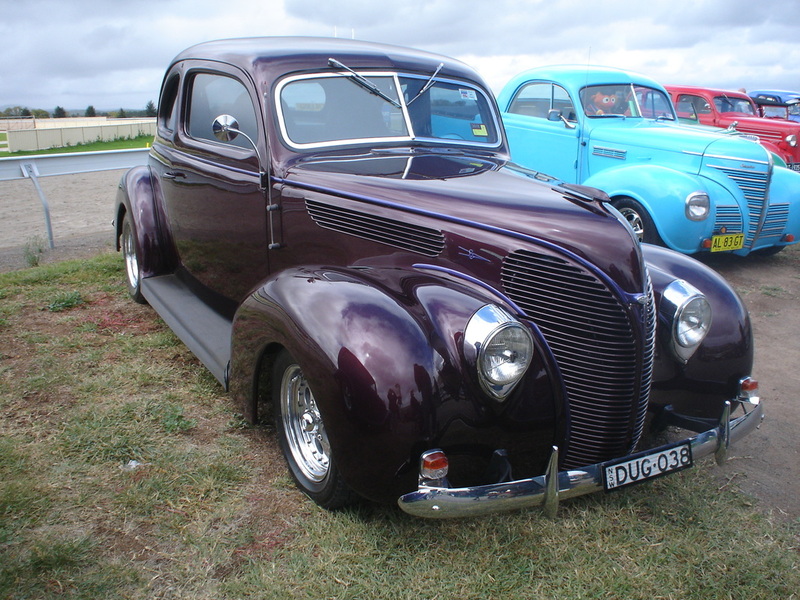 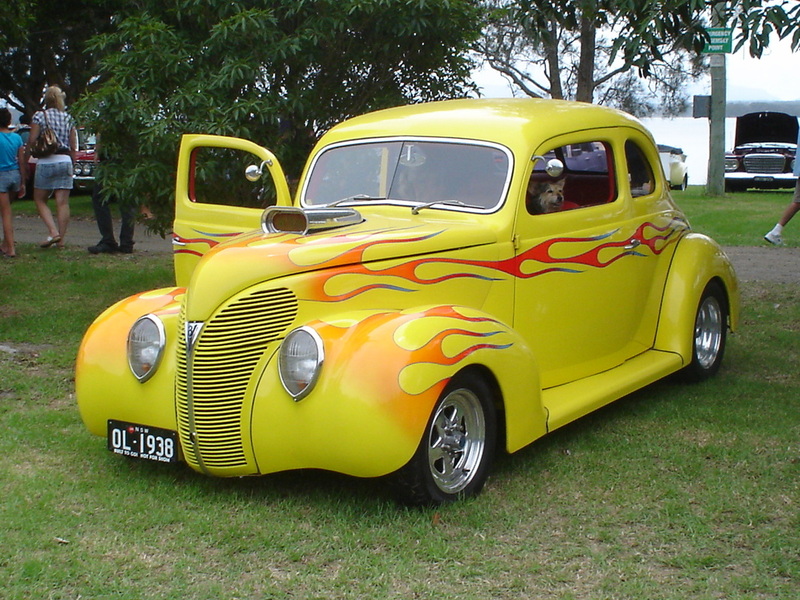 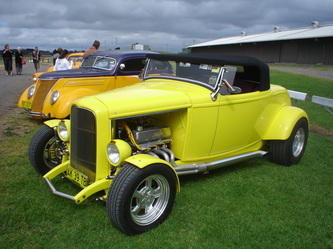 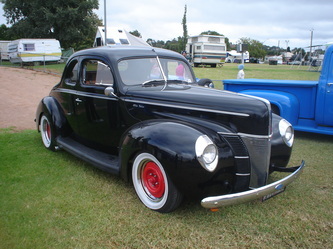 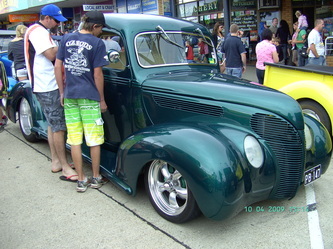 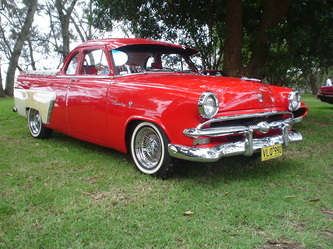 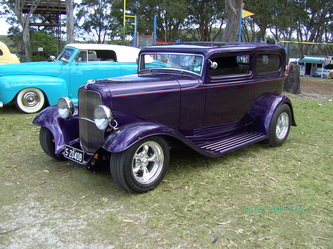 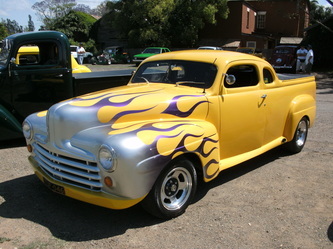 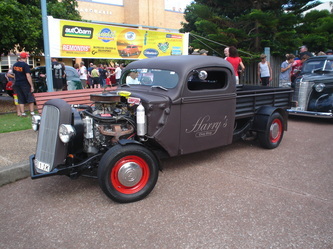 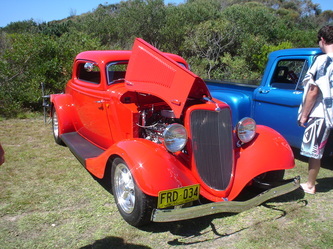 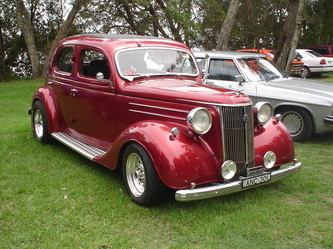 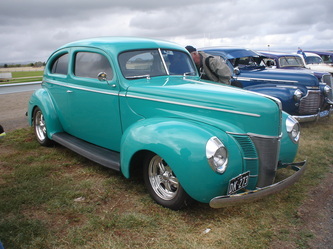 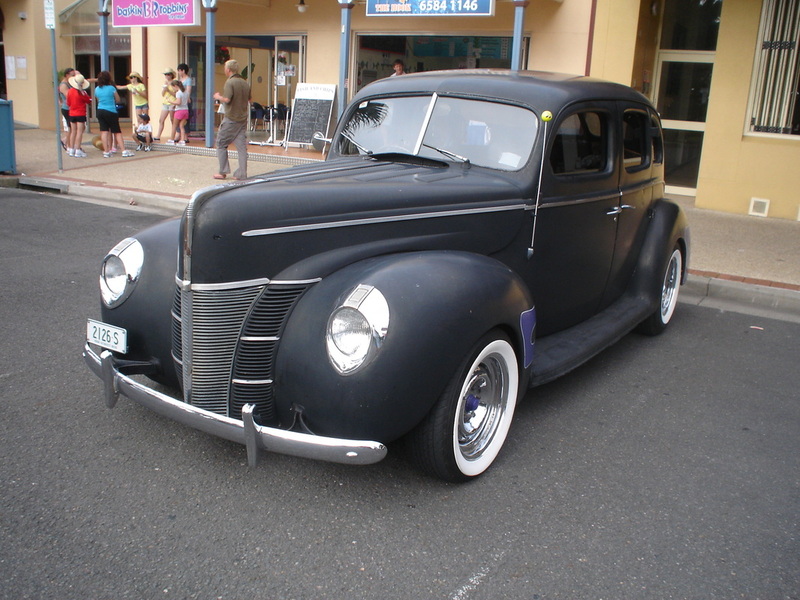 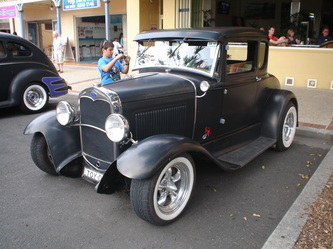 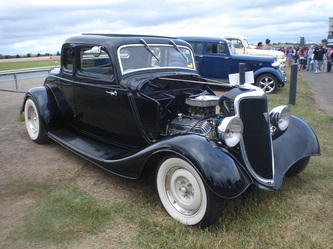 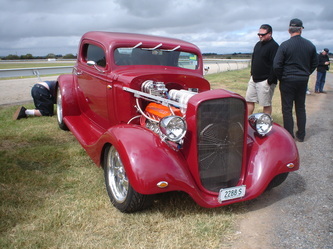 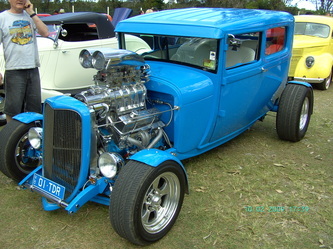 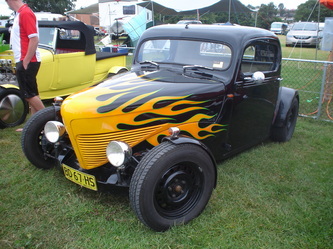 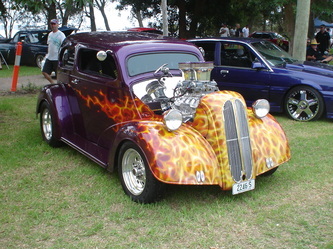 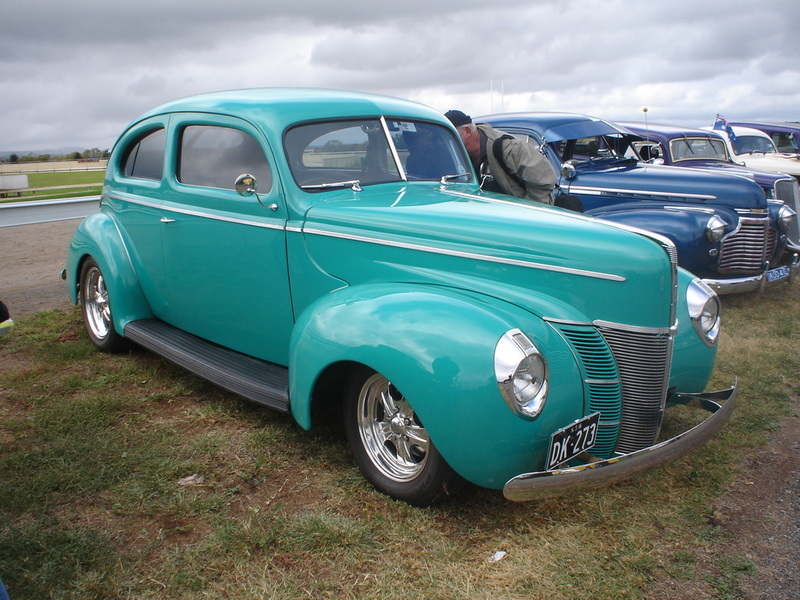 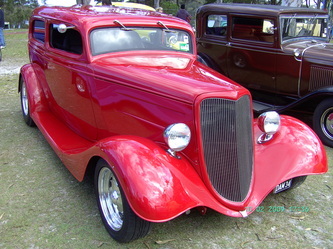 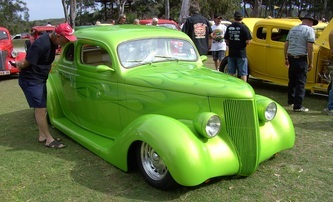 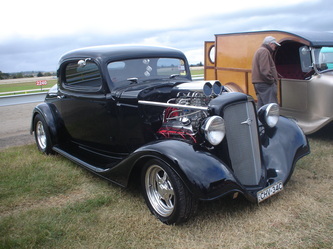 Street Ratz Hot Rod & Kustom Club held their 2nd Summer City Rumble at Catherine Hill Bay in January 2010. It was a very warm day and a good variety of vehicles turned up. 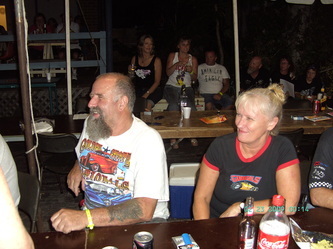 There were plenty of stands and the Flattrackers kept the music flowing. 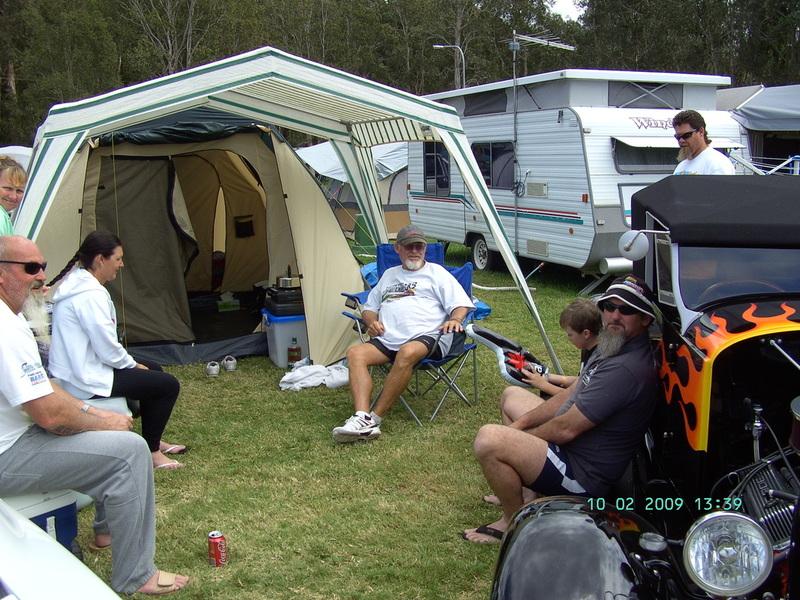 We had seven of our members and their families attend and had a good day sitting under our shade telling stories. On the way home the brakes failed on Glenda's pickup but somehow it made it home without any further incident. 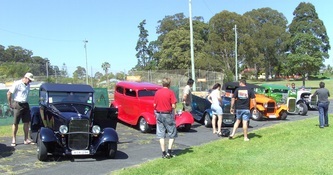 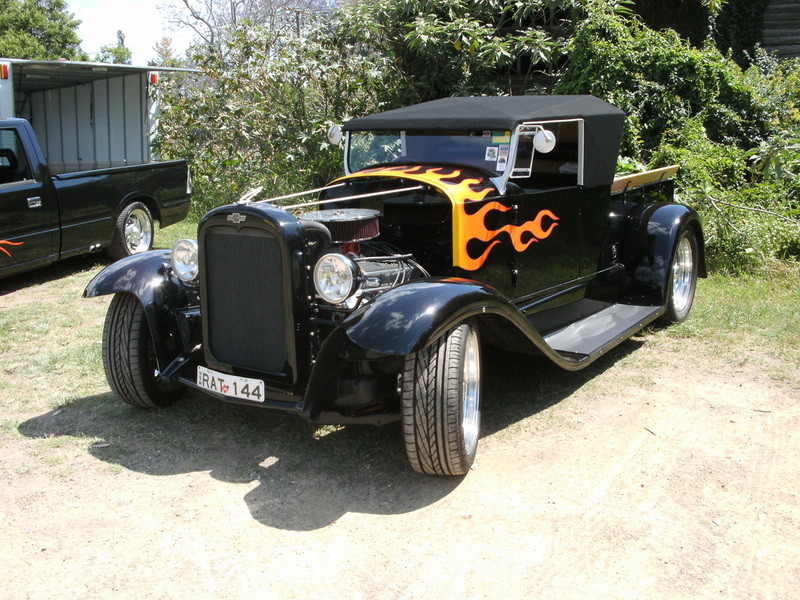 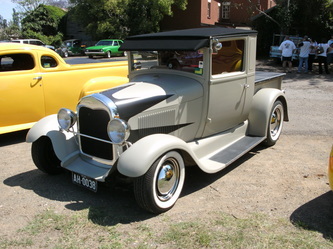 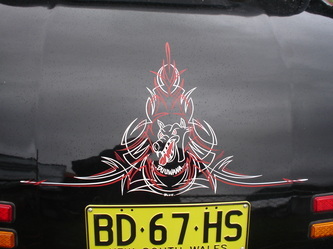 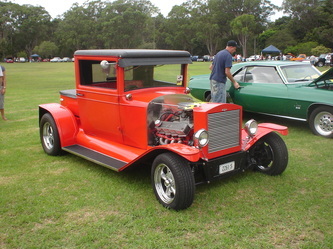 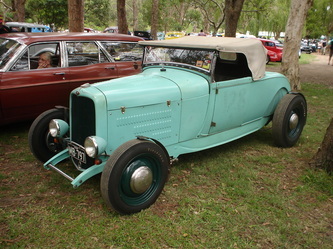 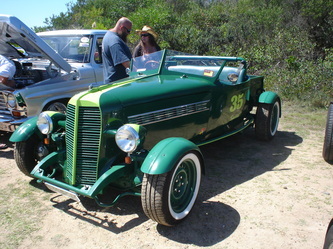 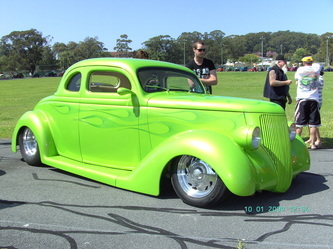 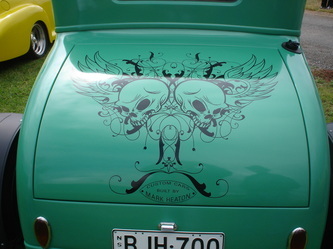 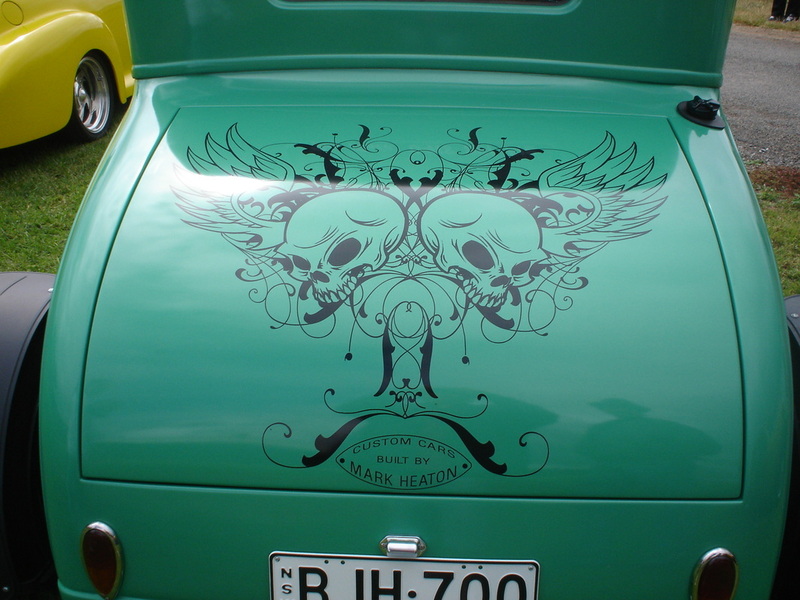 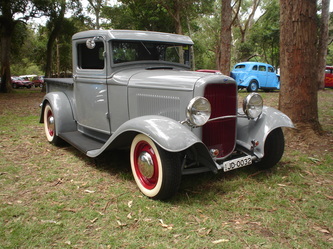 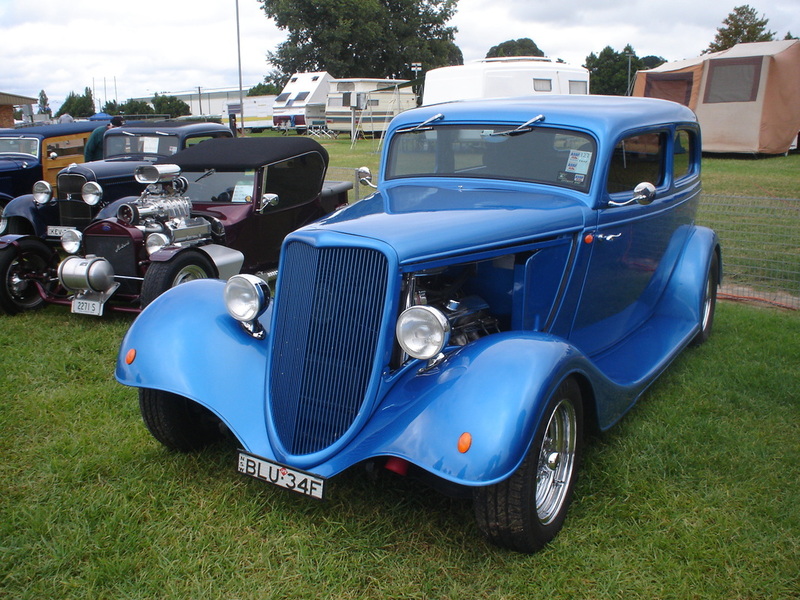 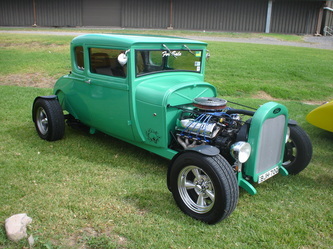 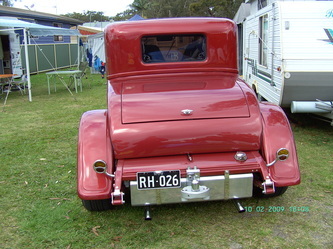 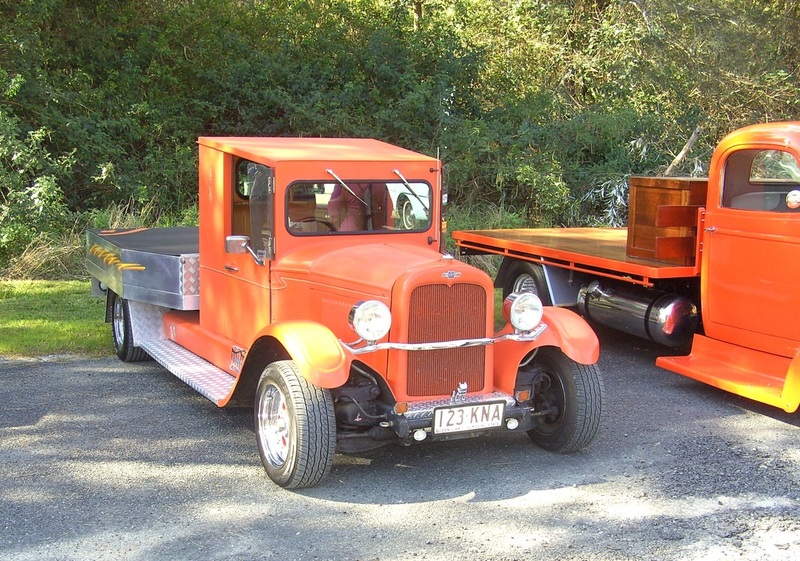 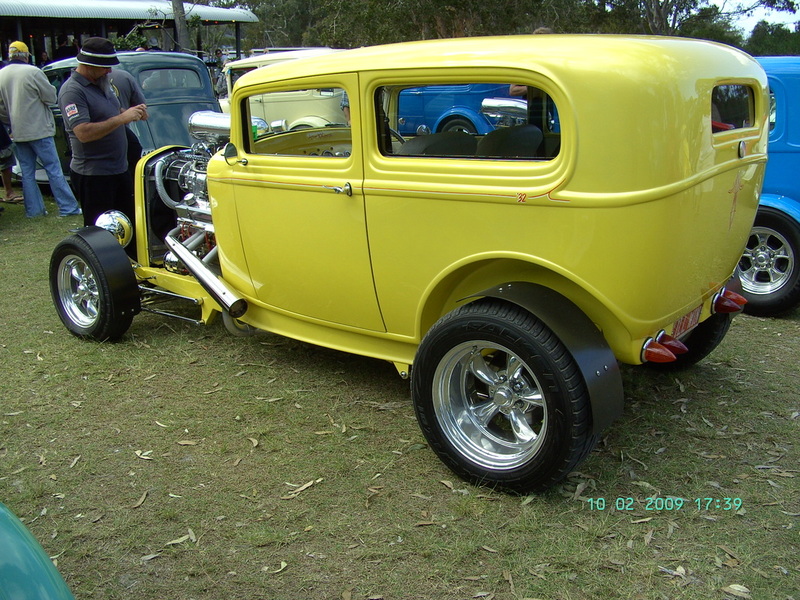 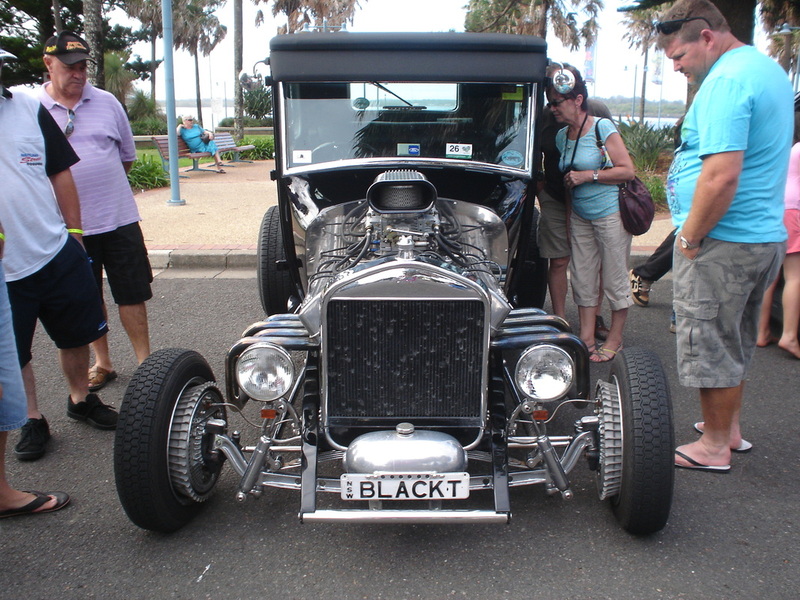 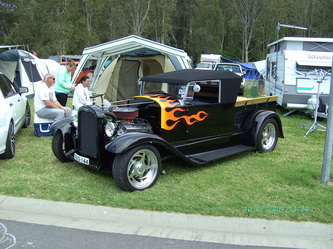 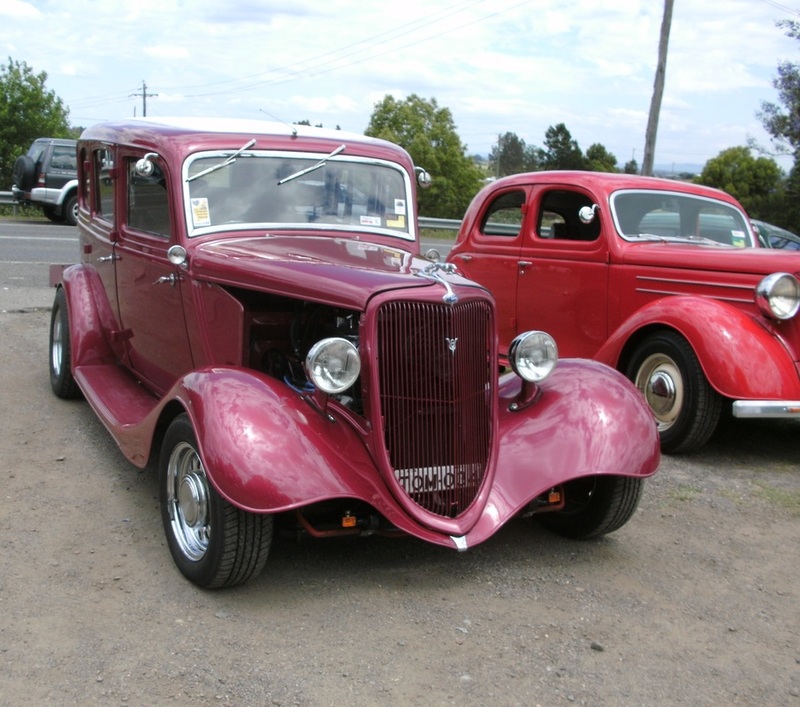 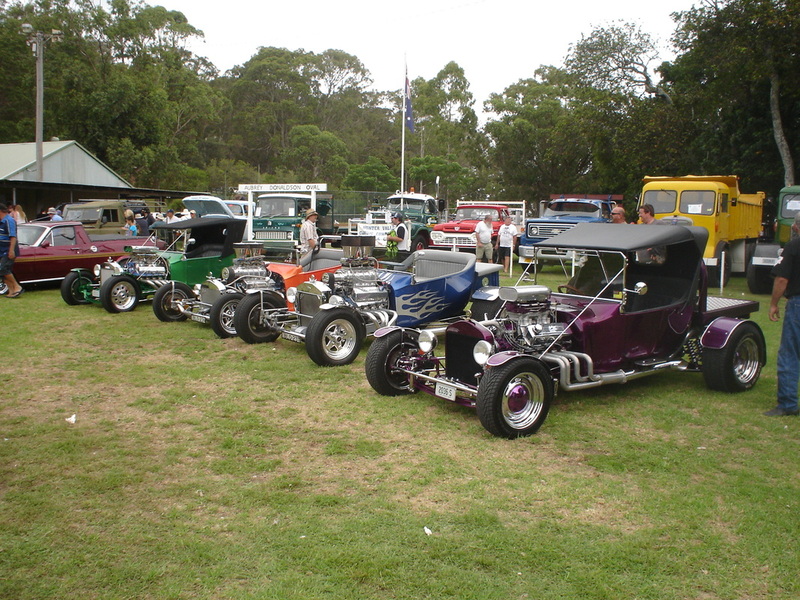 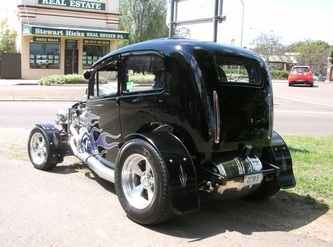 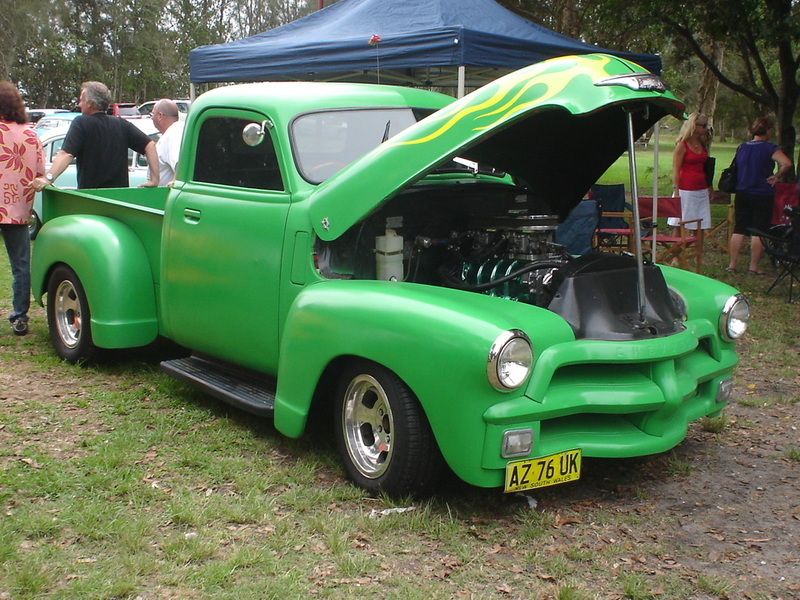 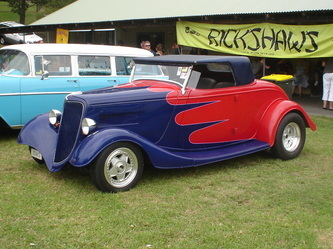 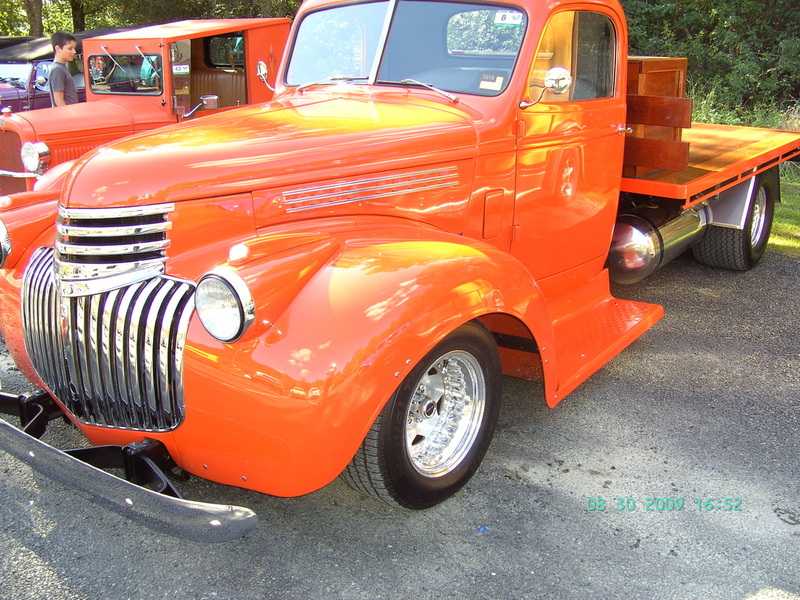 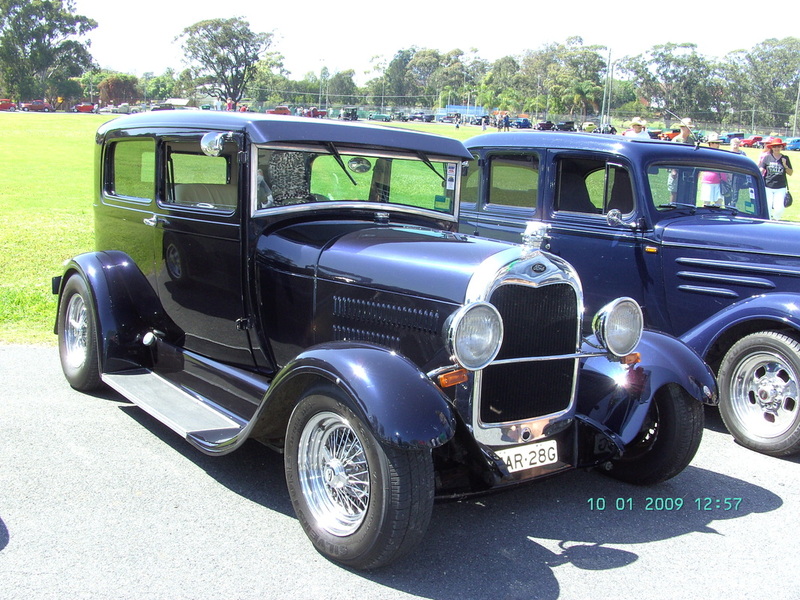 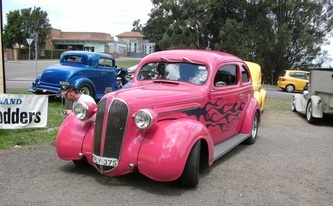 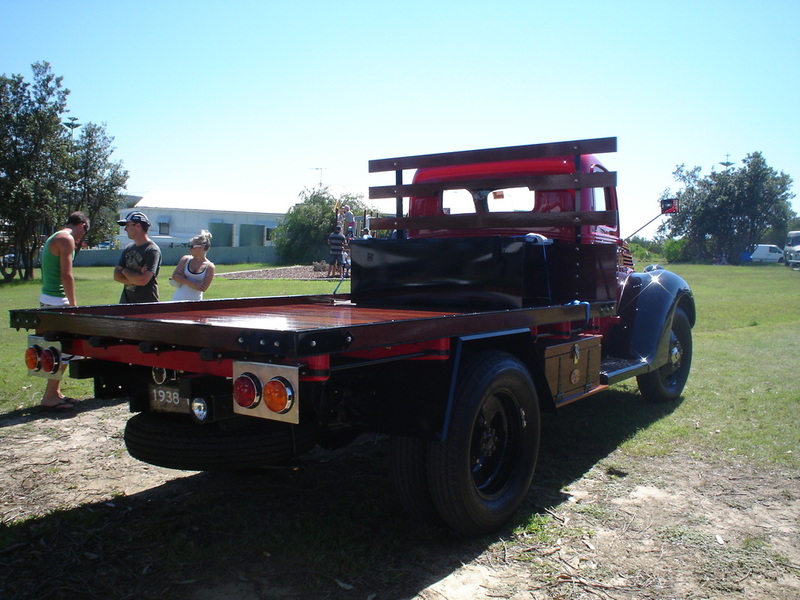 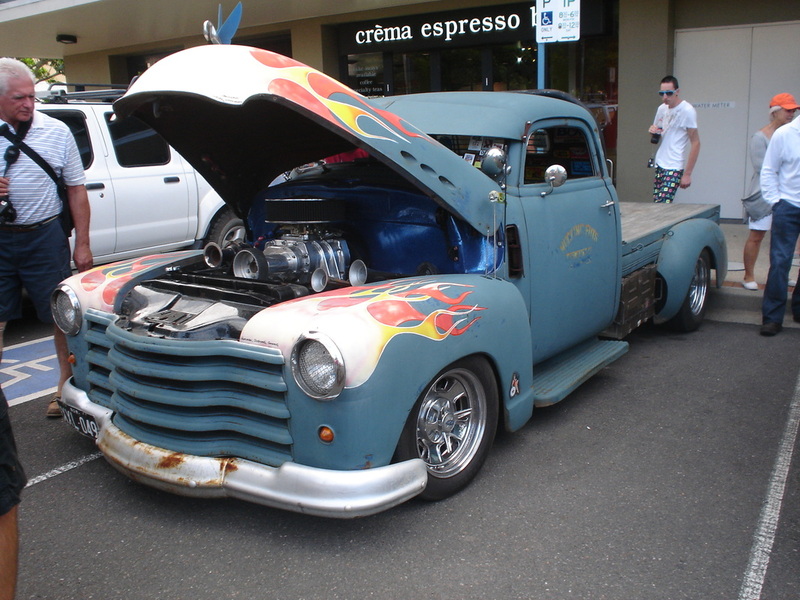 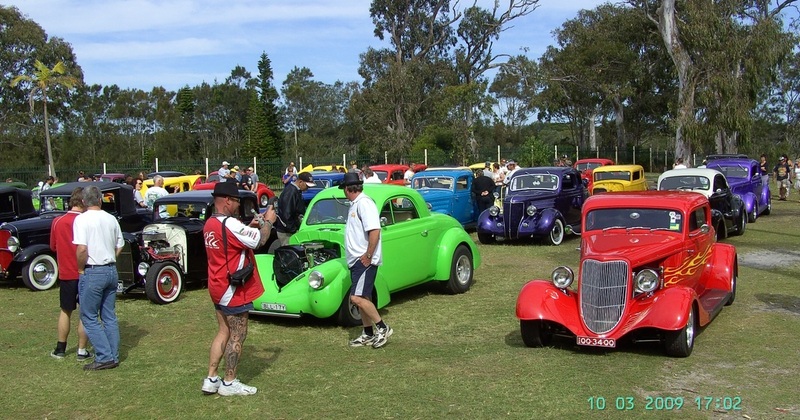 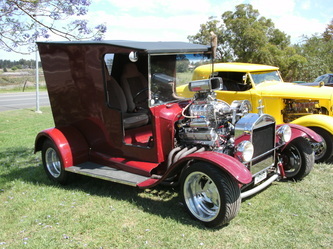 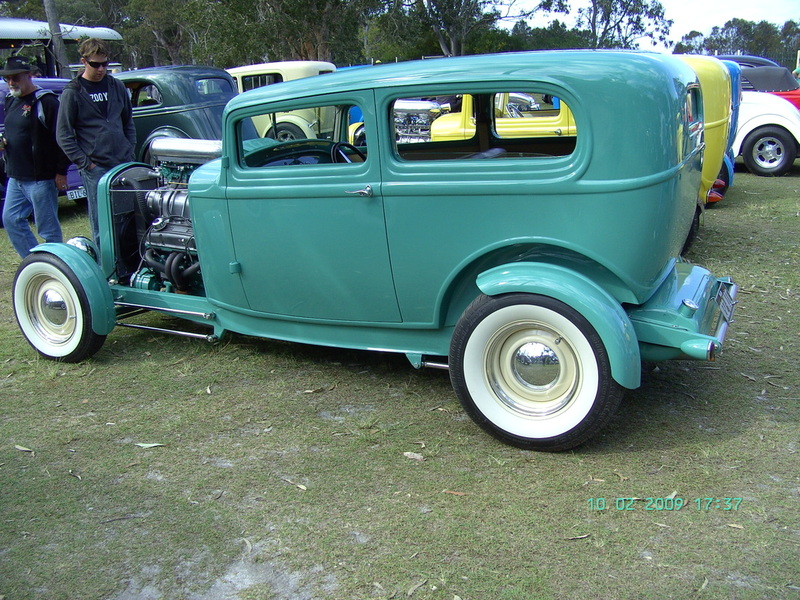 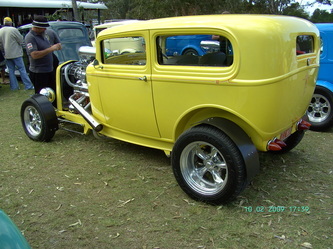 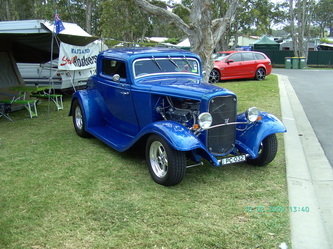 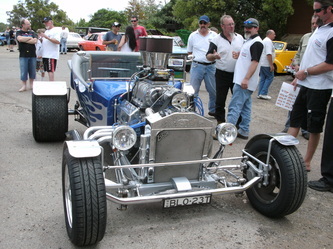 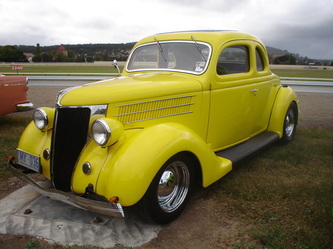 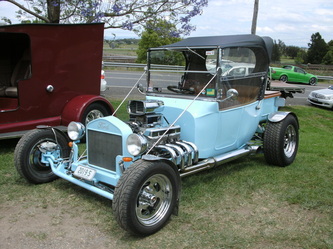 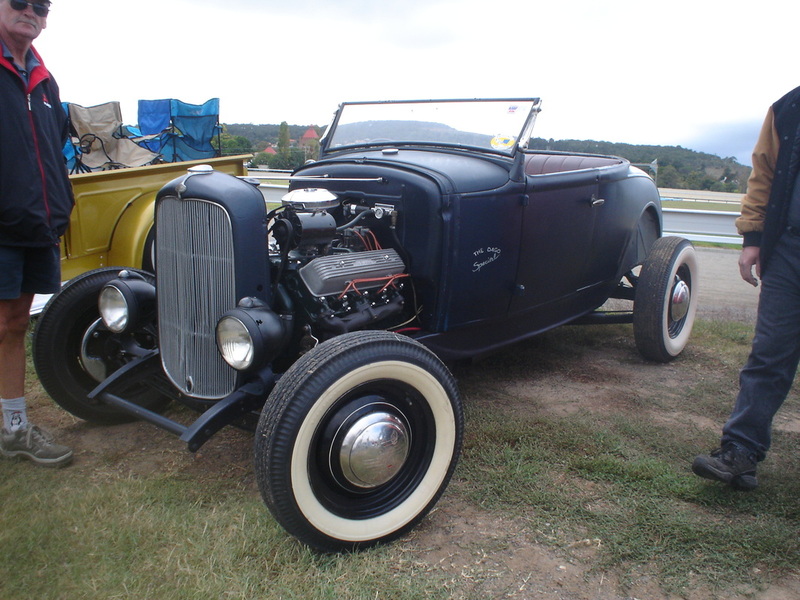 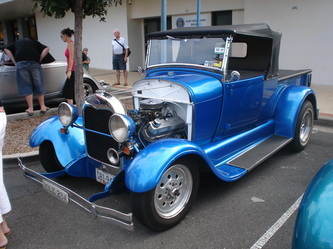 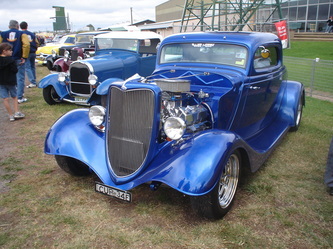 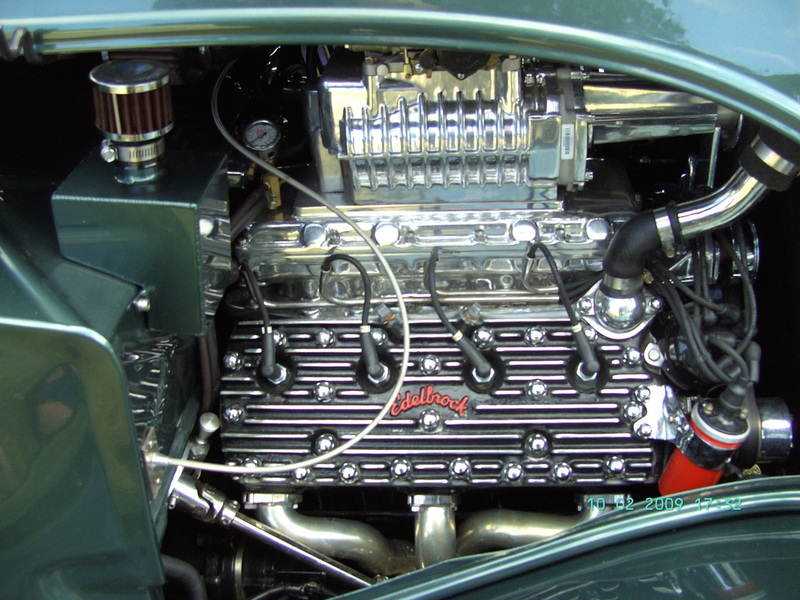 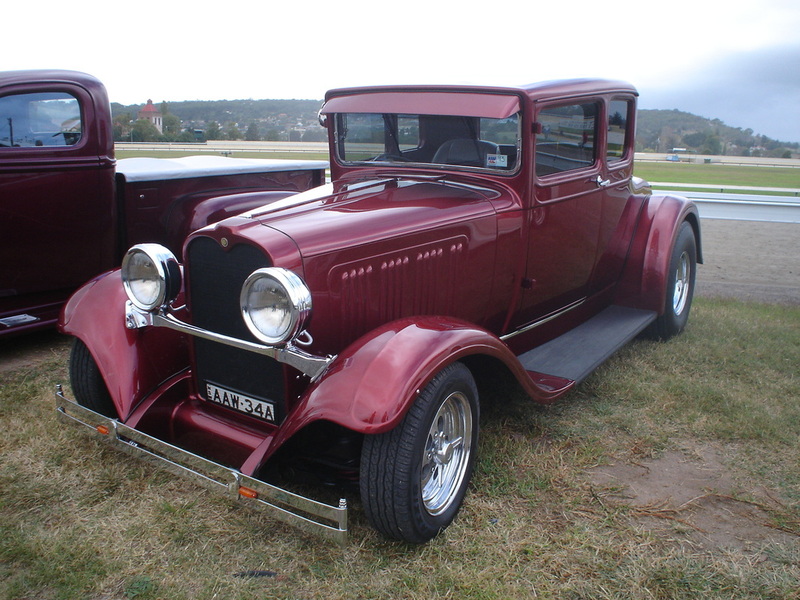 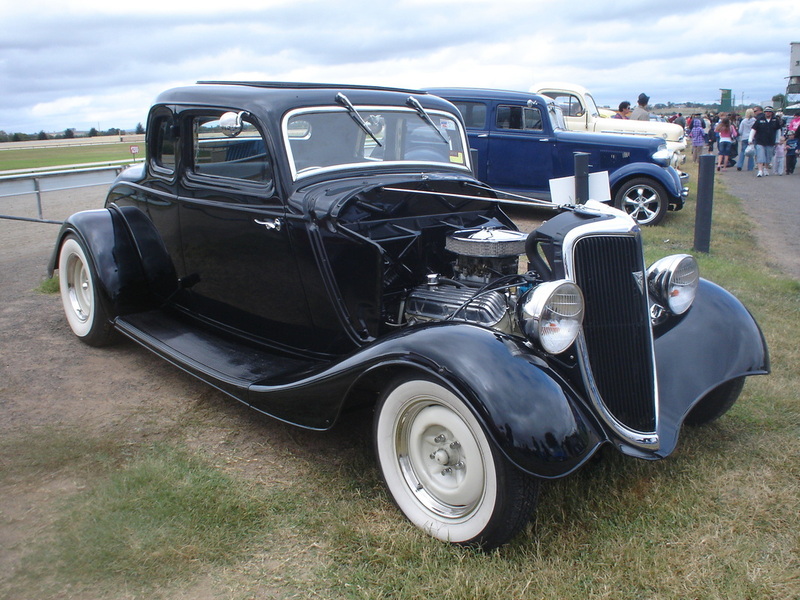 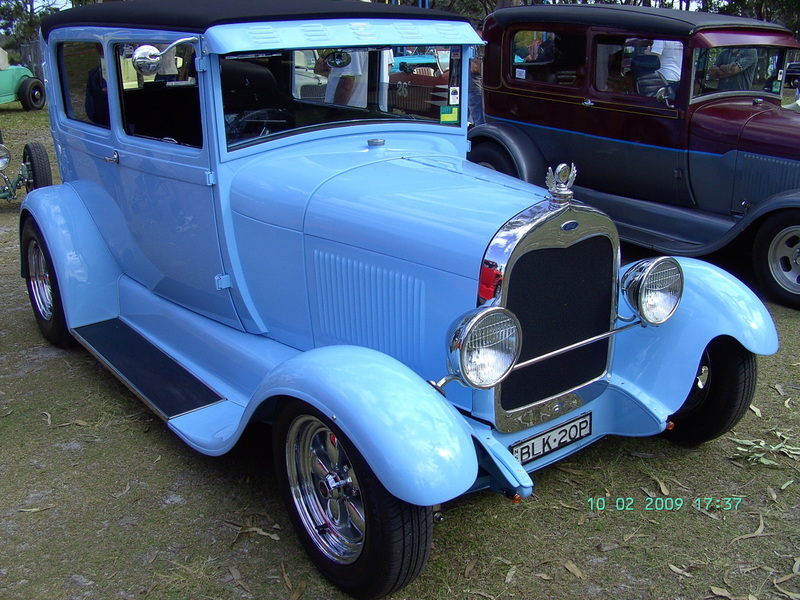 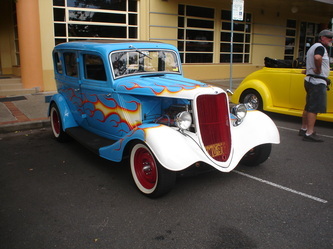 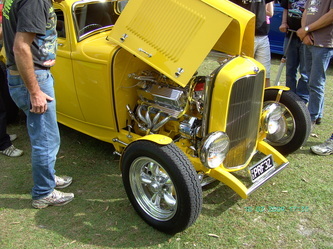 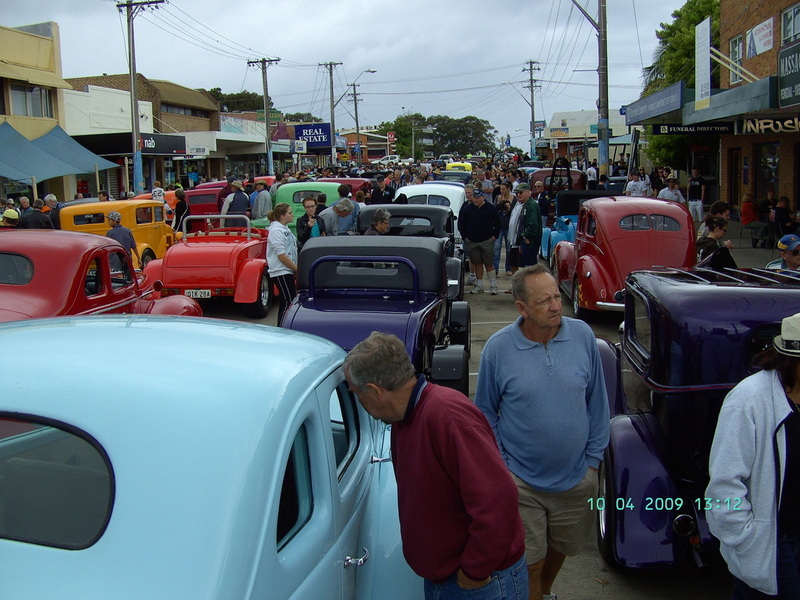 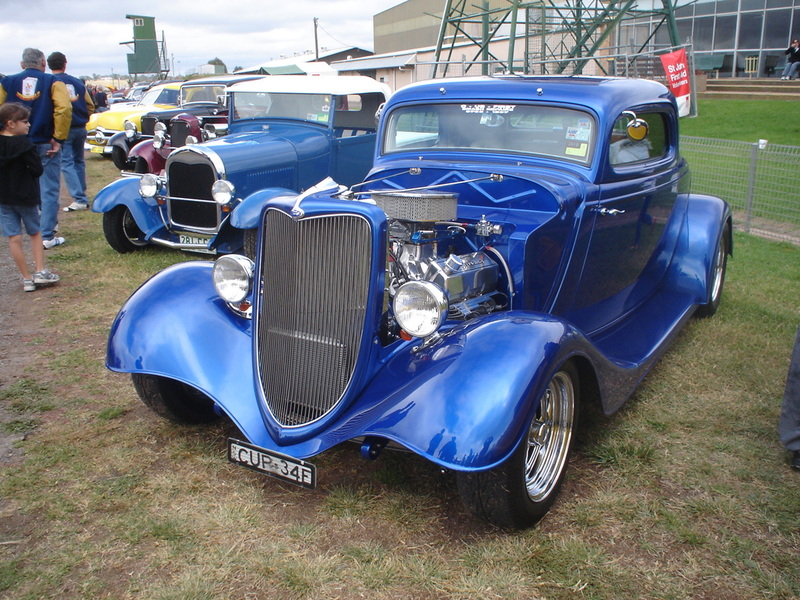 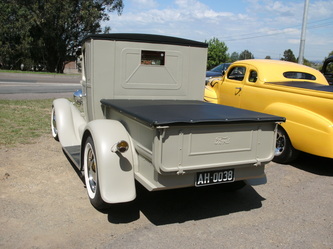 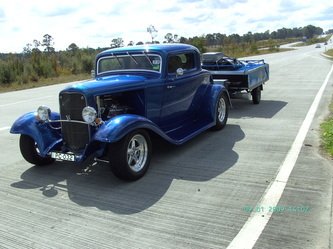 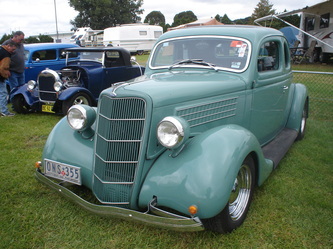 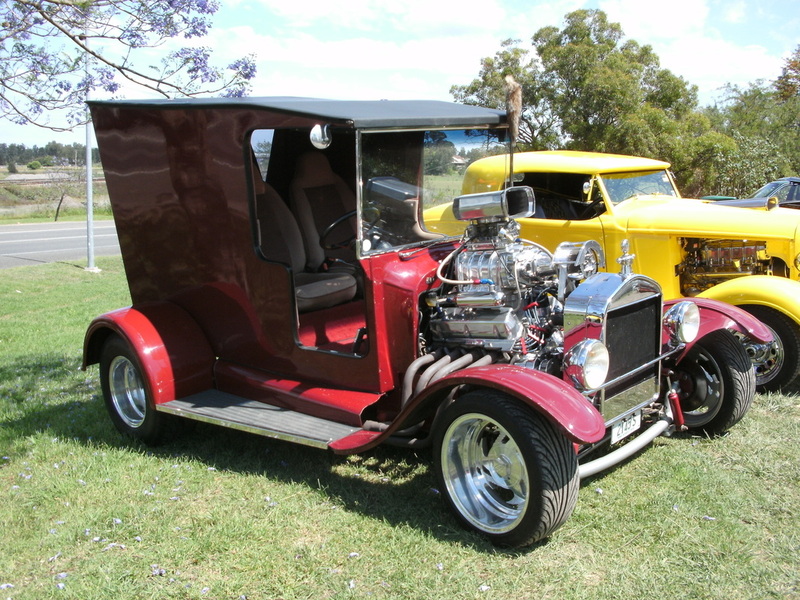 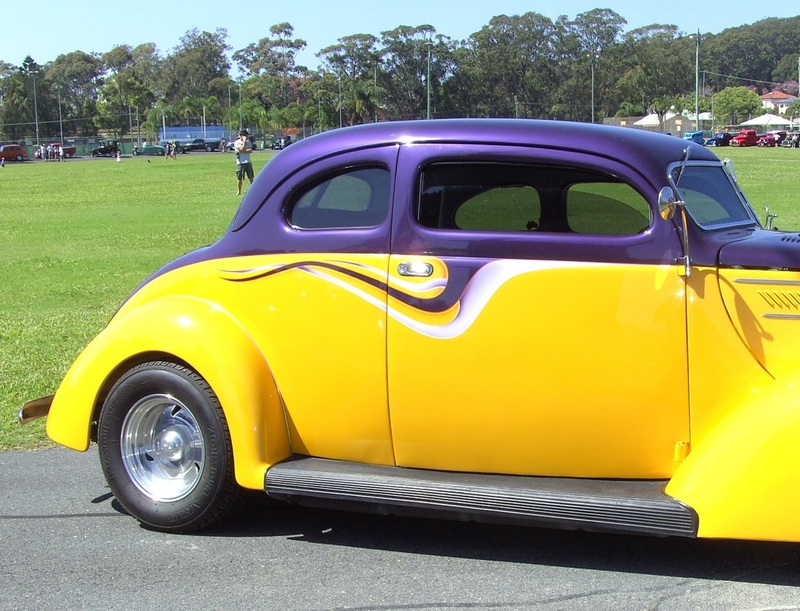 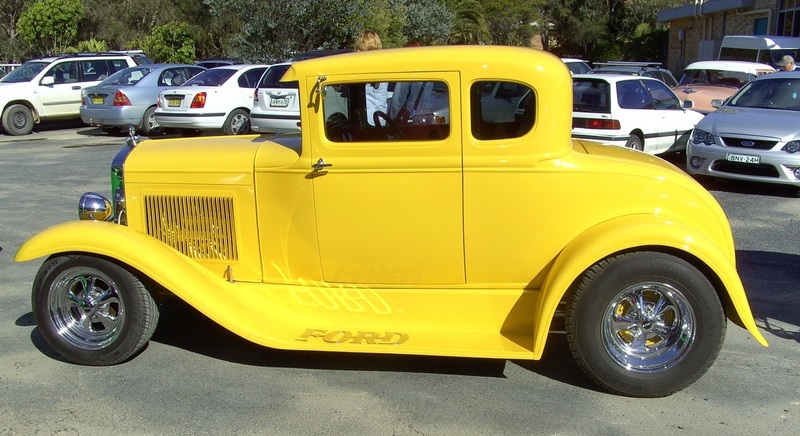 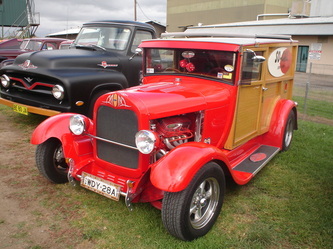 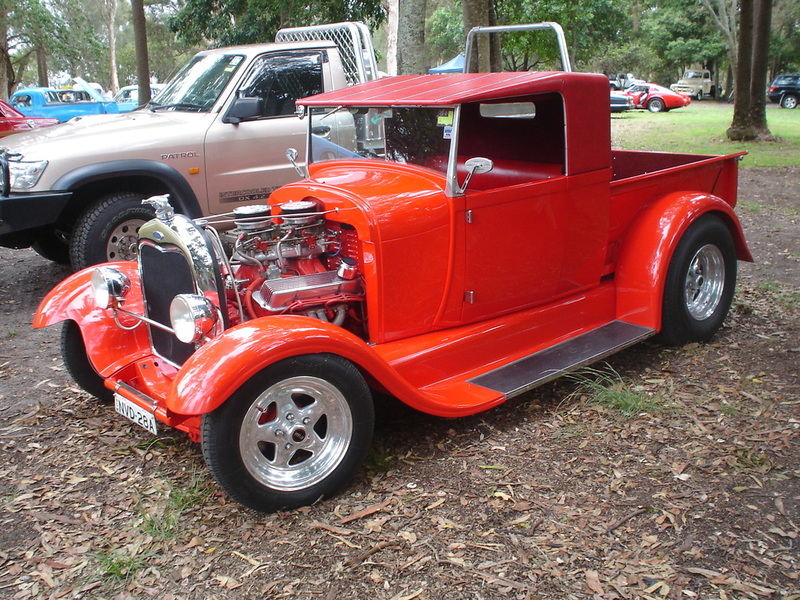 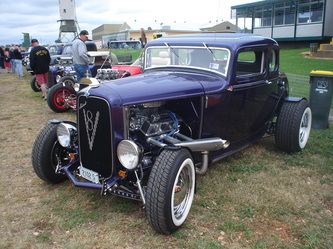 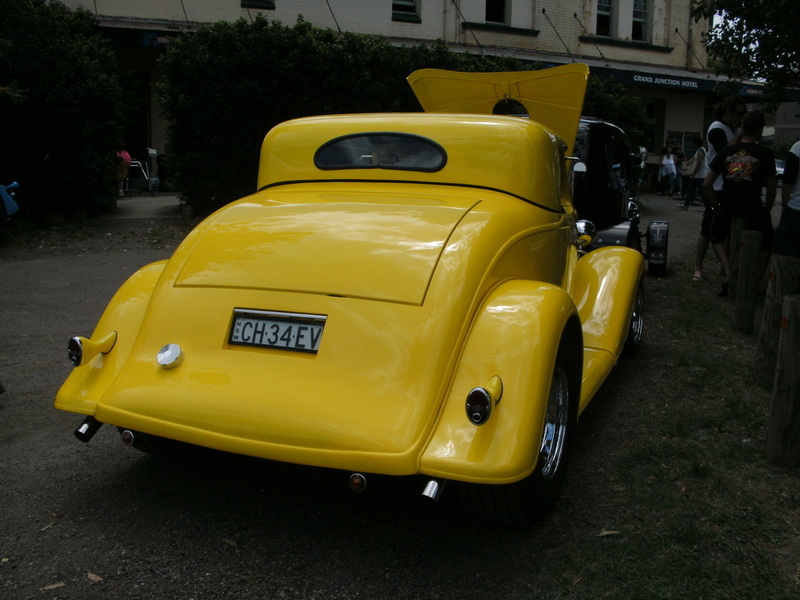 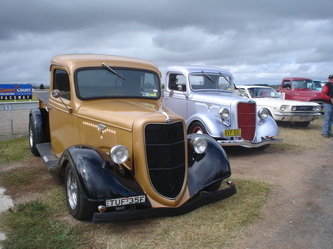 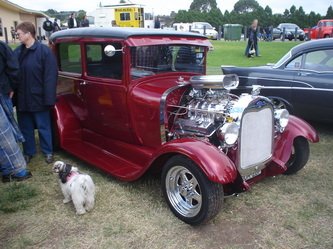 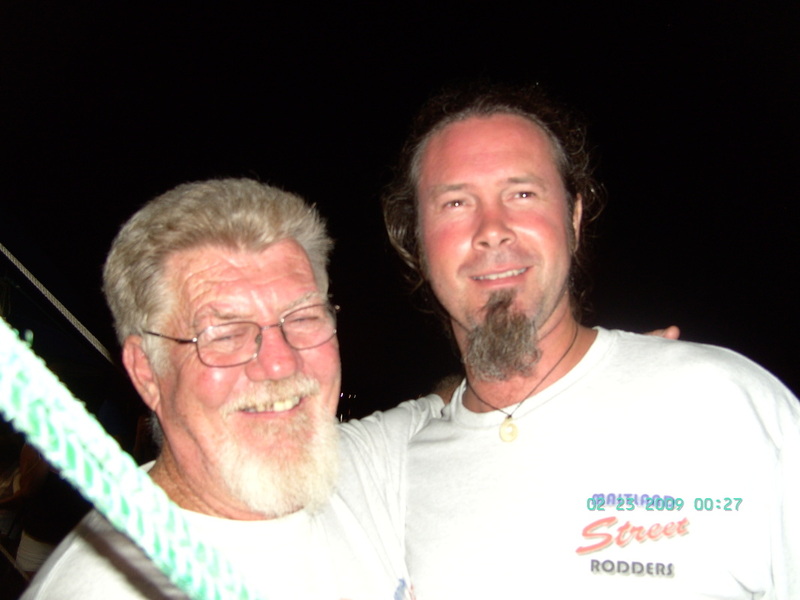 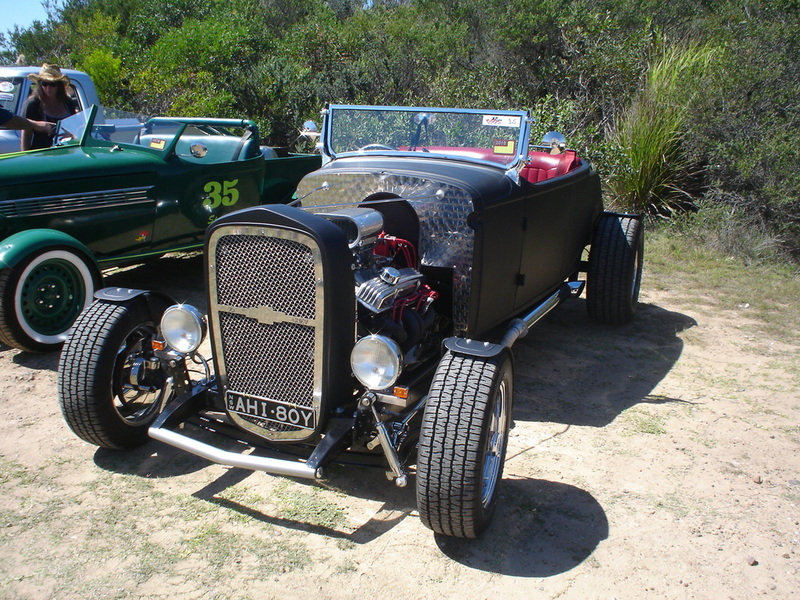 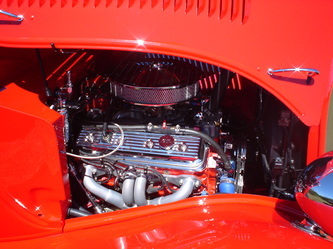 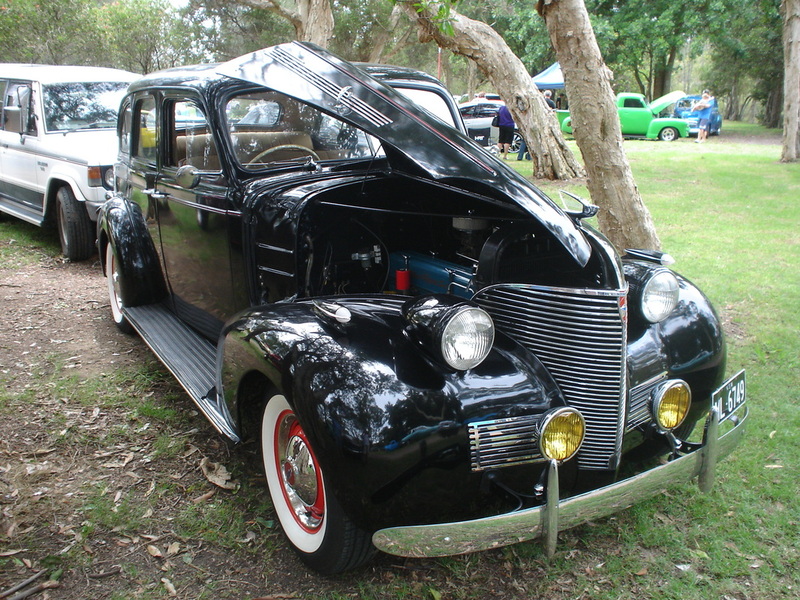 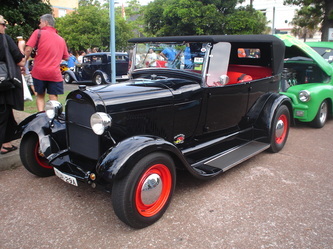 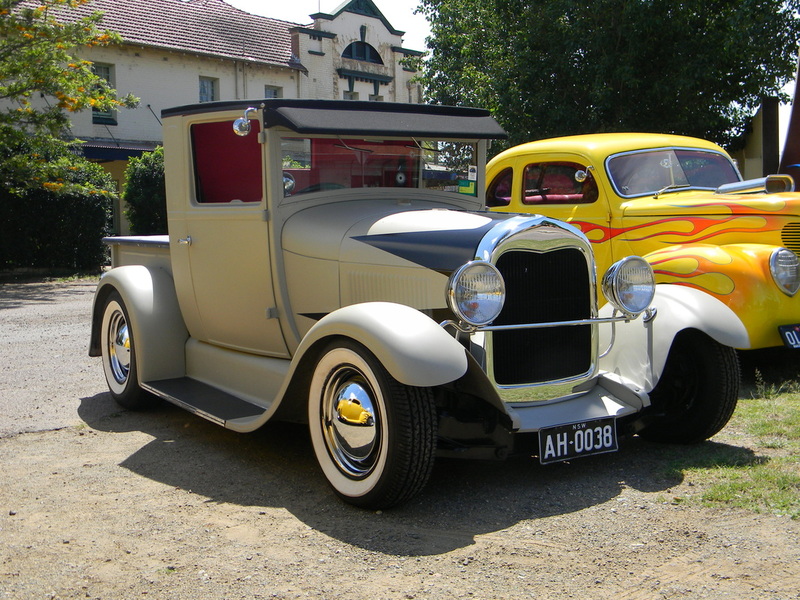 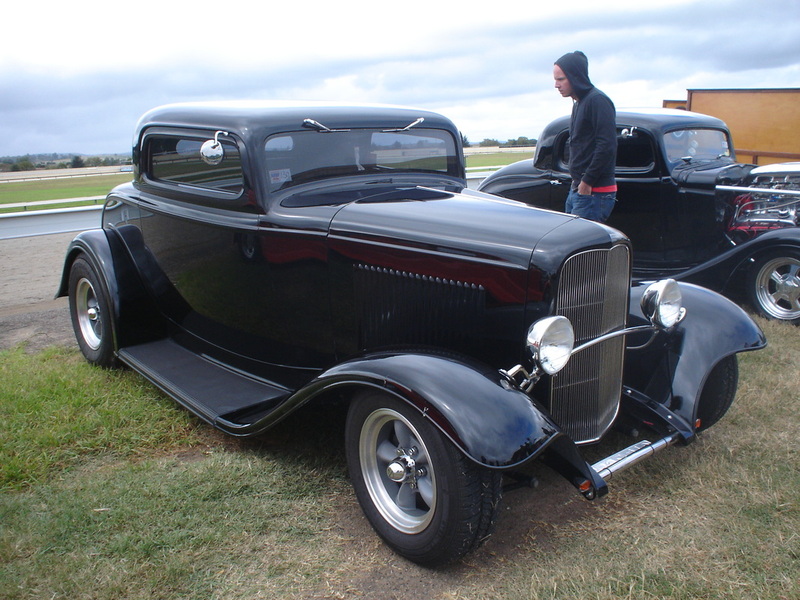 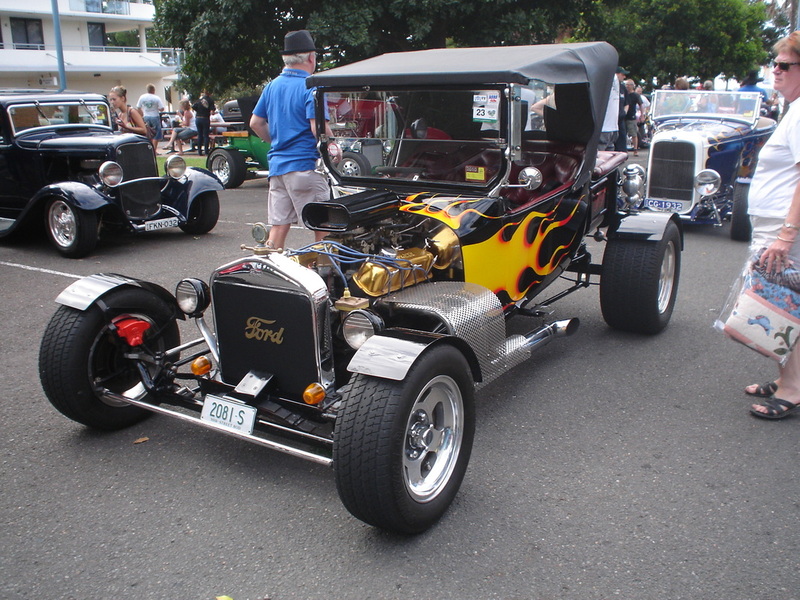 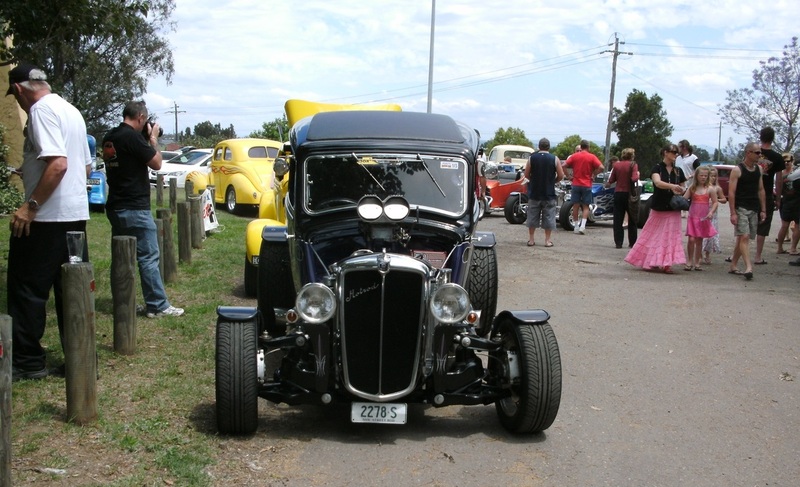 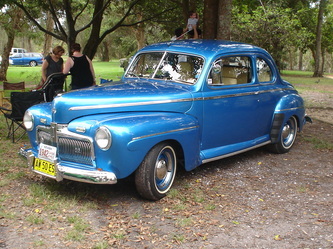 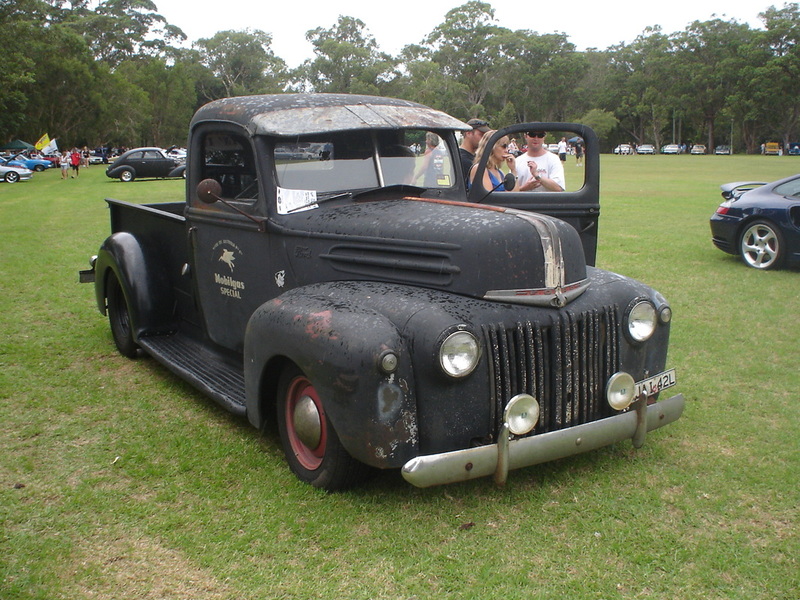 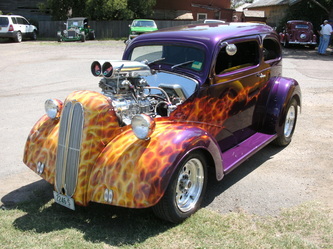 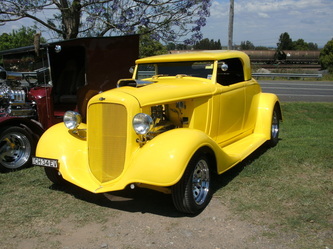 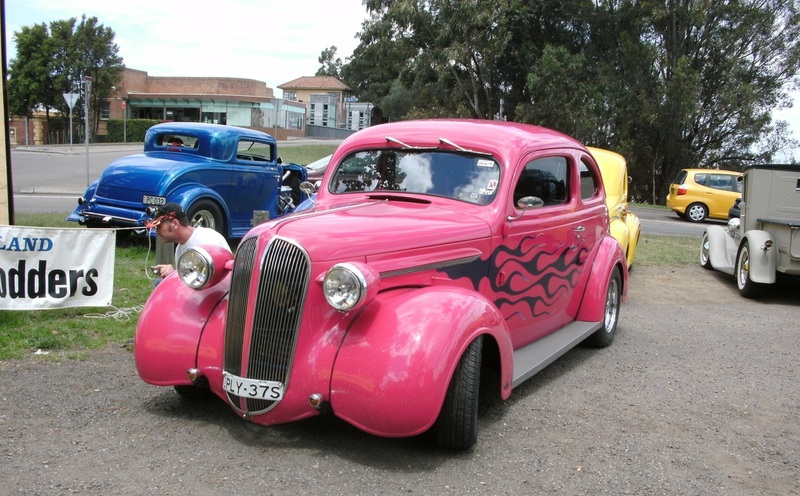 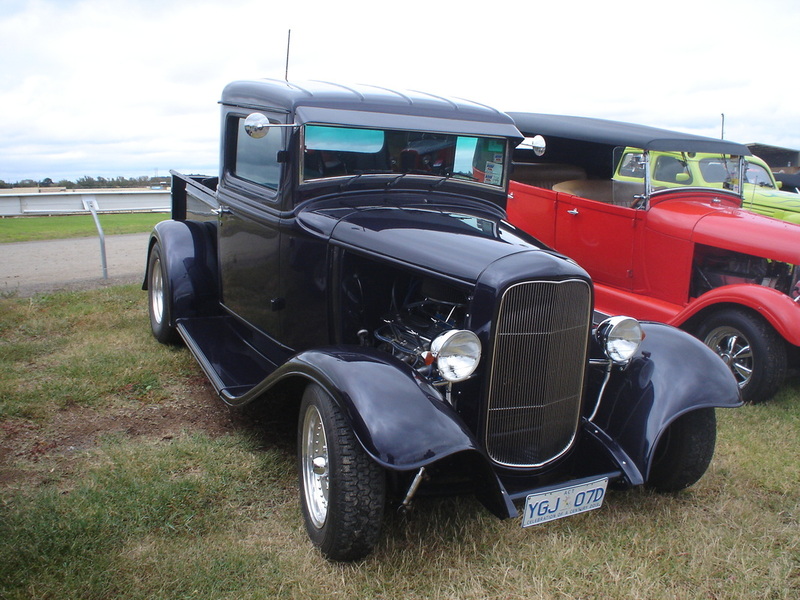 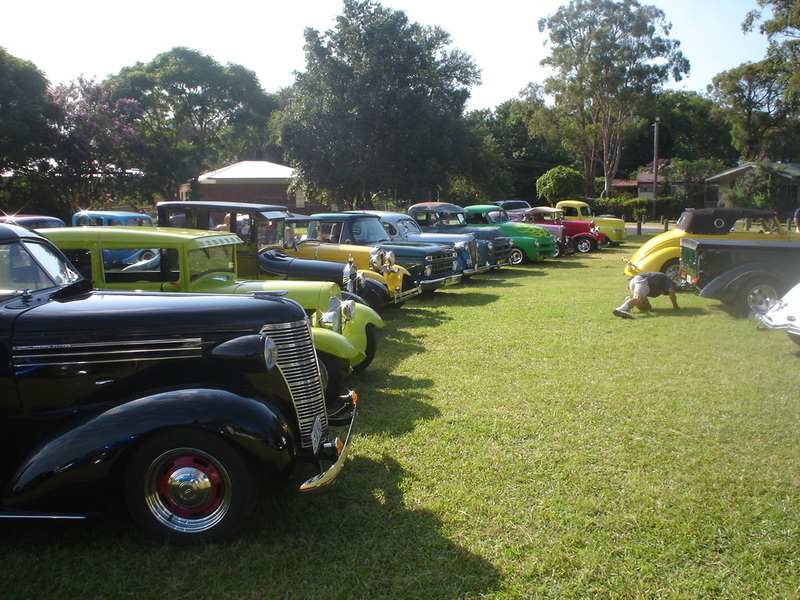 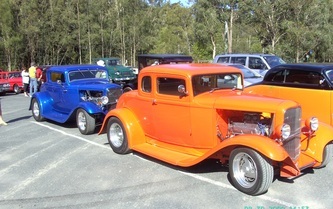 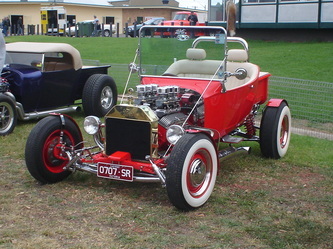 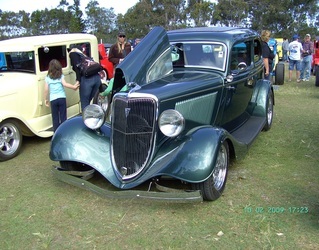 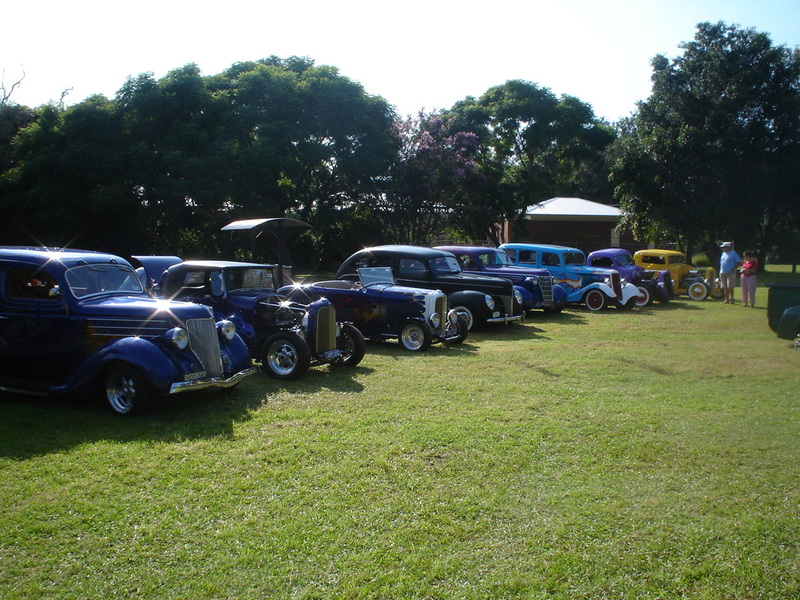 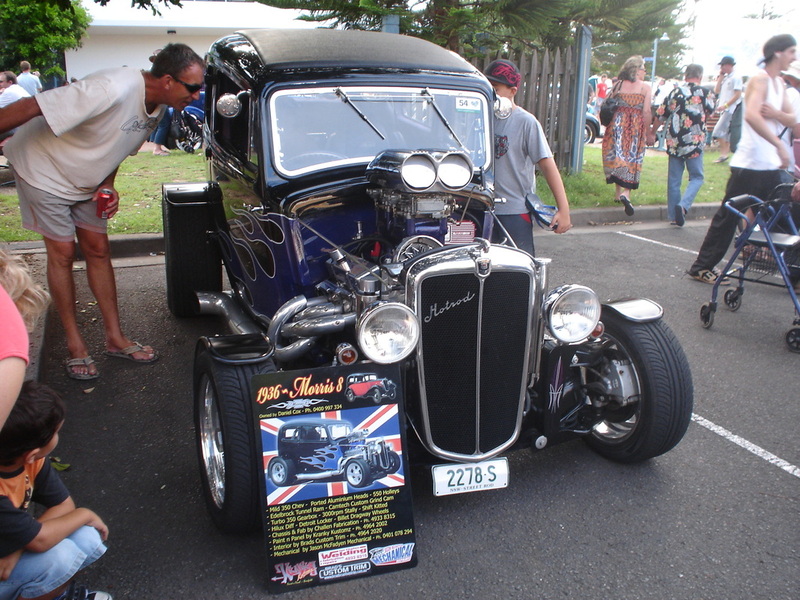 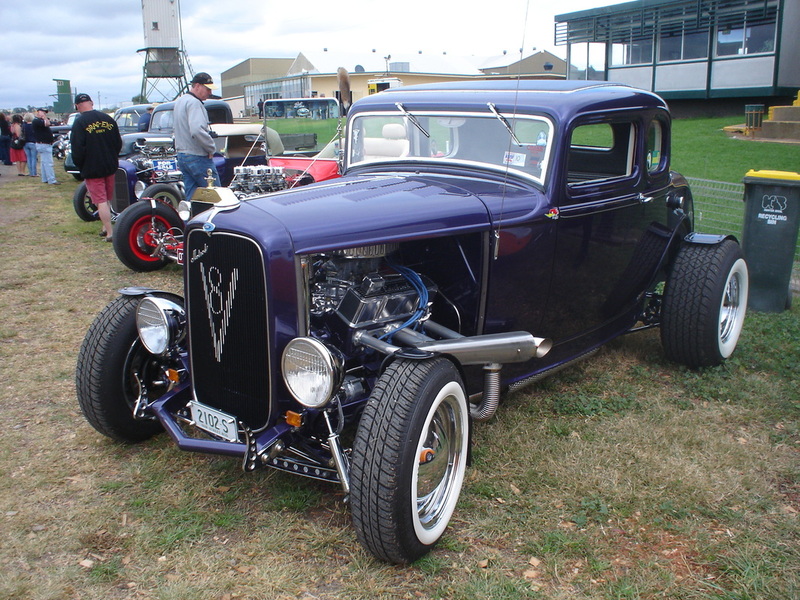 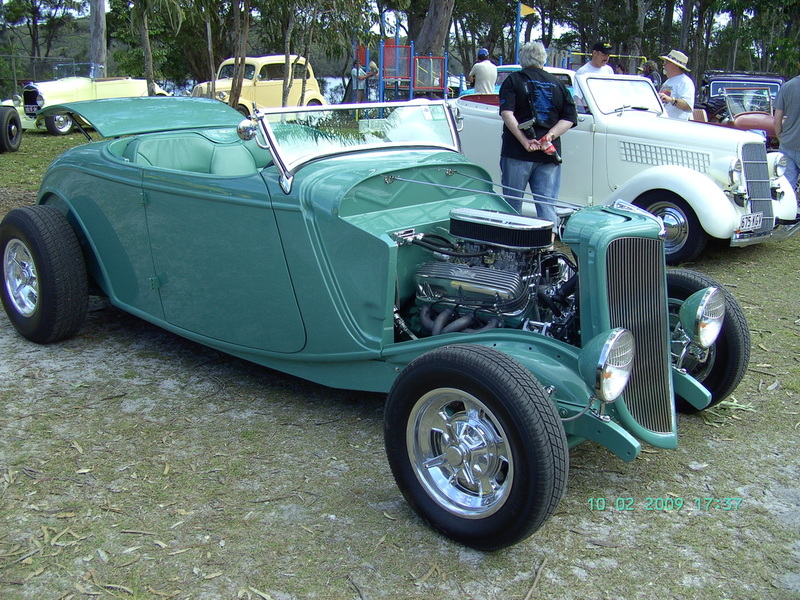 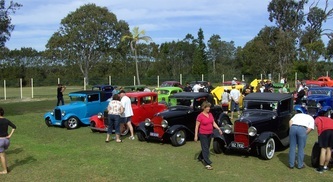 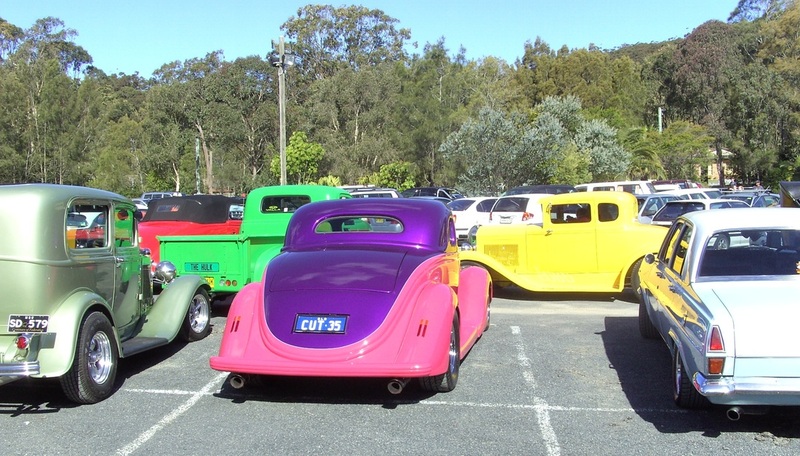 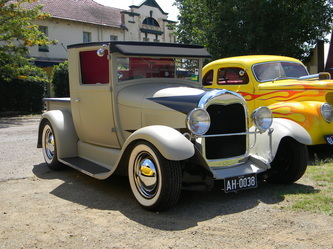 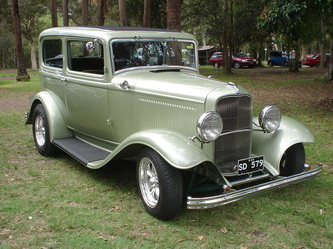 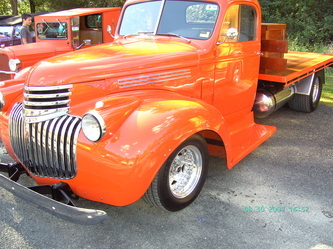 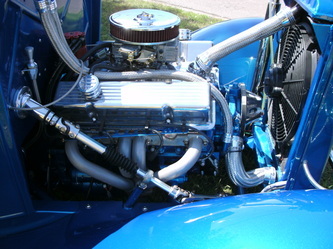 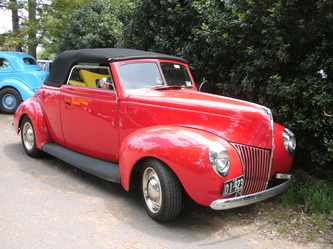 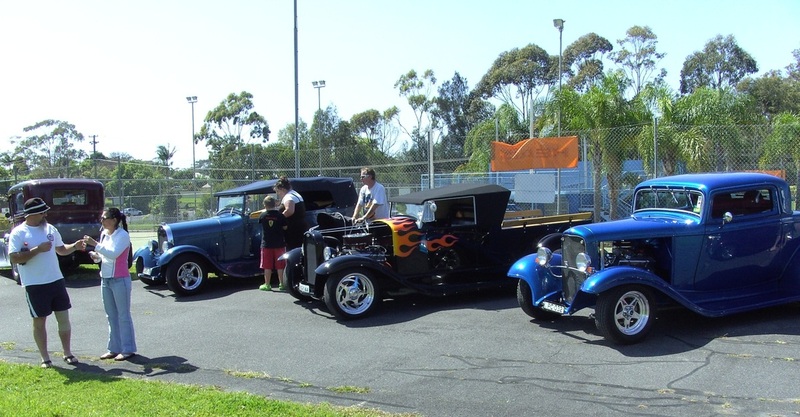 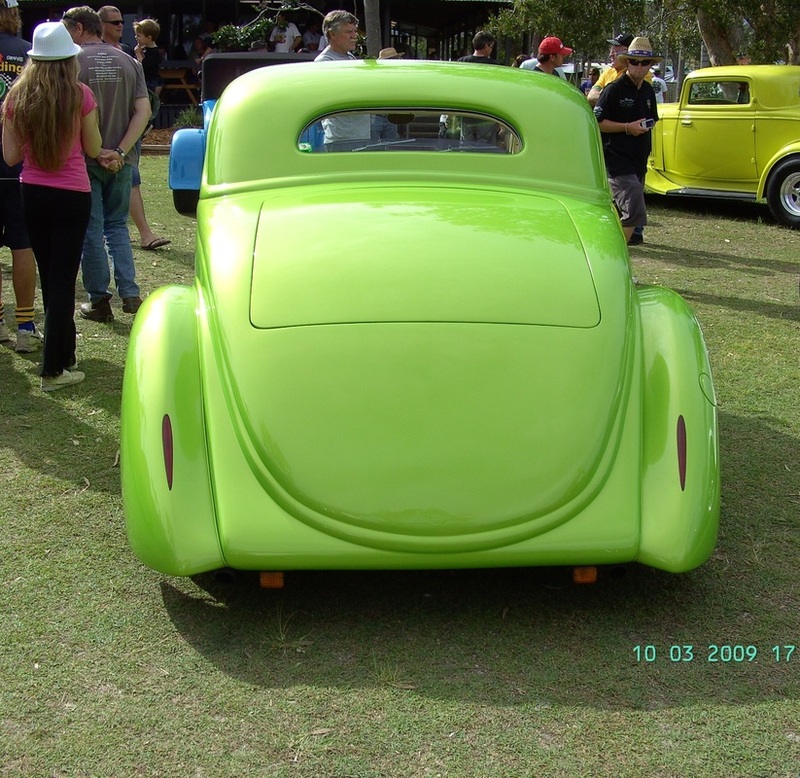 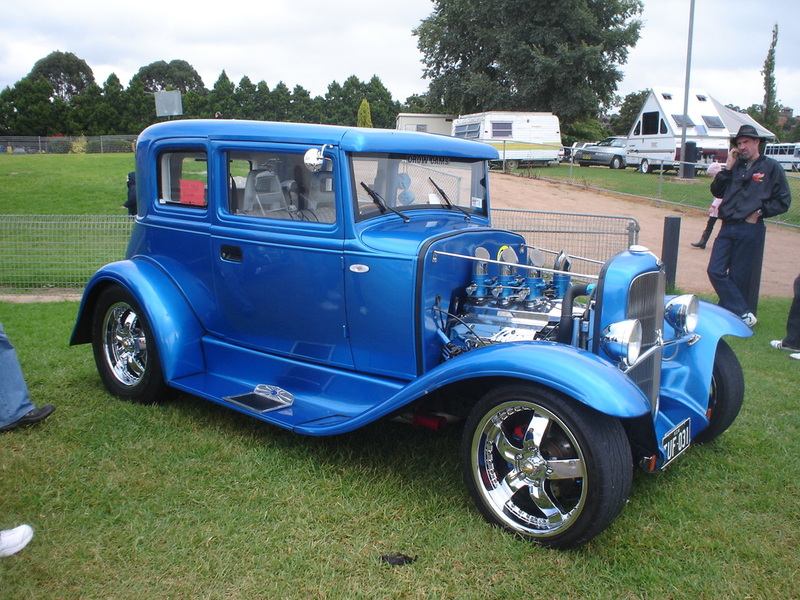 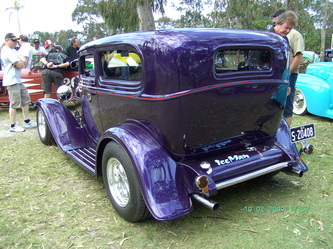 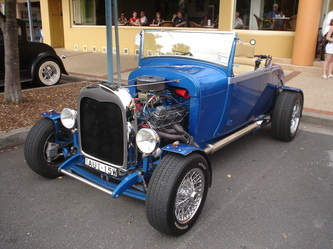 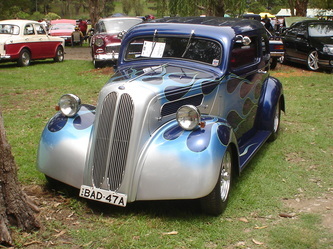 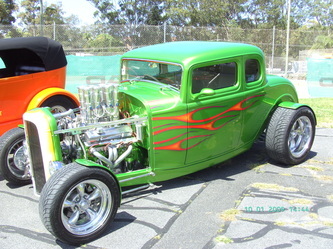 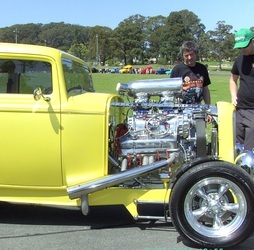 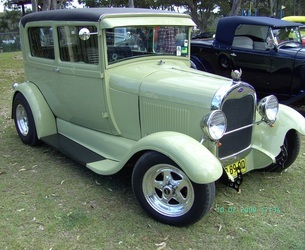 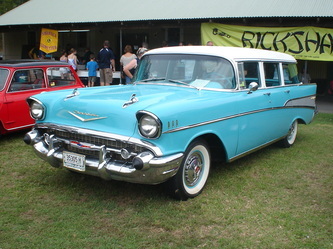 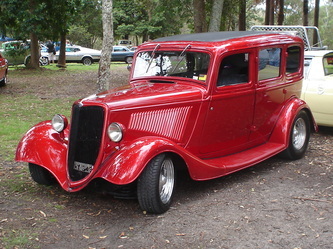 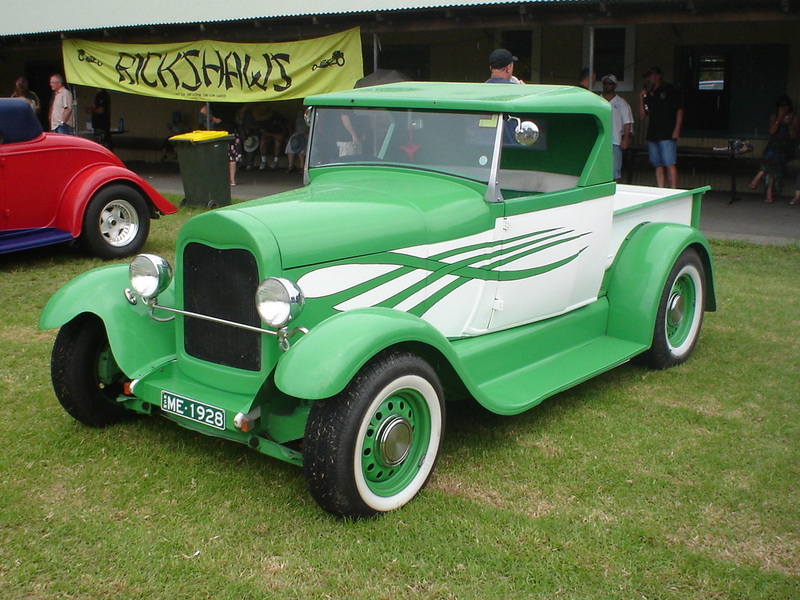 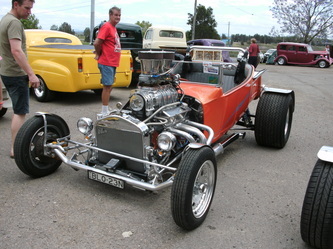 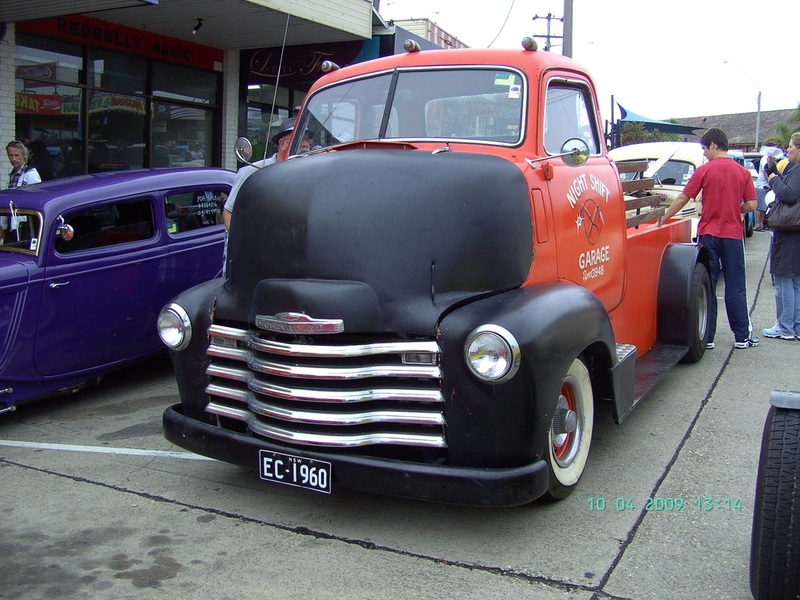 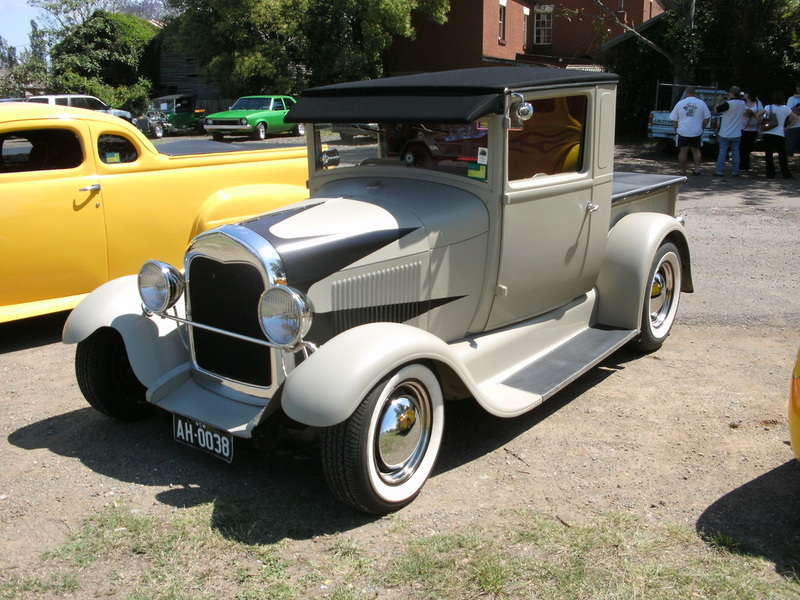 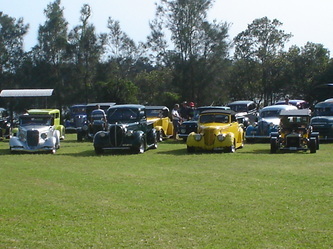 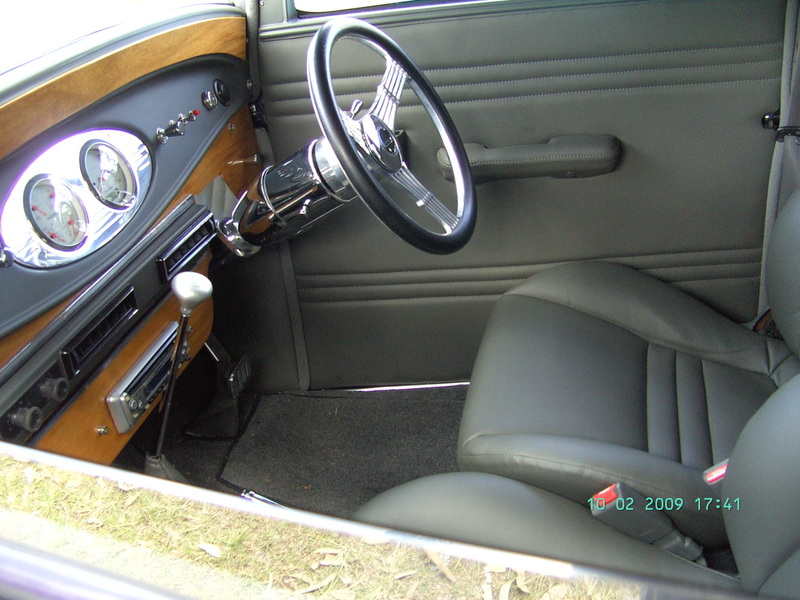 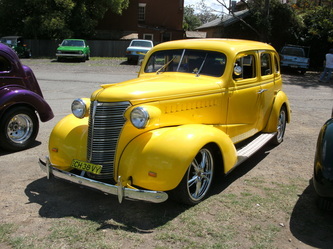 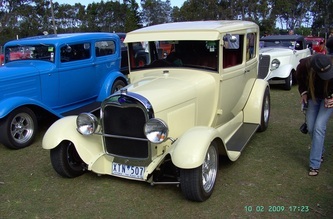 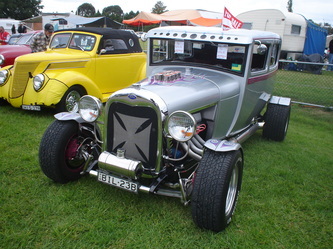 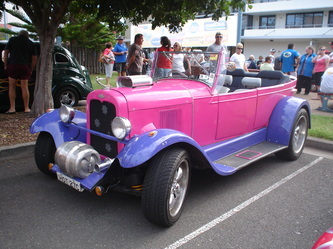 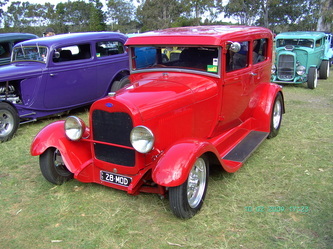 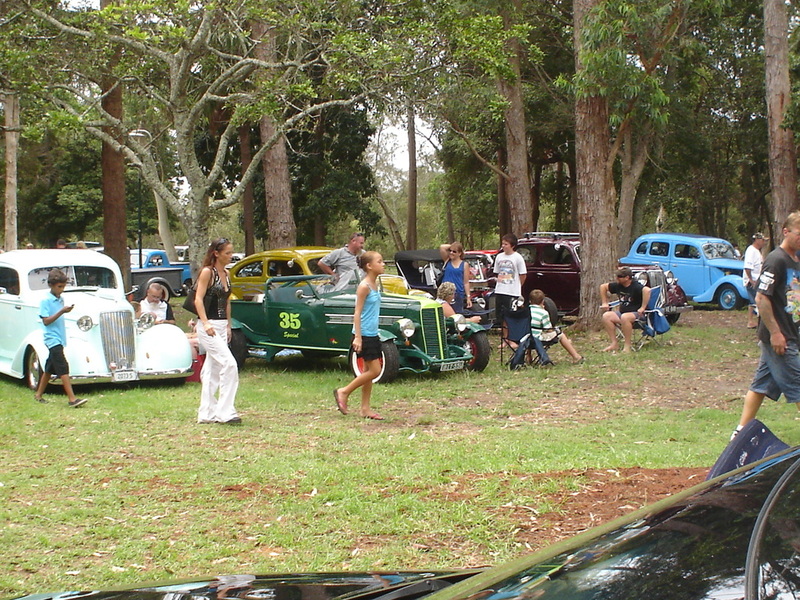 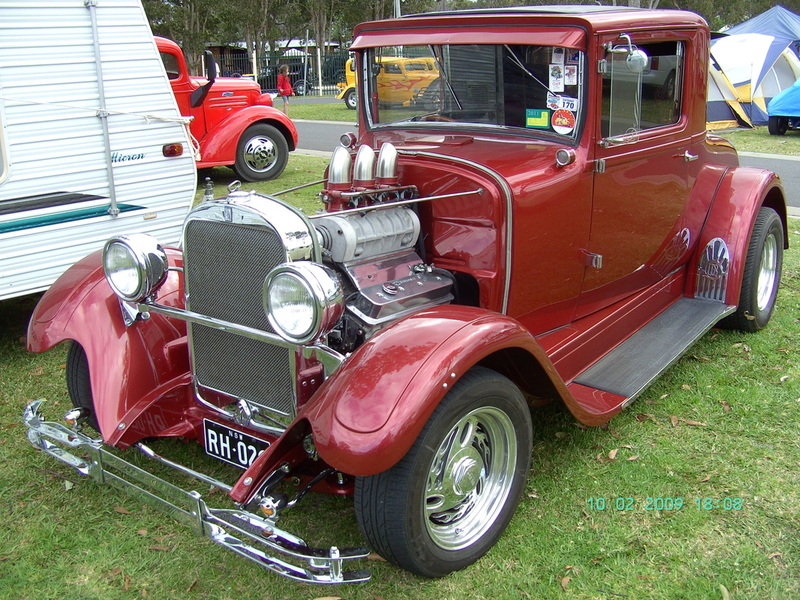 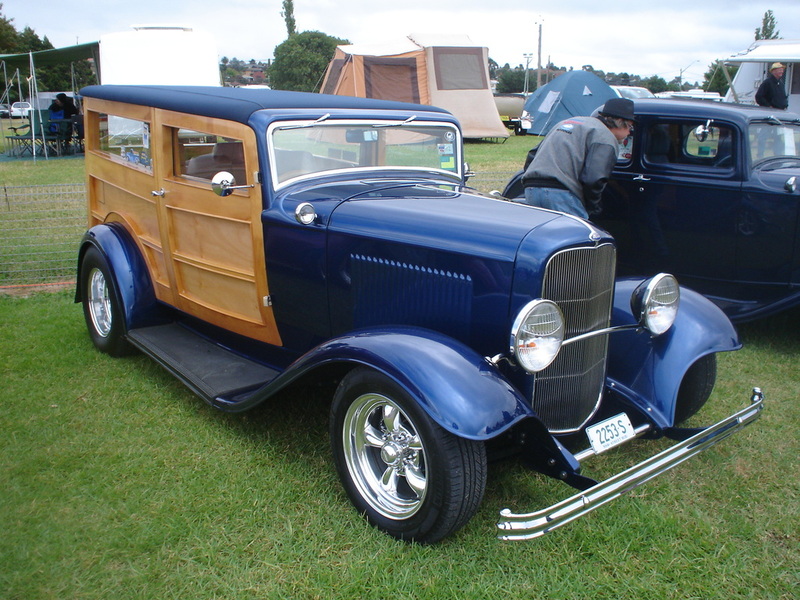 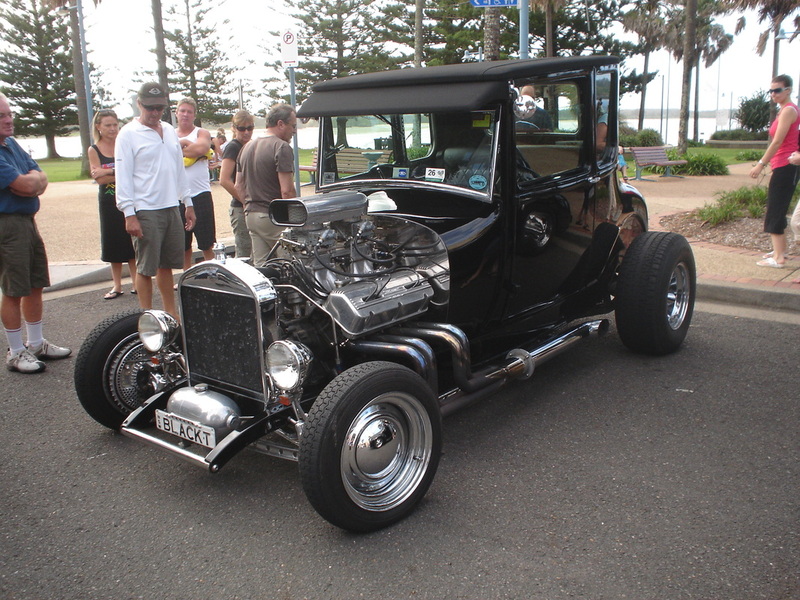 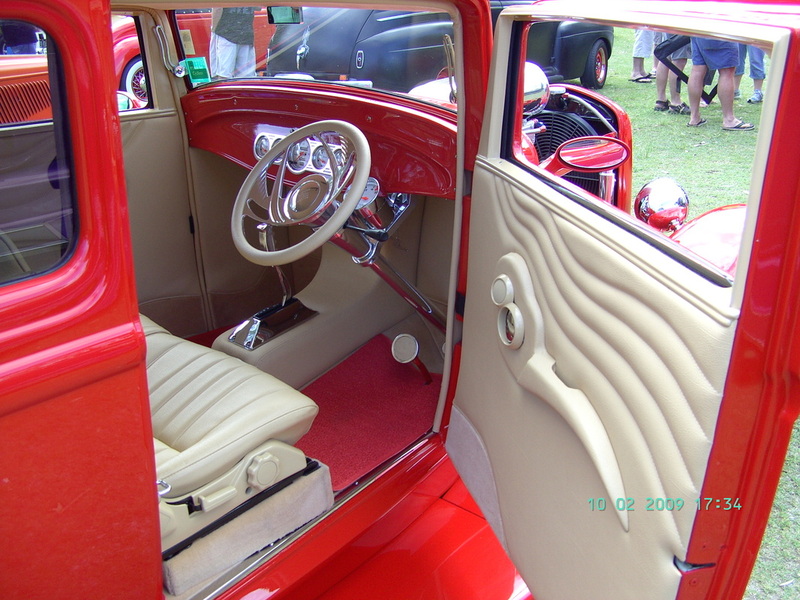 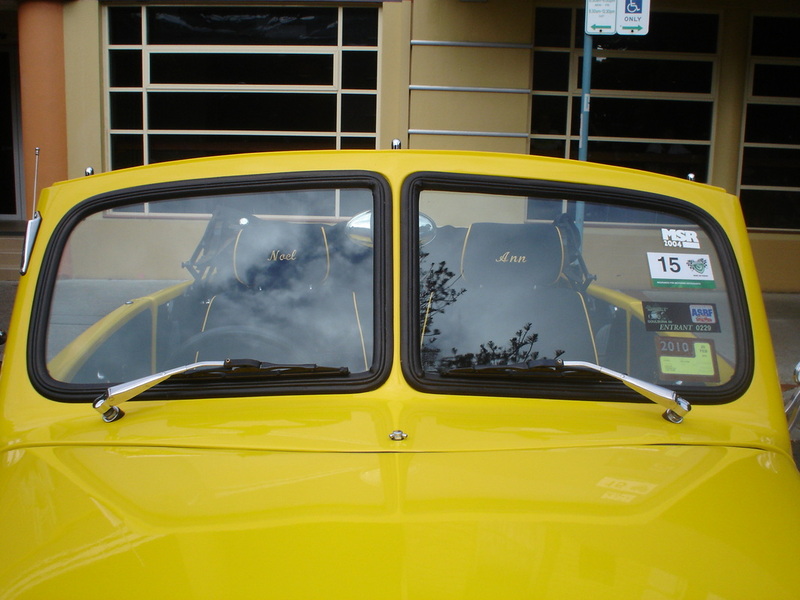 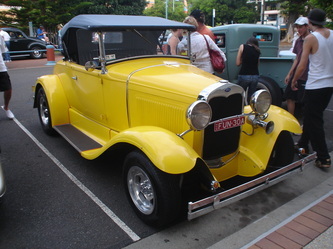 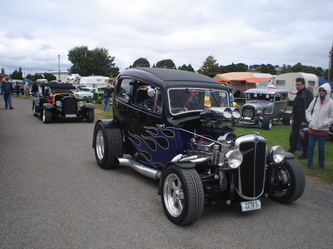 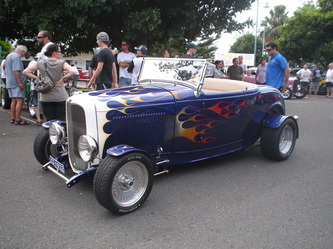 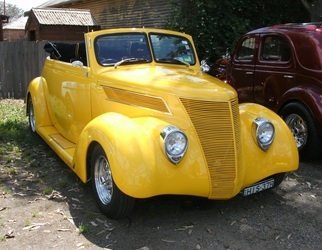 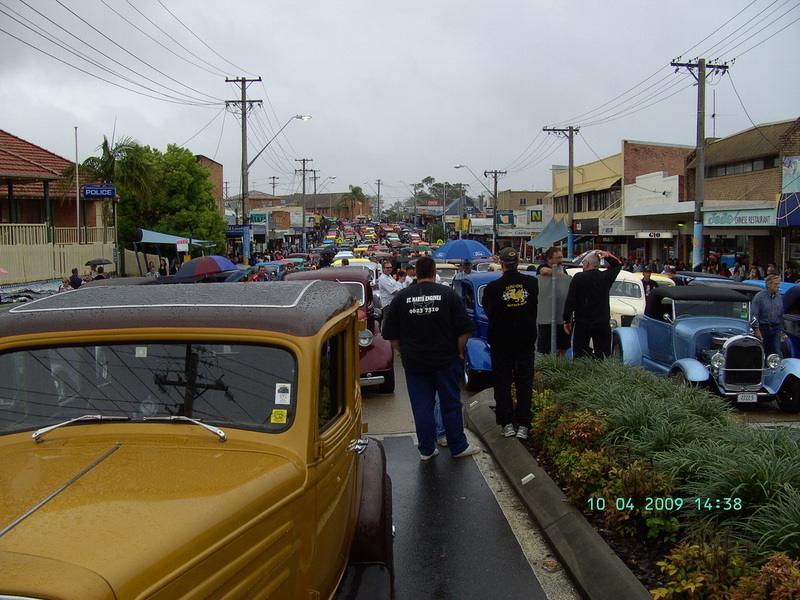 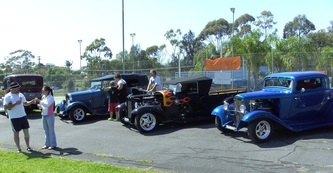 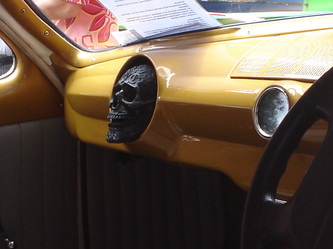 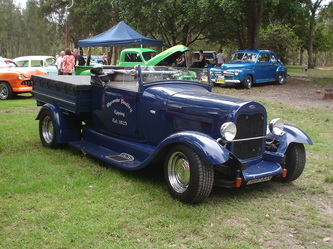 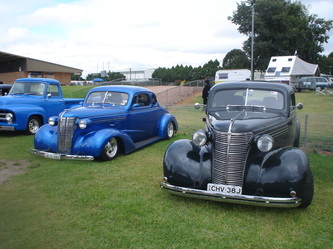 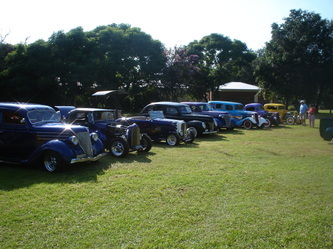 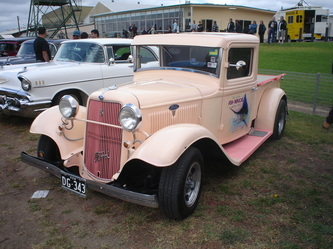 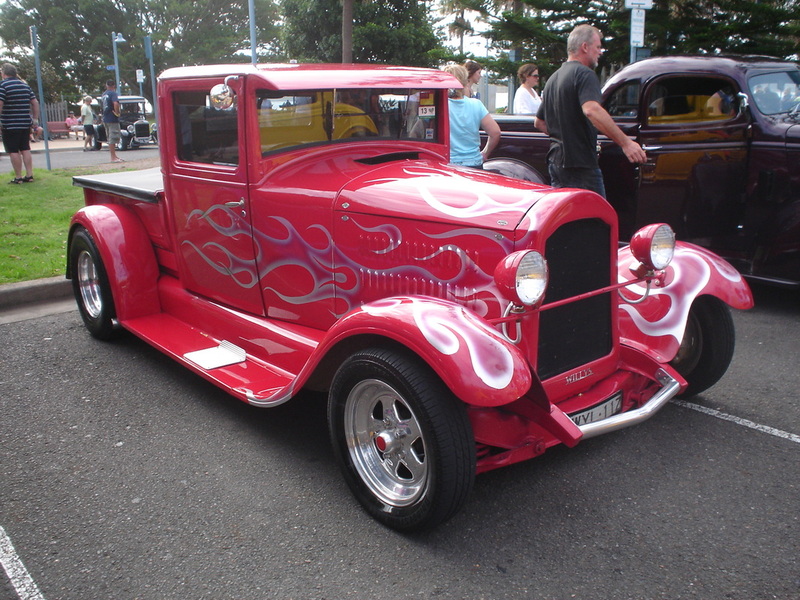 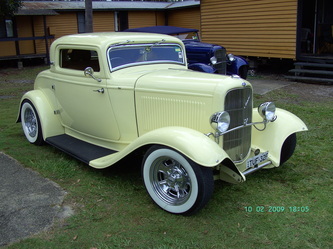 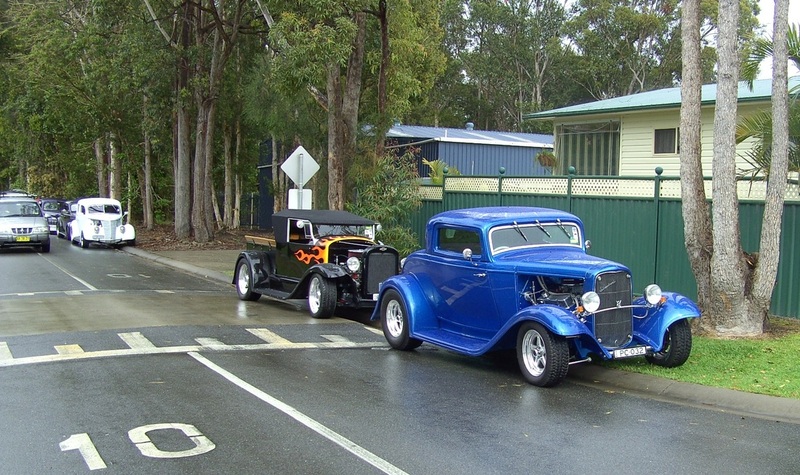 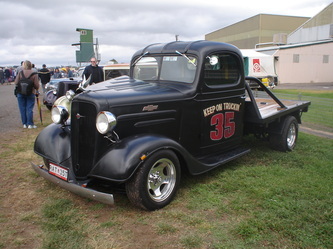 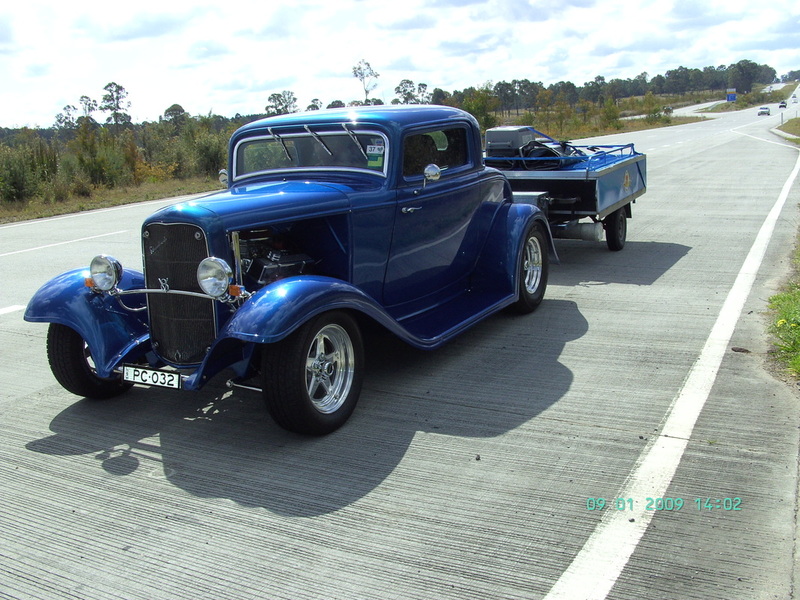 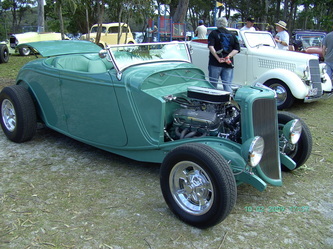 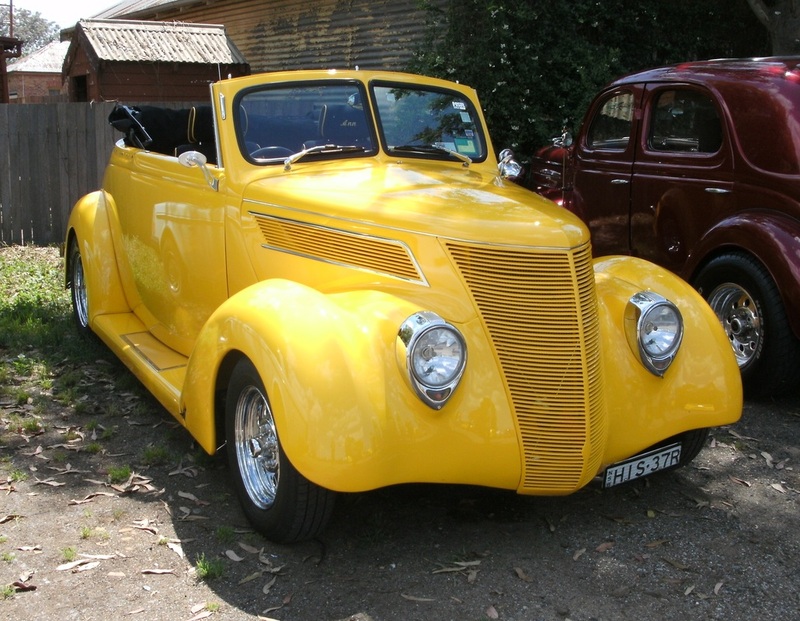 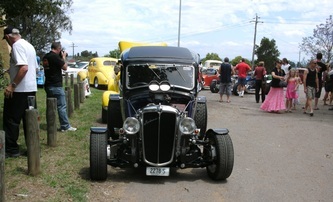 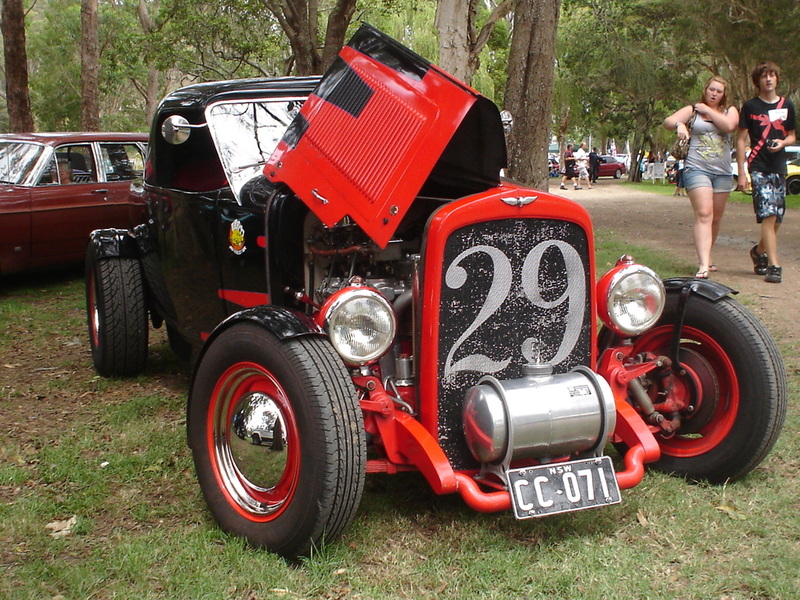 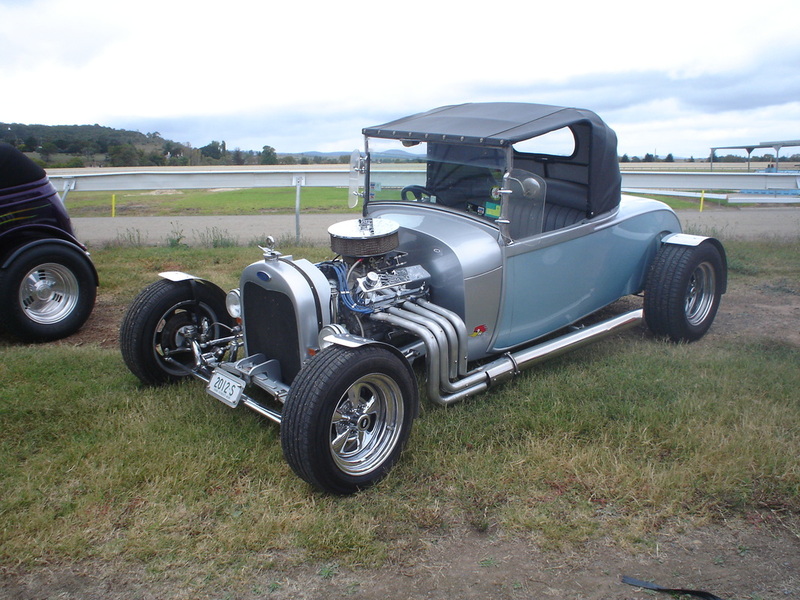 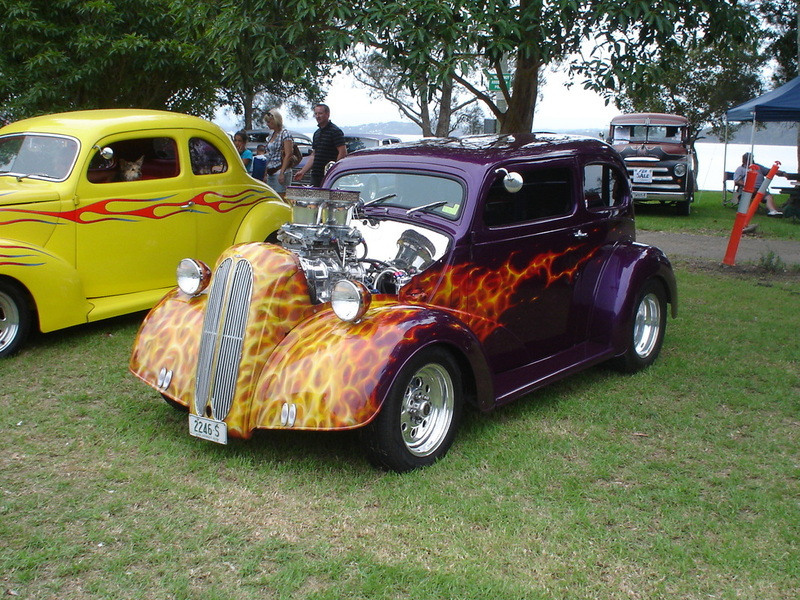 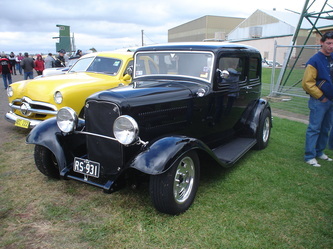 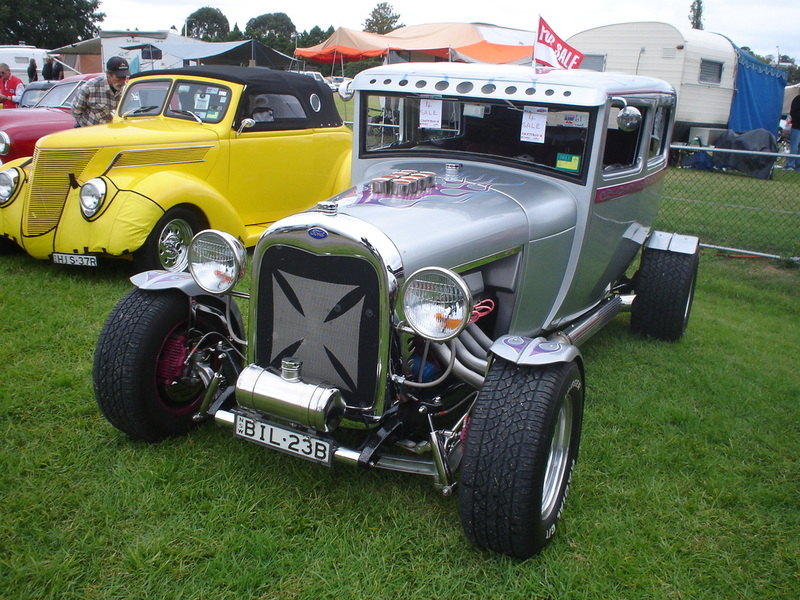 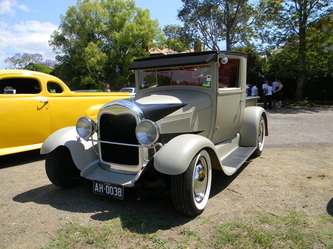 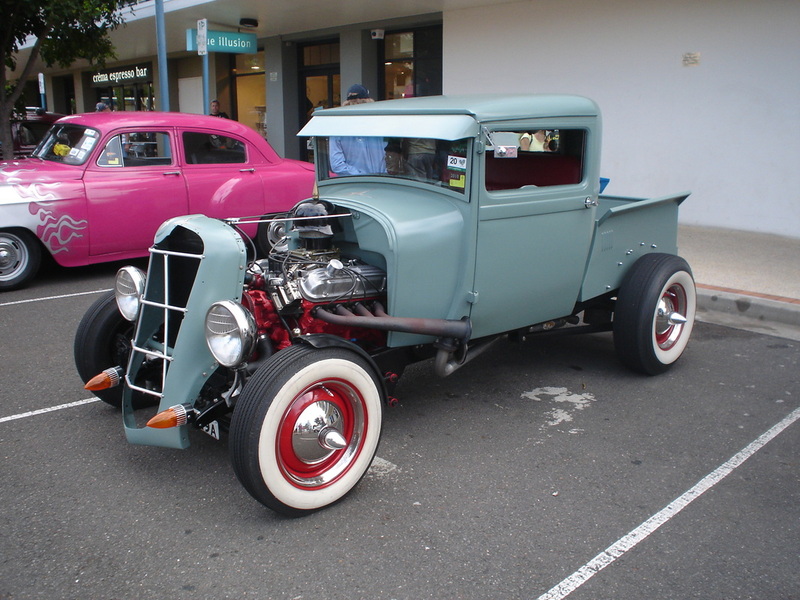 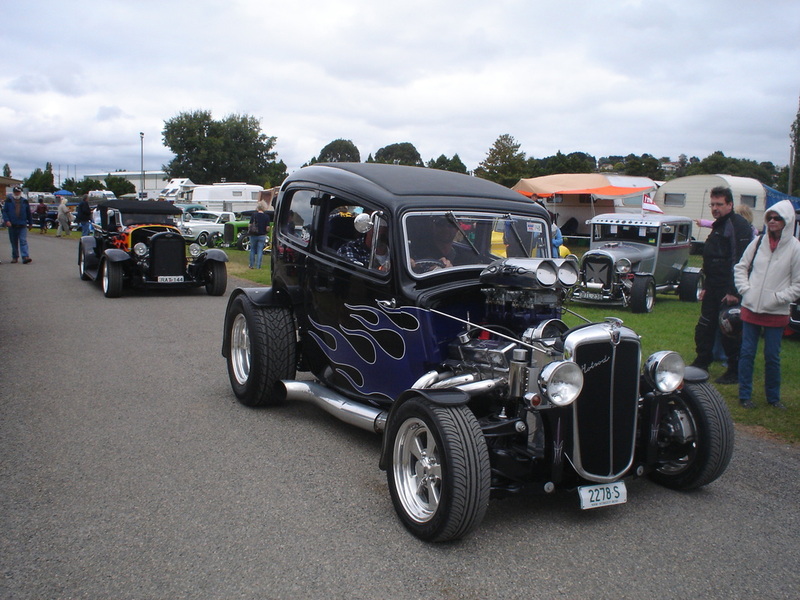 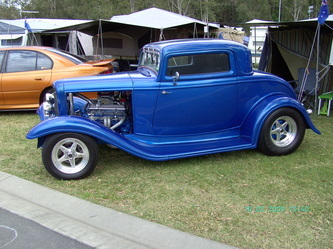 In February 2010 Rickshaws Hot Rod and Kustom Car Club put on their annual M.A.D. 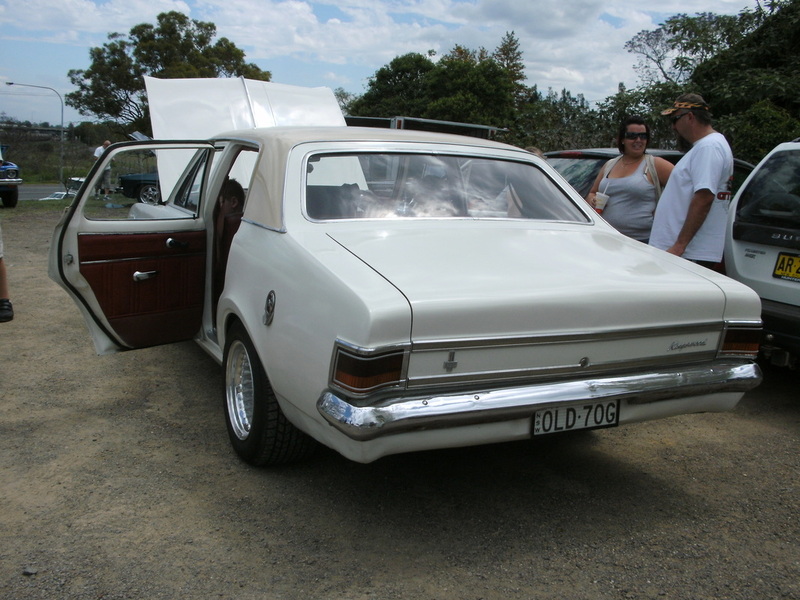 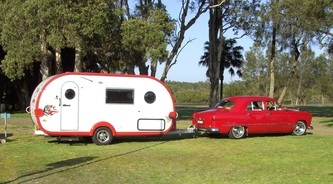 While there may not have been as many rods as other years they still attracted about 570 vehicles. 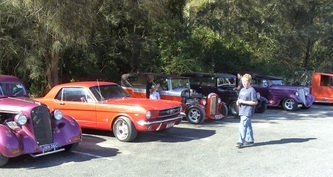 The weather stayed fine and an enjoyable day was had by all those who attended. 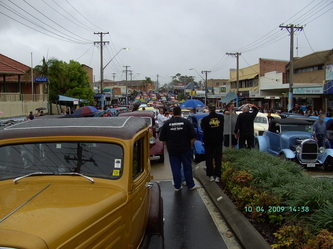 Only about 5 members from our club attended, which was a bit disappointing, but it did look like rain early in the day. Coasters Hot Rod Club held their Coastal Cruise at Port Macquarie in February 2010. Coasters really know how to put on a great weekend, they supplied food and drinks on the Friday night, breakfast each morning and entertainment on the Saturday night. 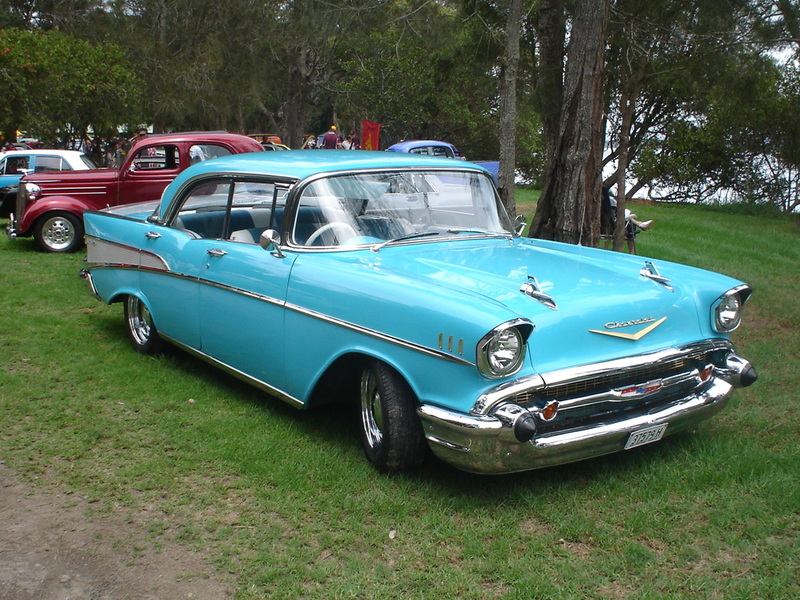 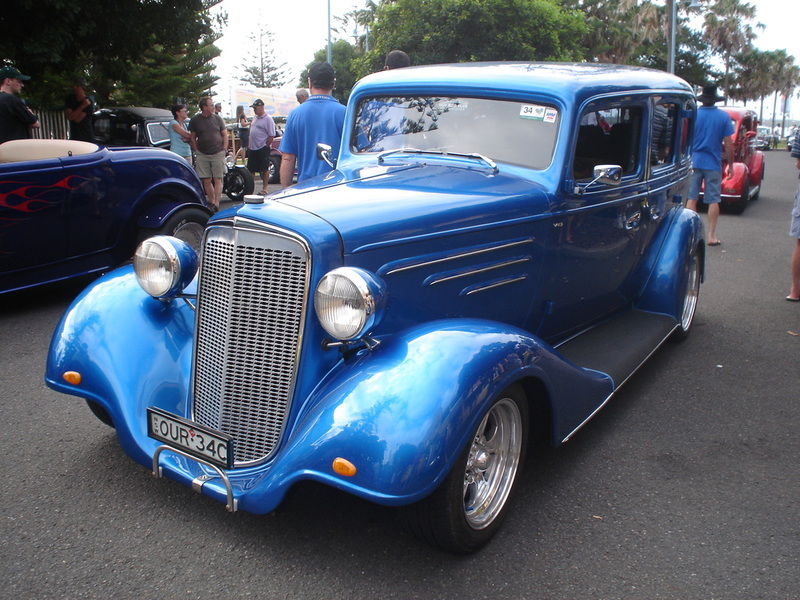 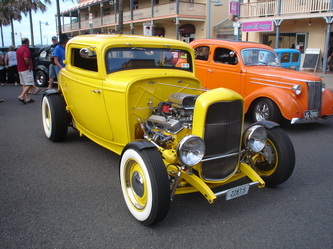 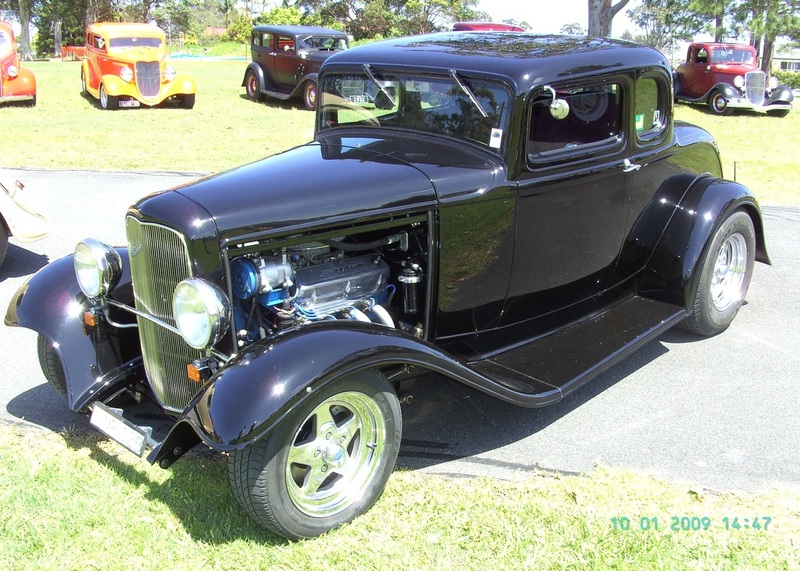 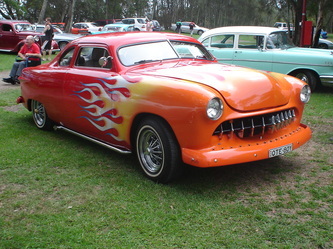 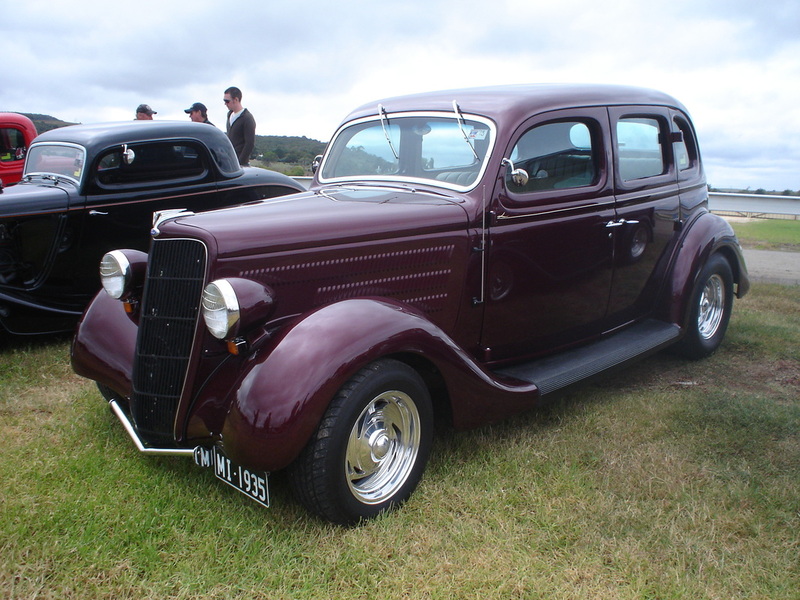 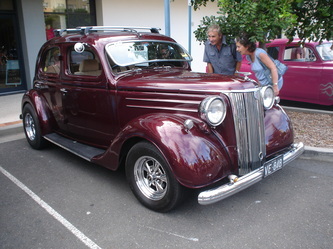 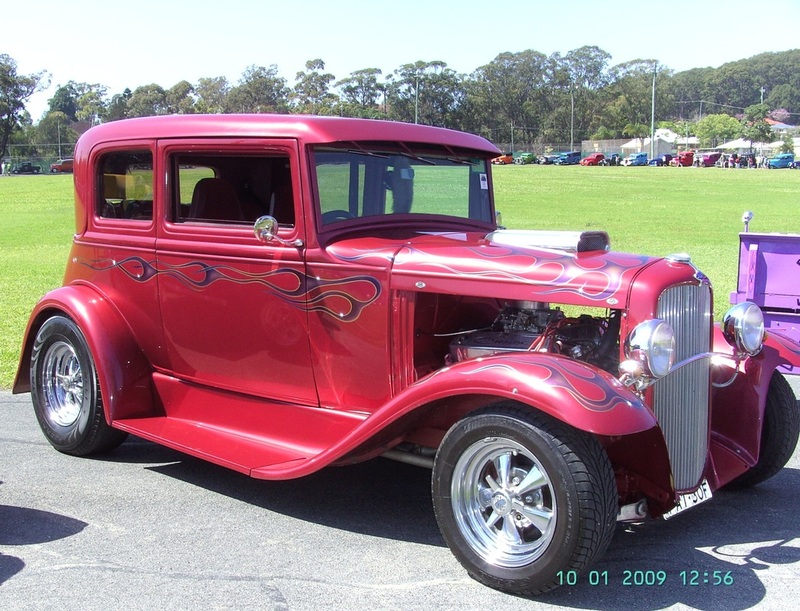 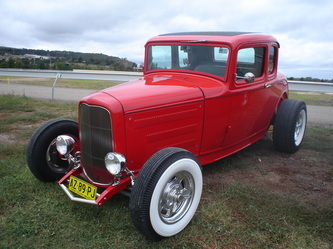 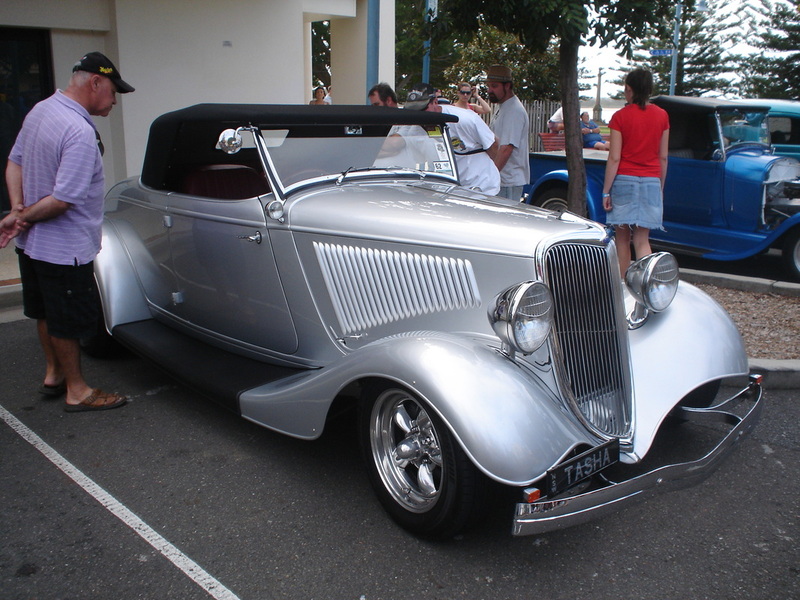 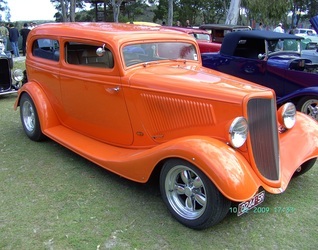 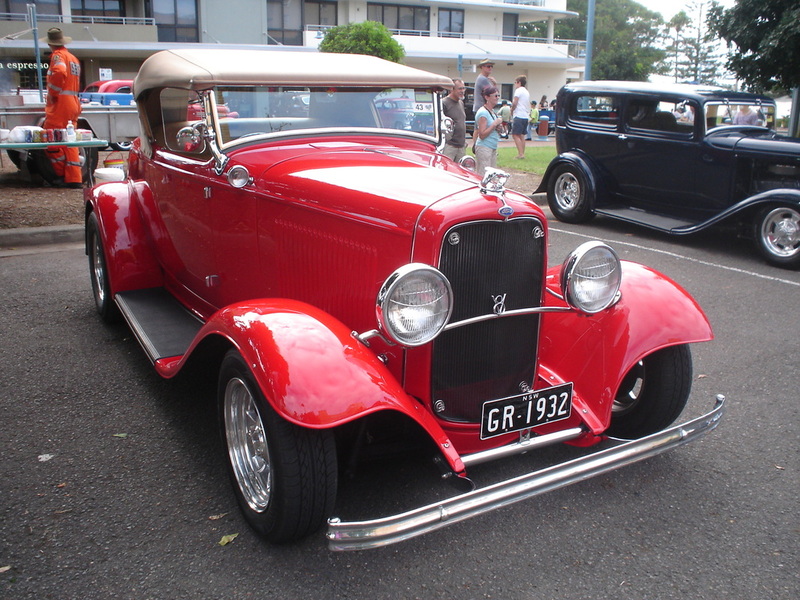 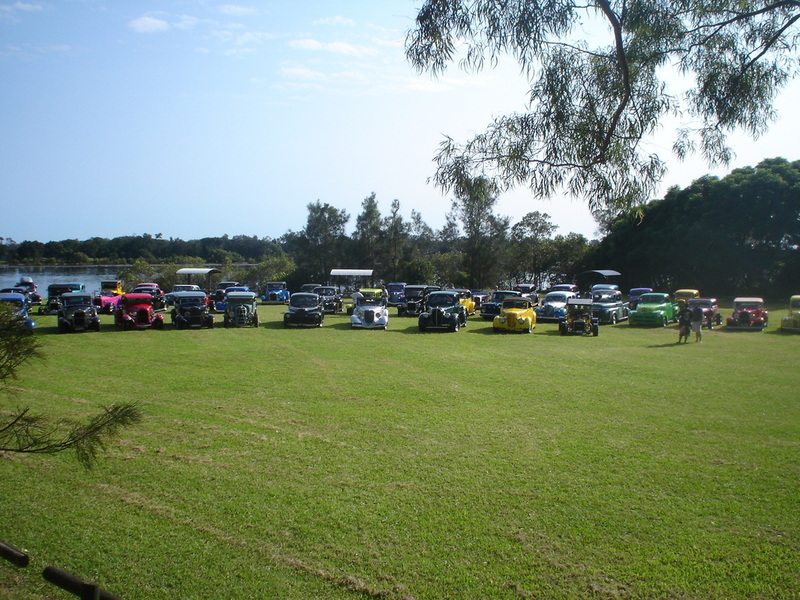 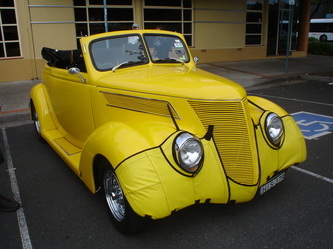 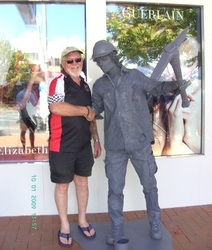 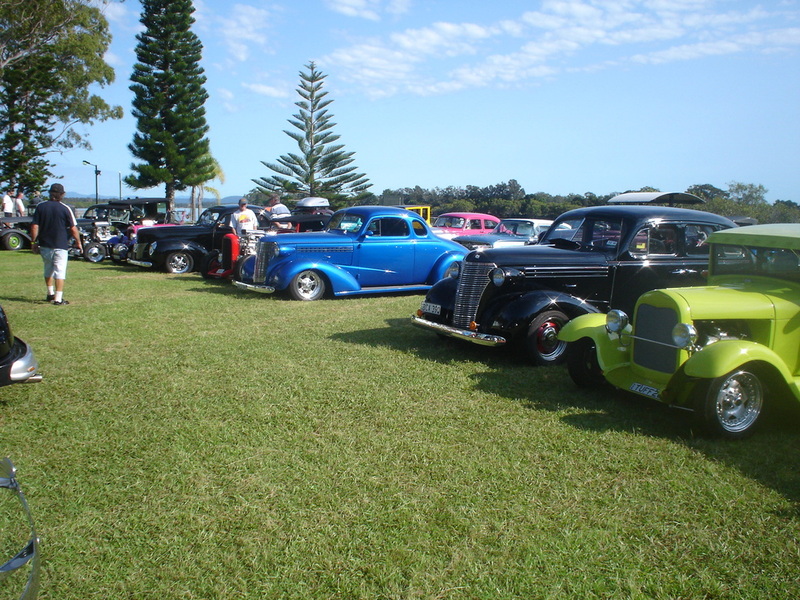 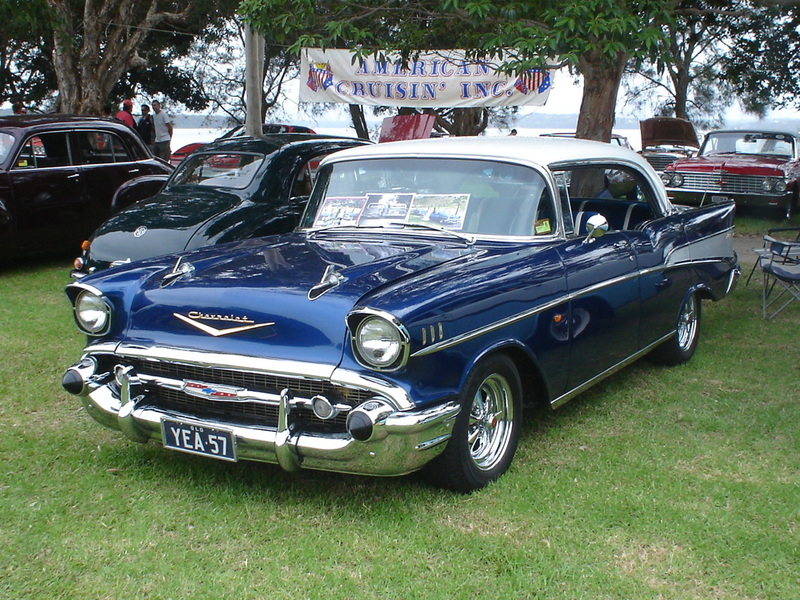 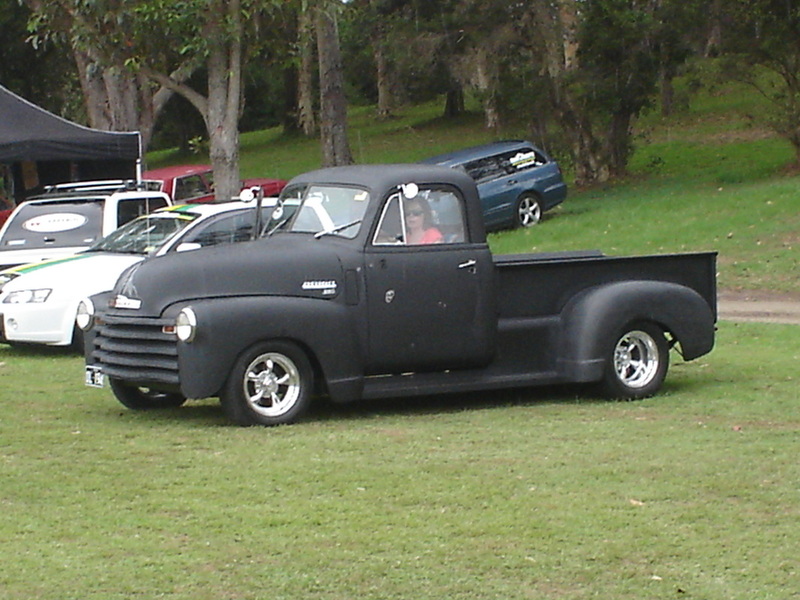 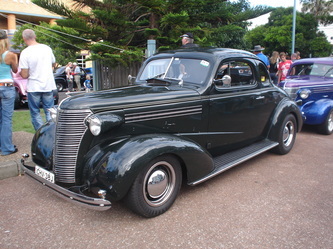 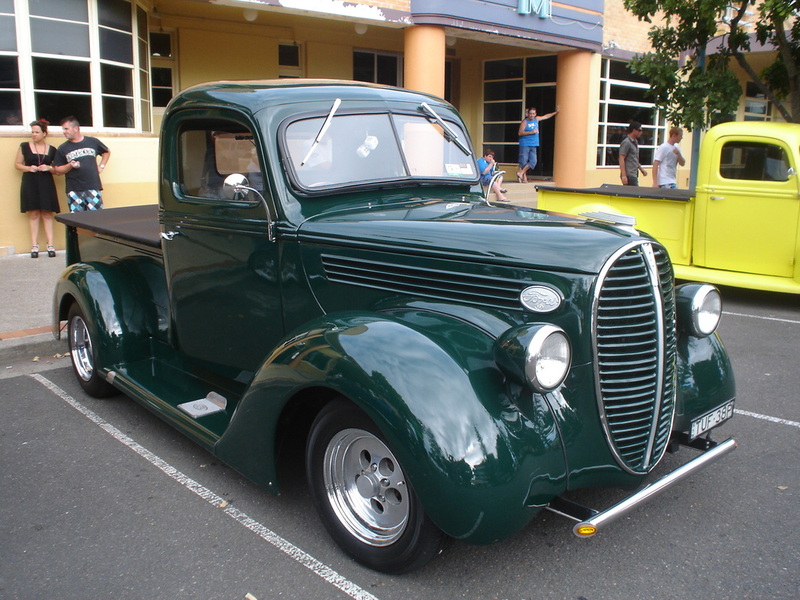 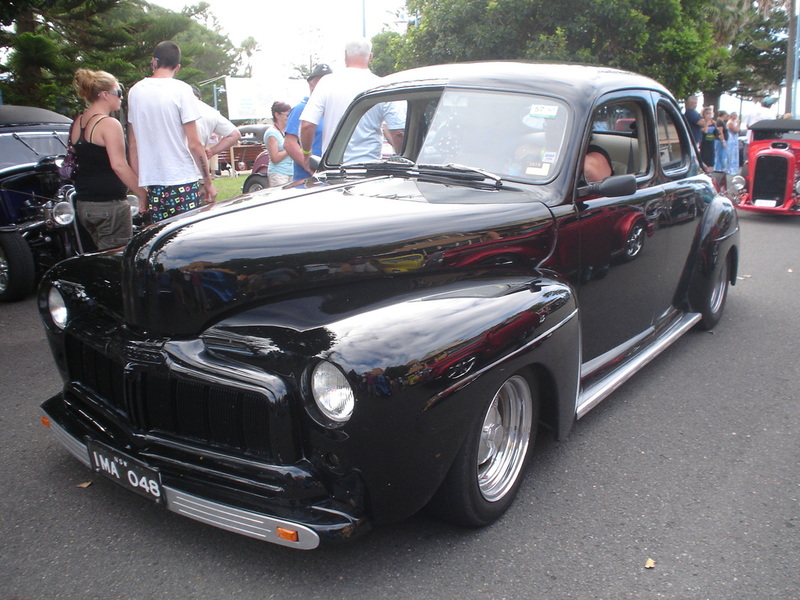 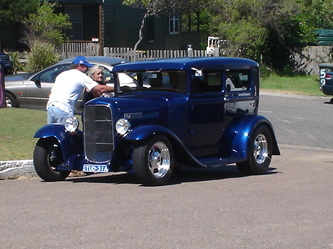 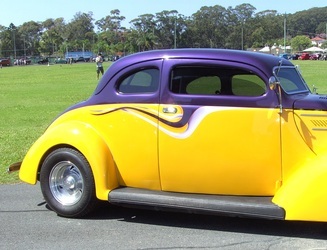 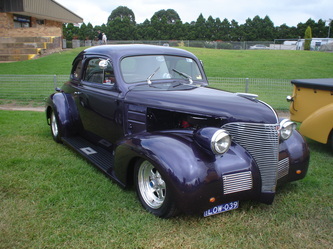 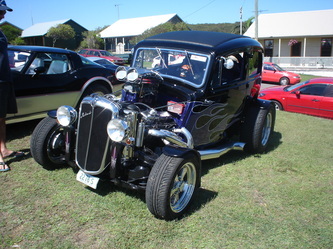 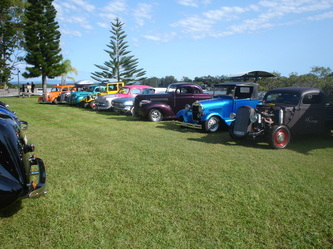 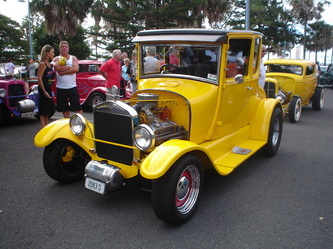 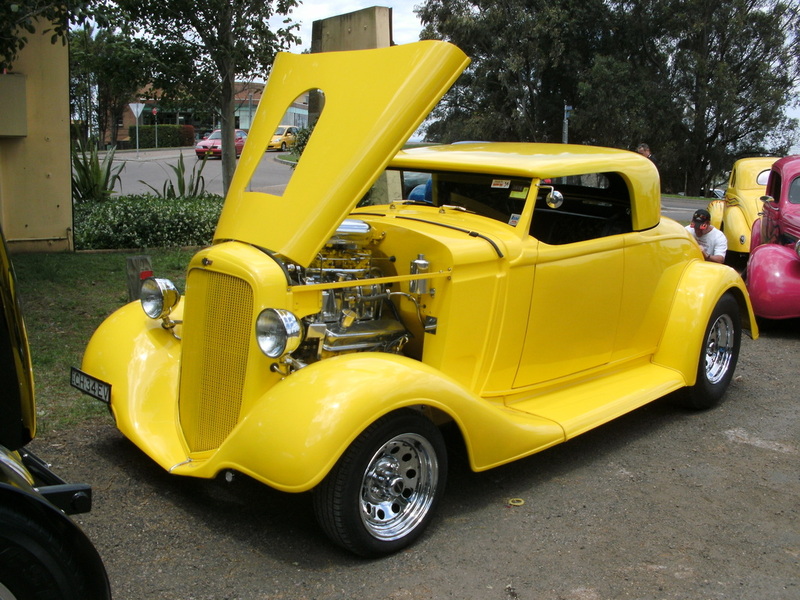 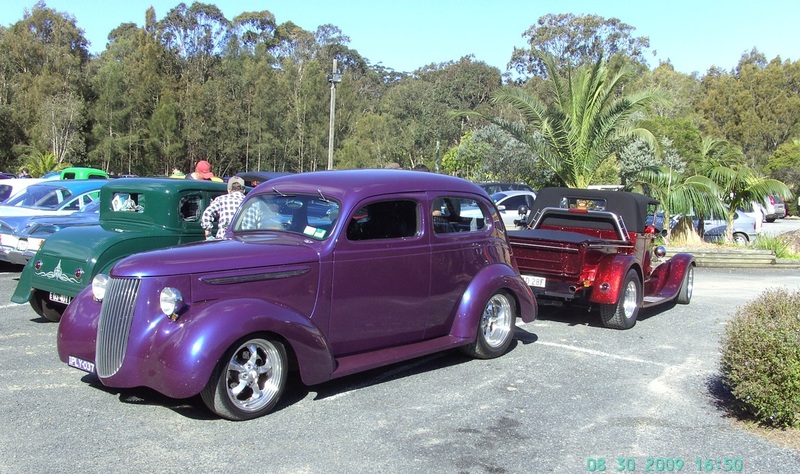 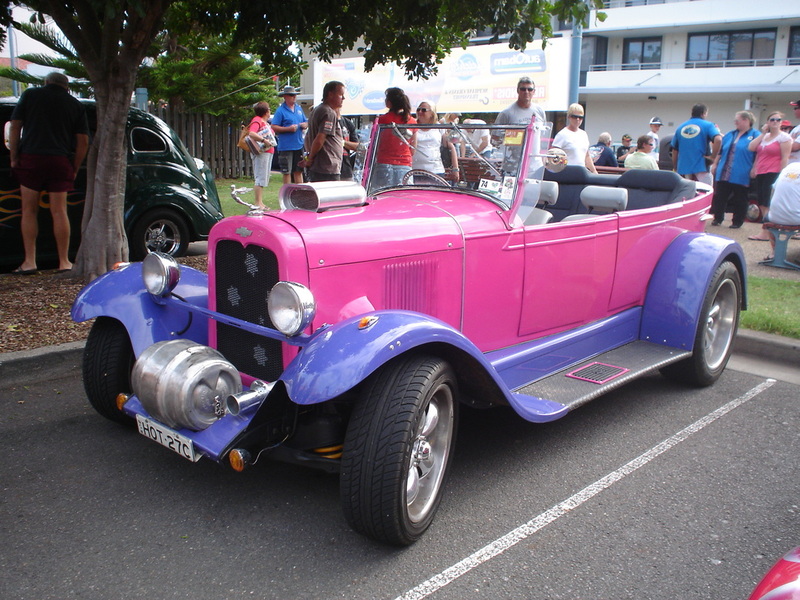 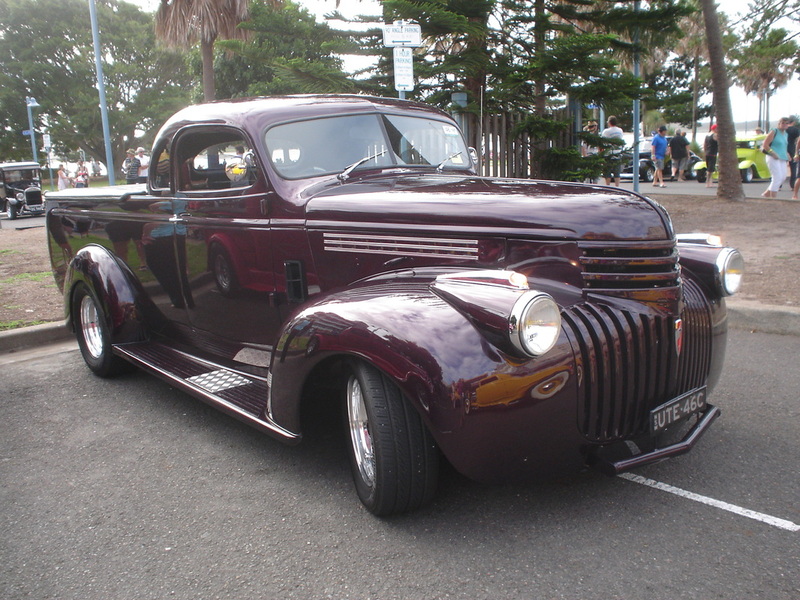 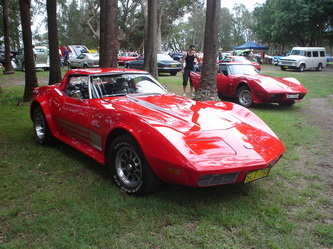 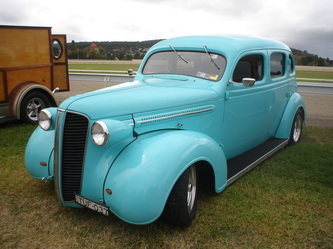 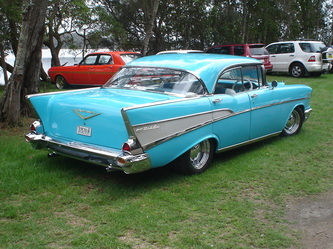 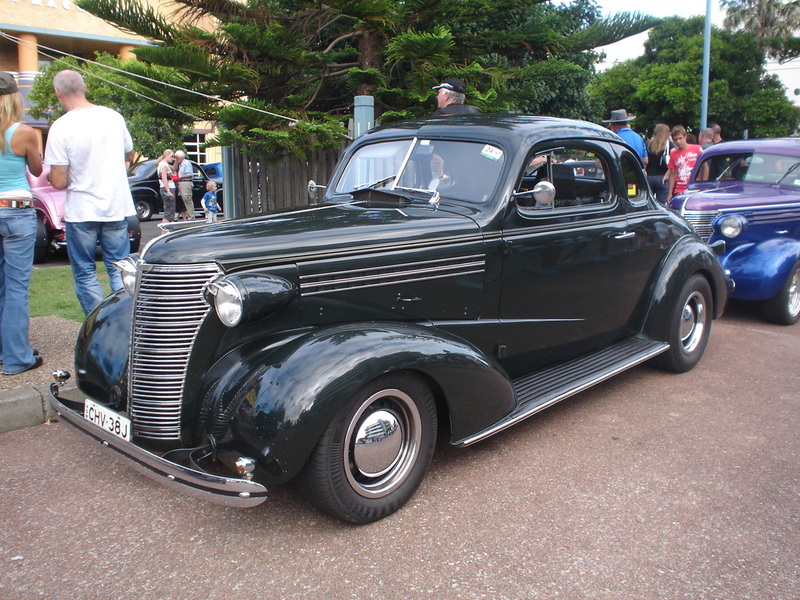 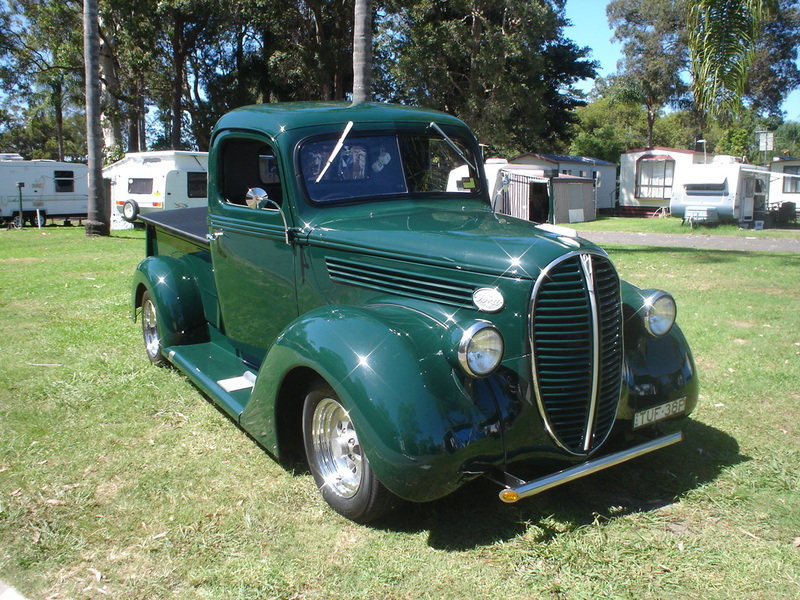 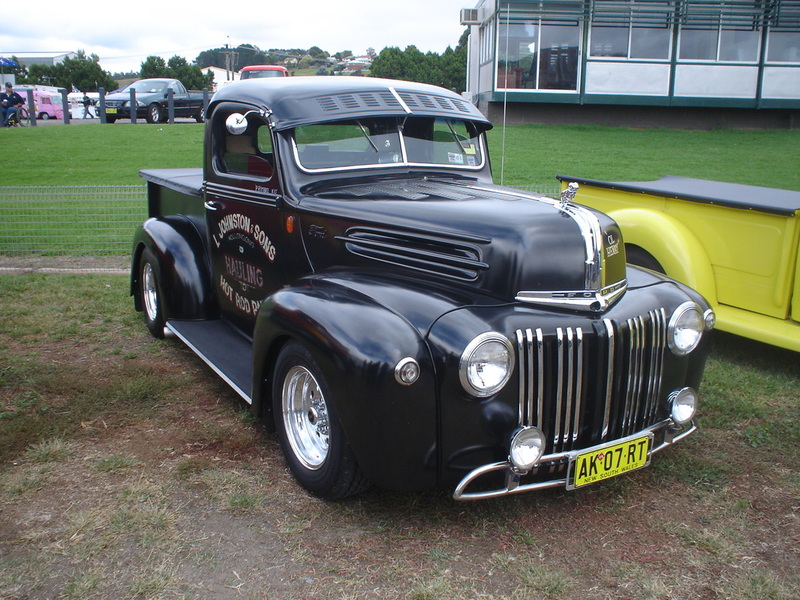 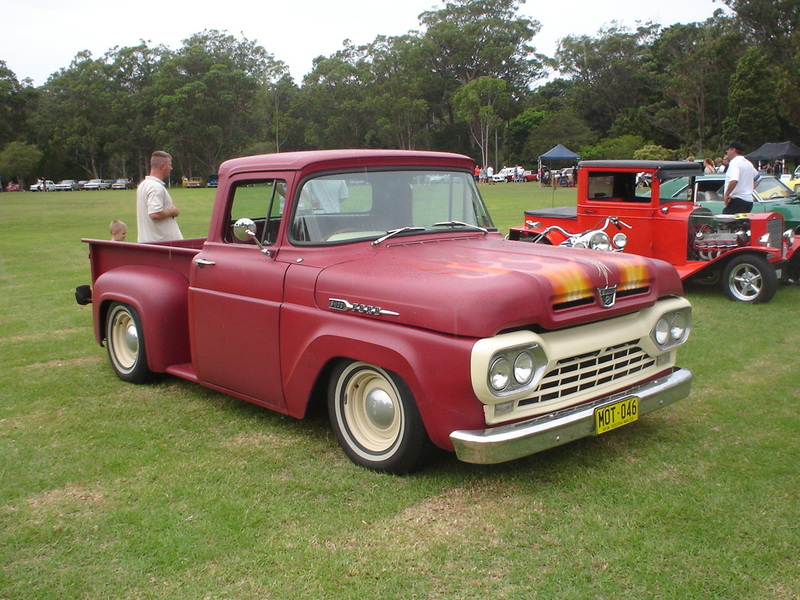 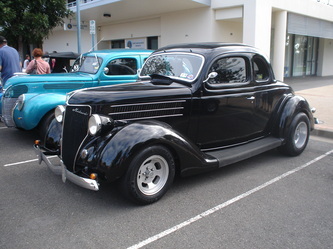 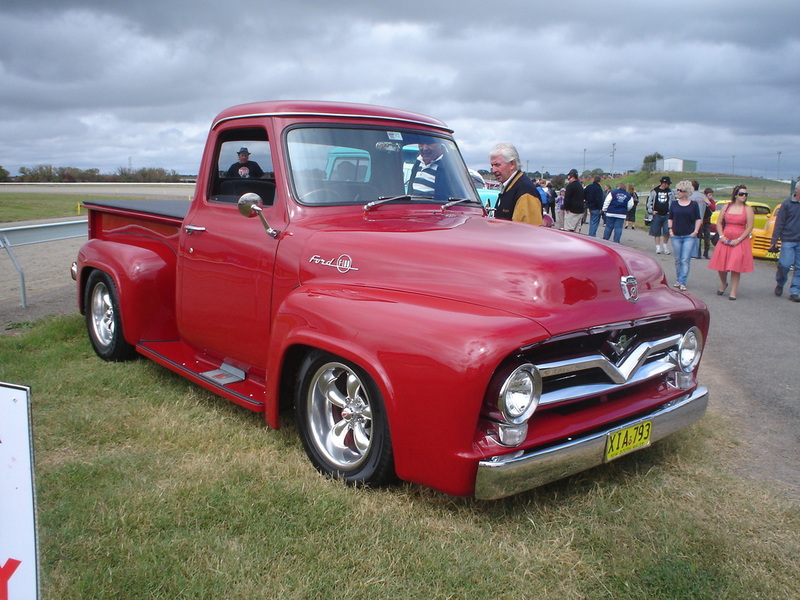 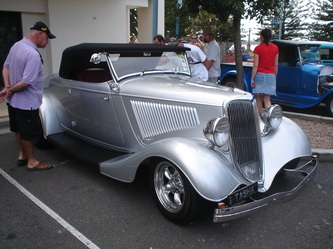 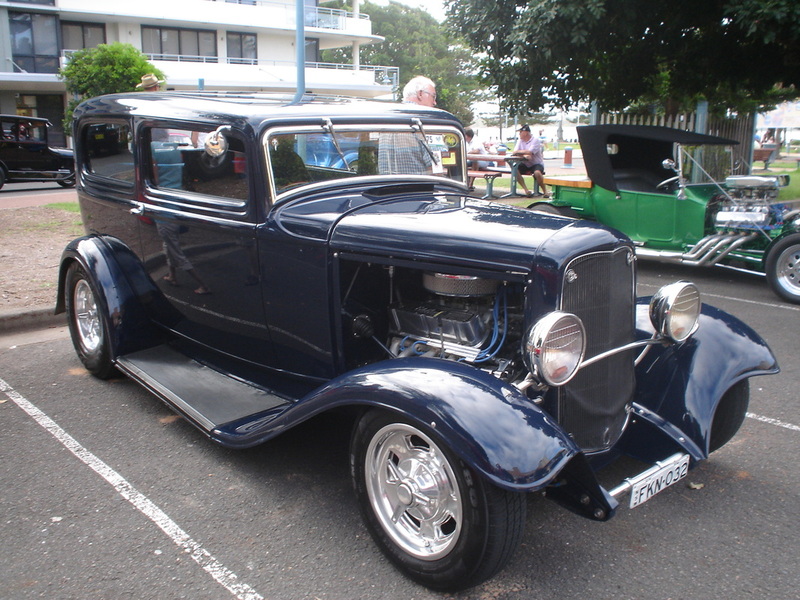 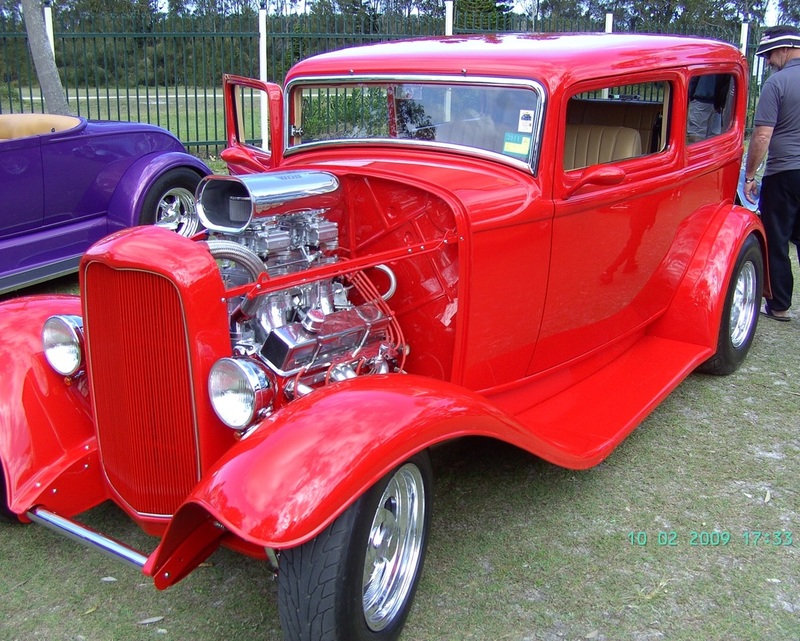 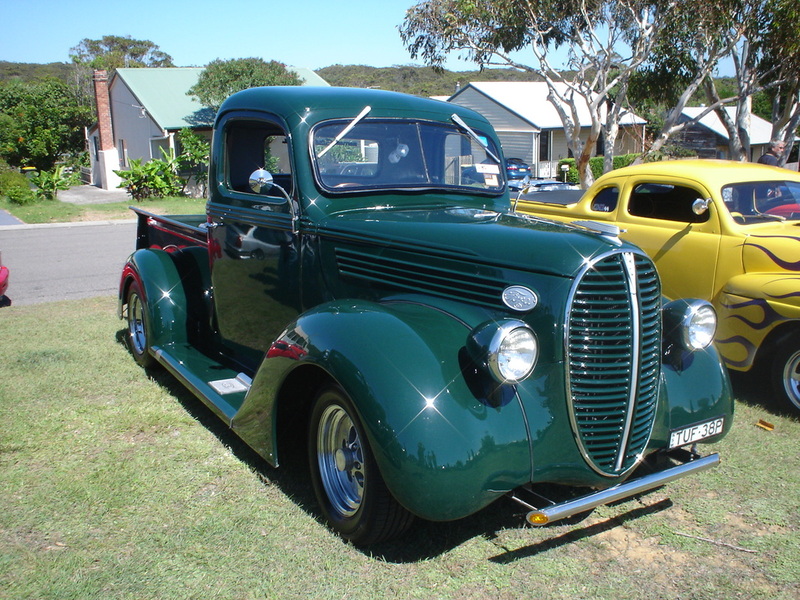 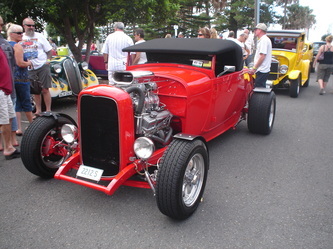 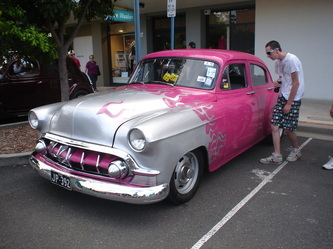 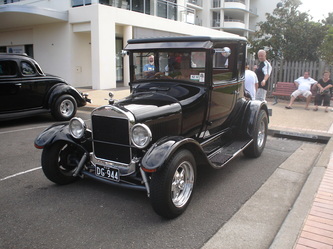 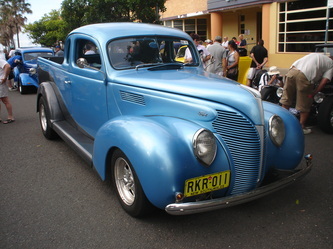 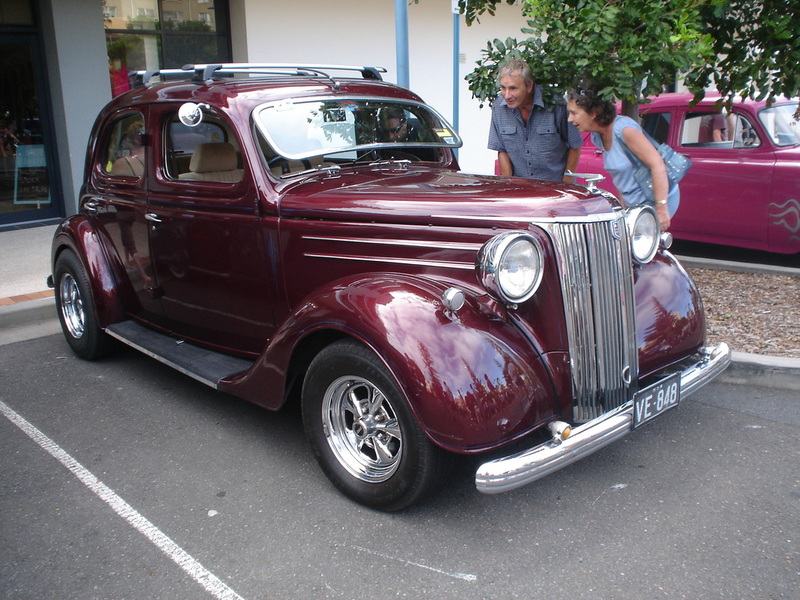 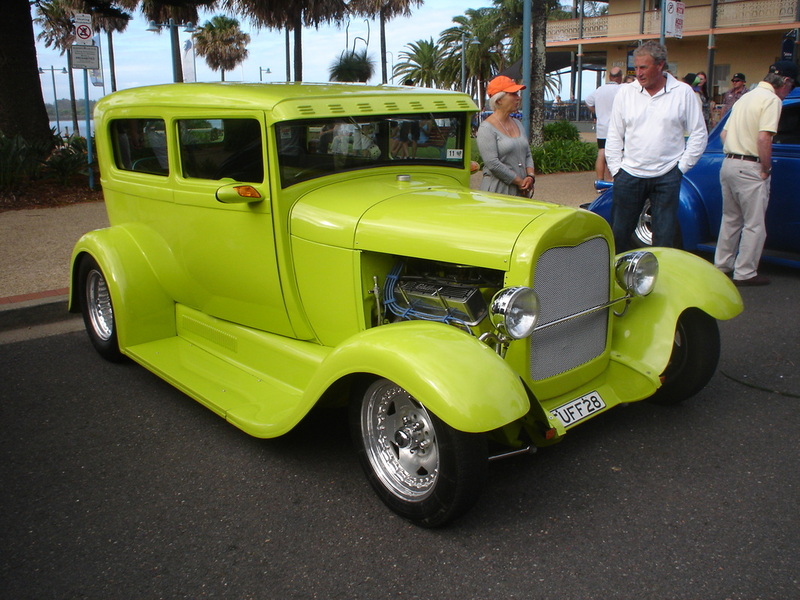 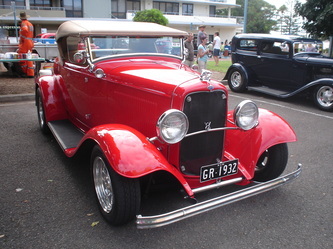 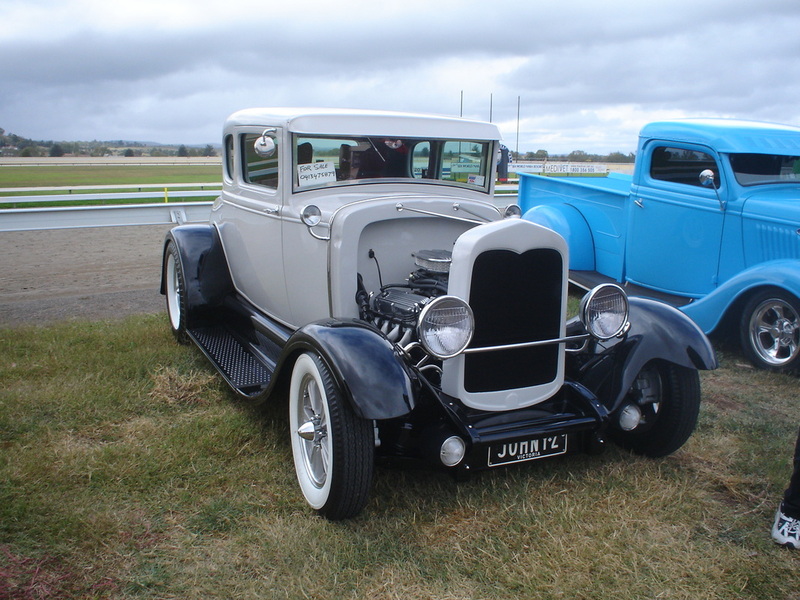 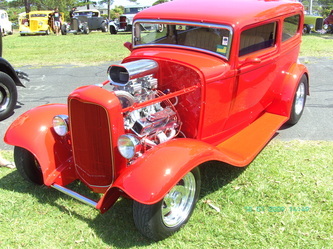 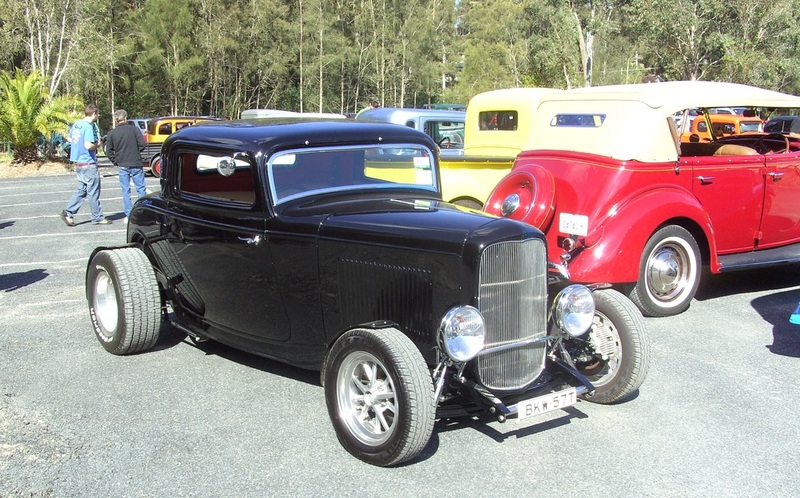 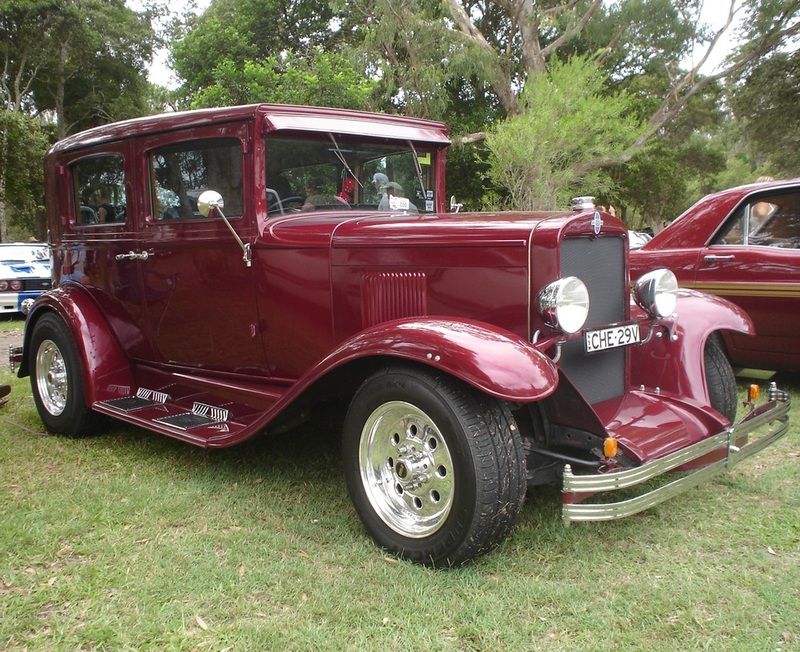 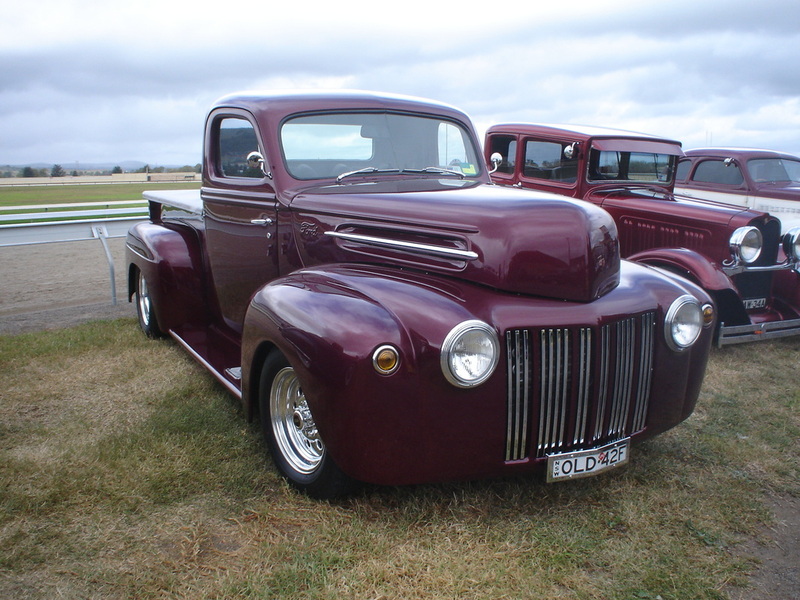 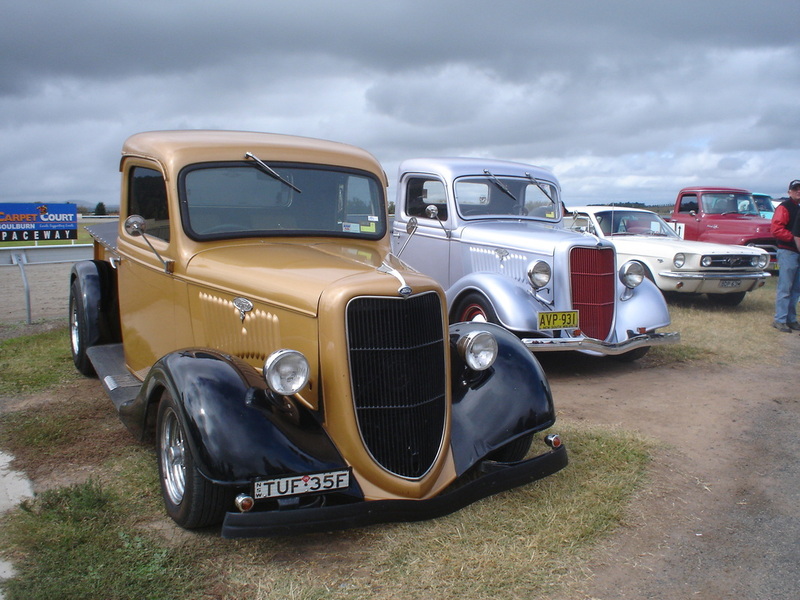 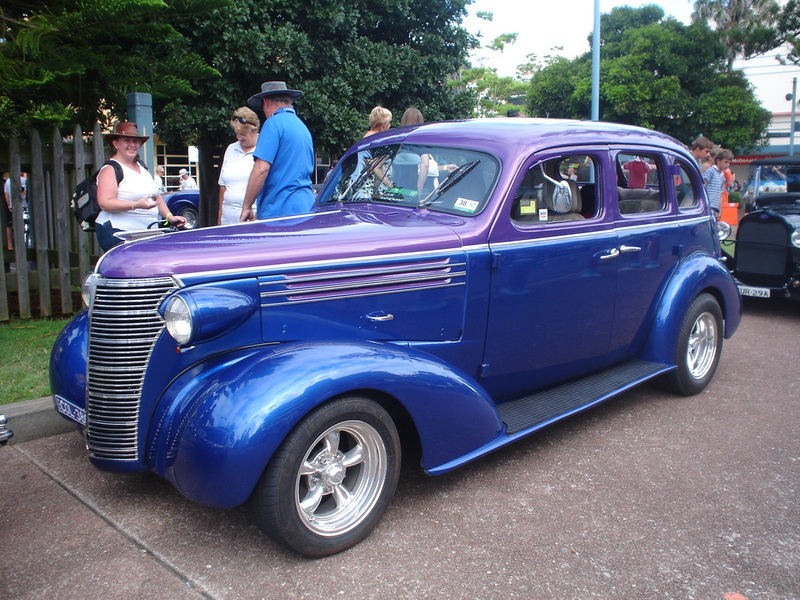 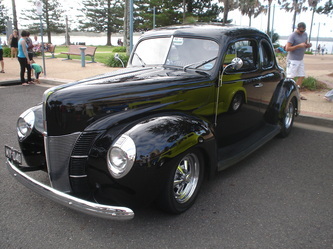 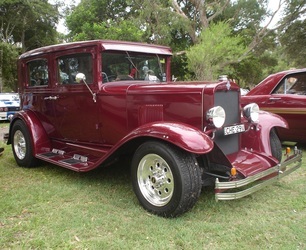 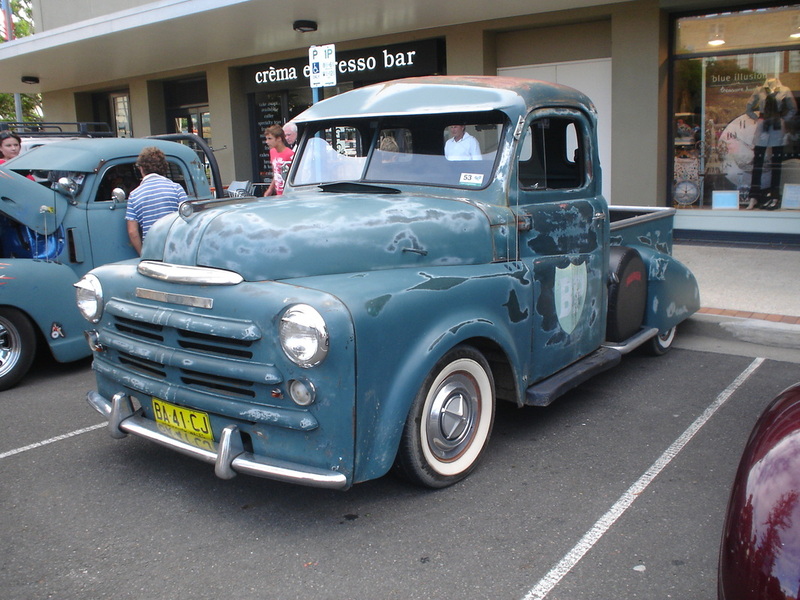 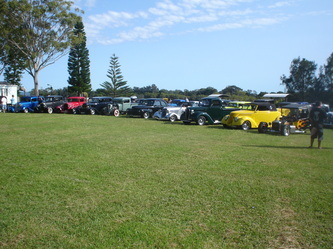 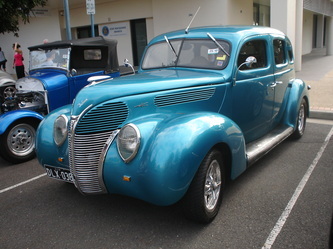 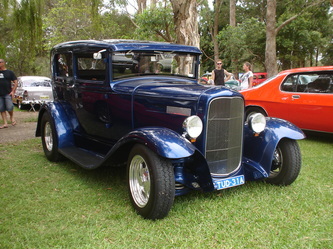 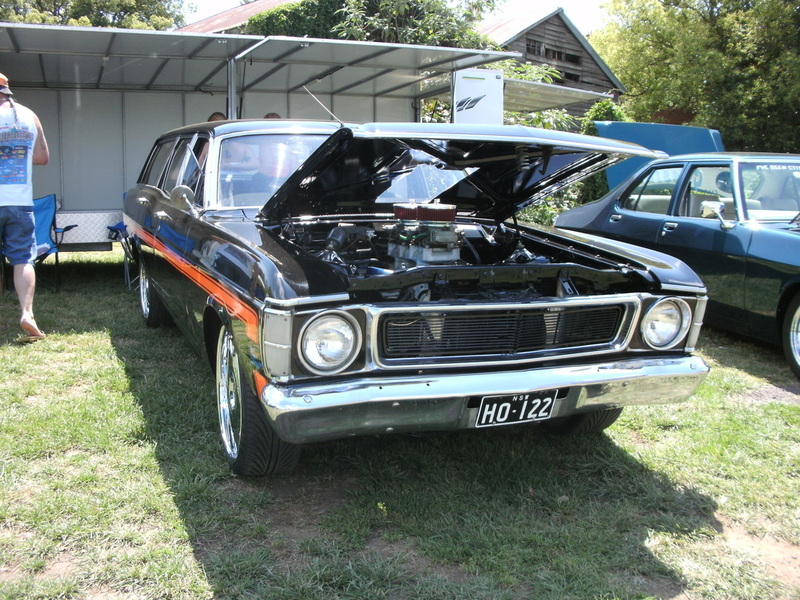 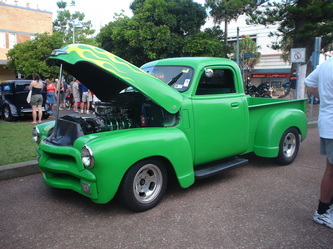 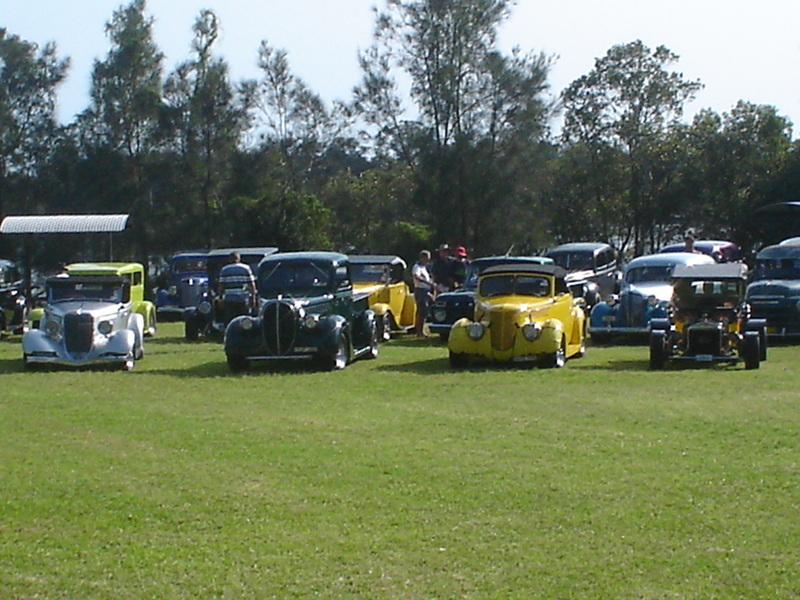 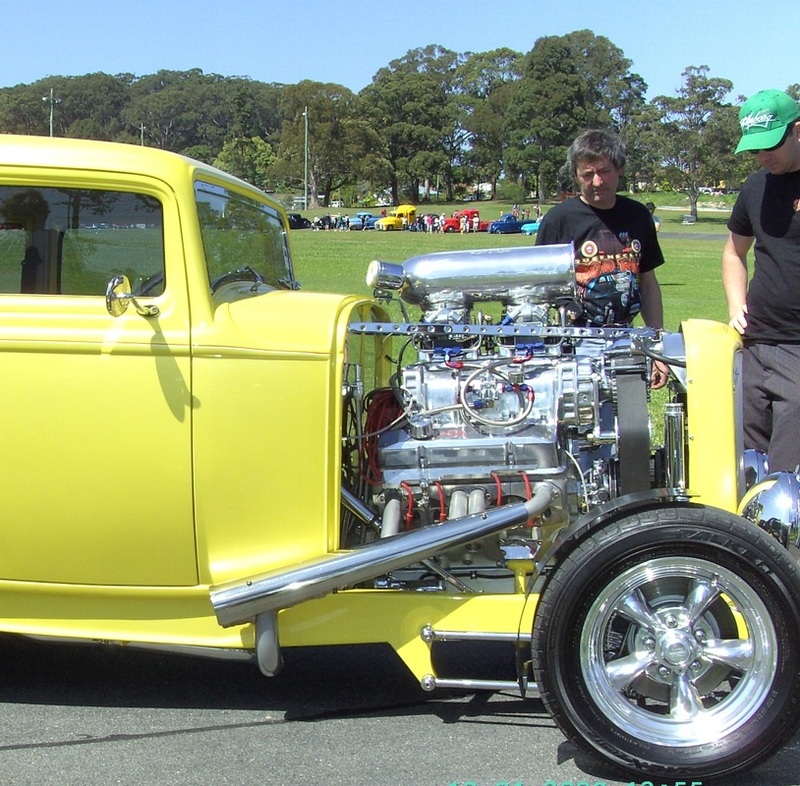 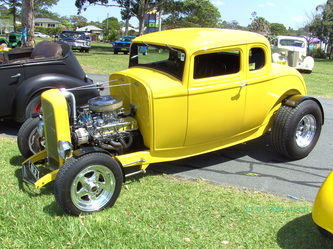 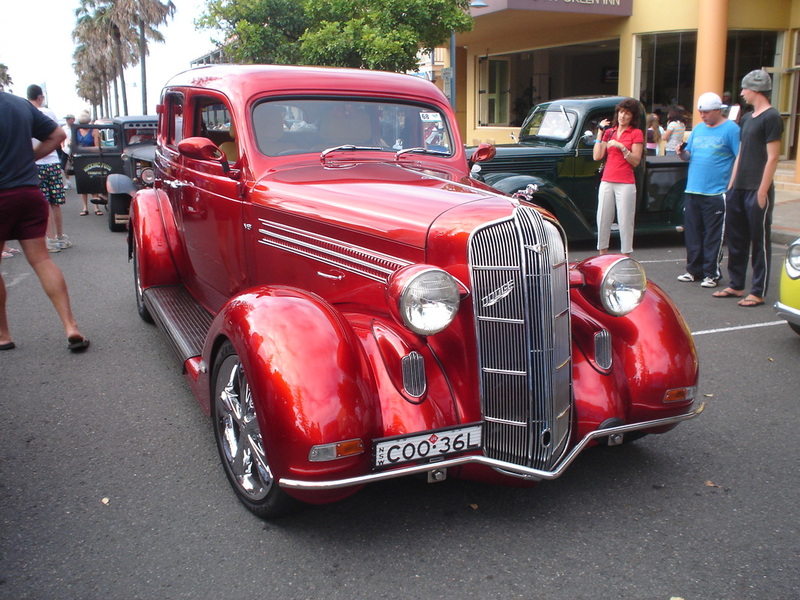 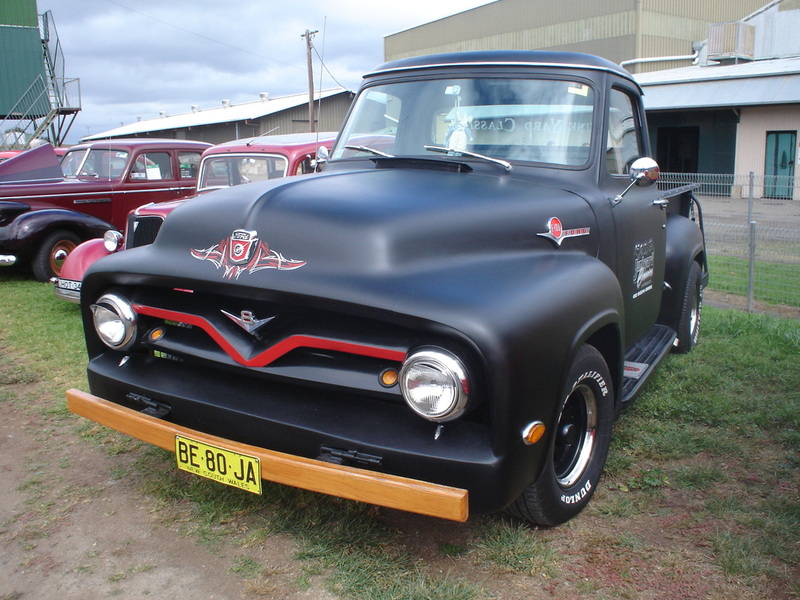 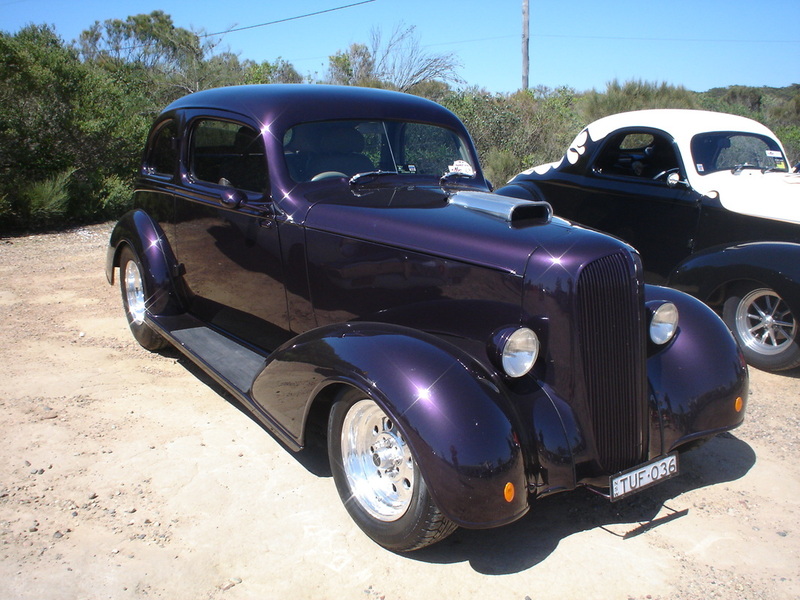 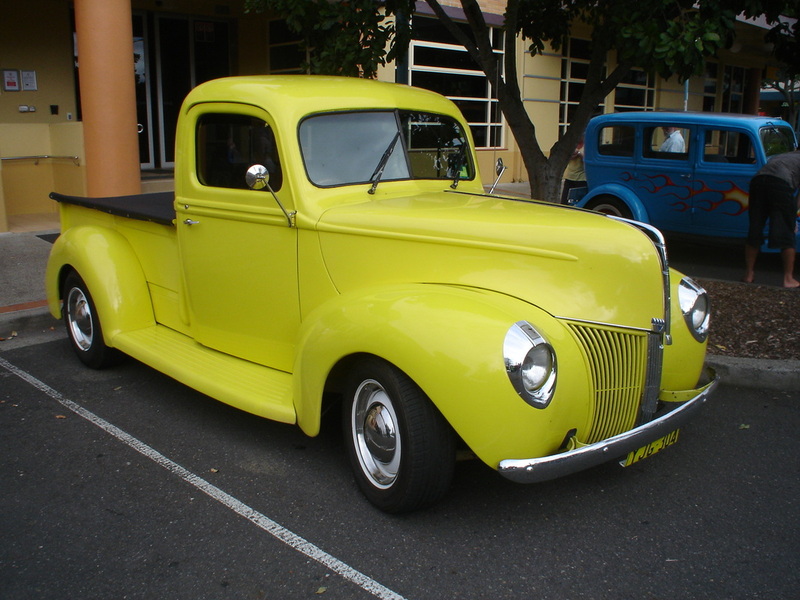 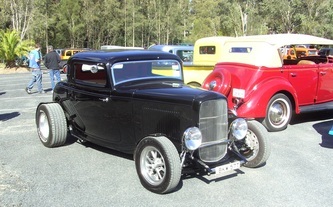 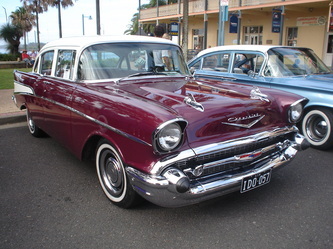 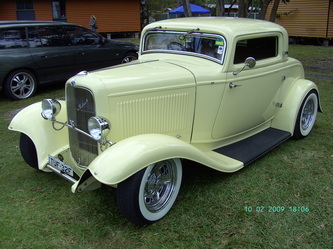 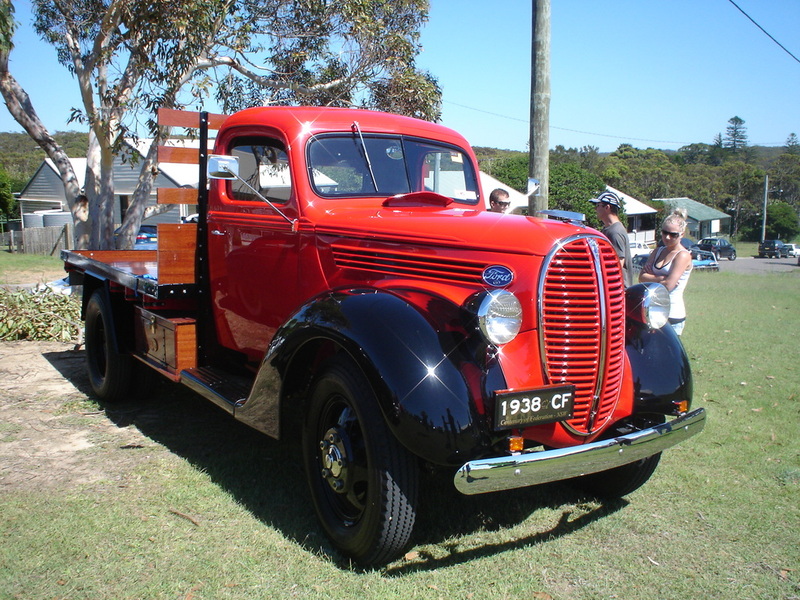 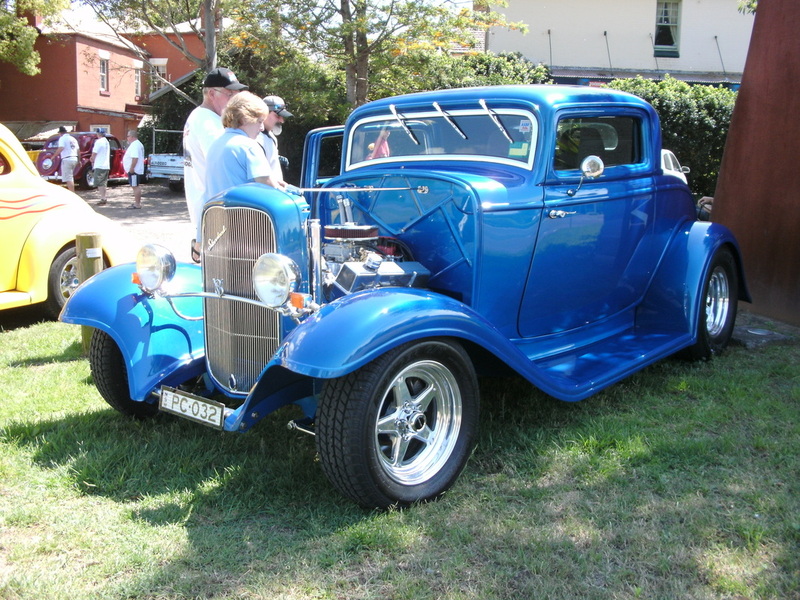 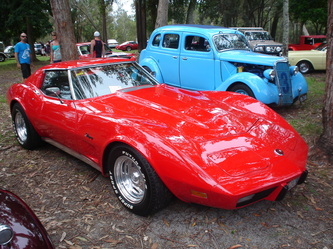 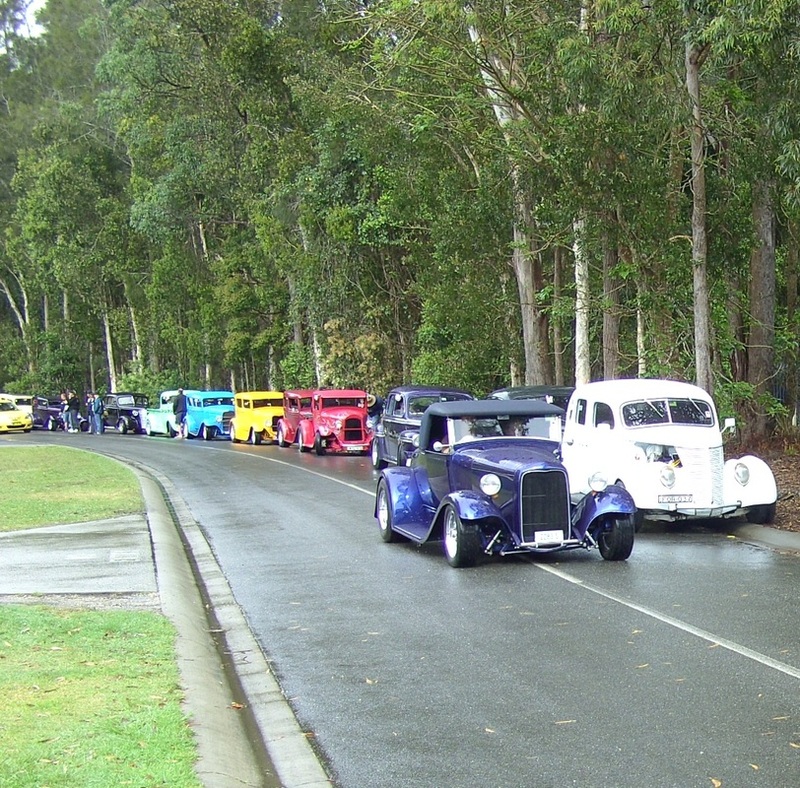 We had a cruise on Saturday from the Headland at Port Macquarie to Wauchope were we had lunch and then the show and shine was back in Port at about 5:30pm. This year was the first time in many that our club has won the best attended club at an event and all those that went will be back next year as they had such a good time. 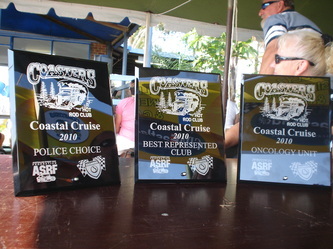 To top it off Dan won Police's choice and Glenda won Oncology Unit's choice. 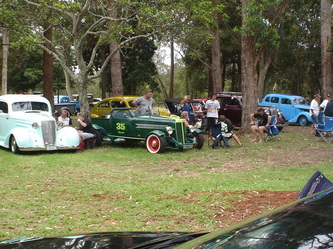 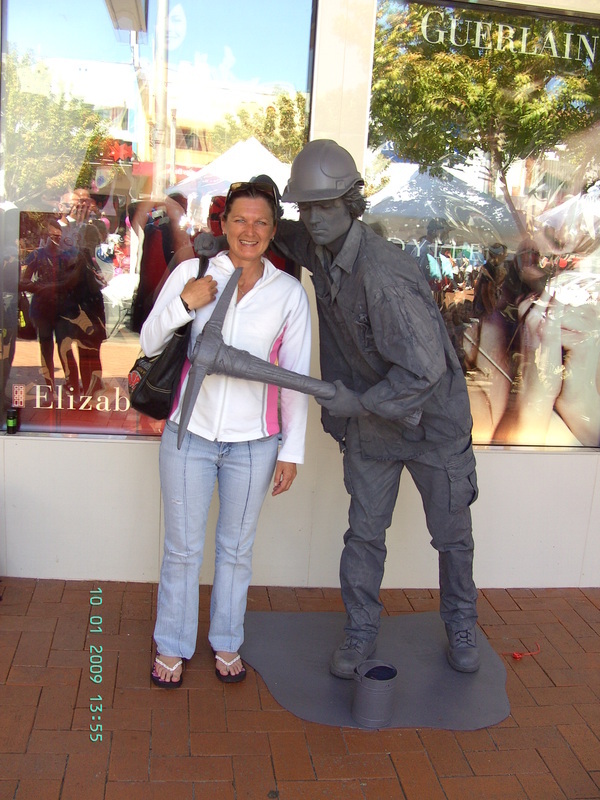 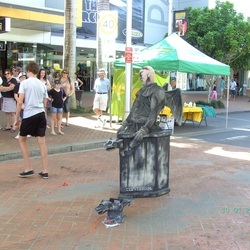 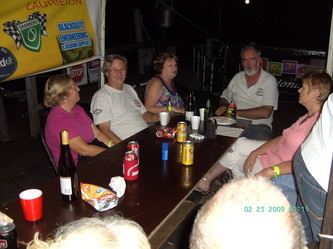 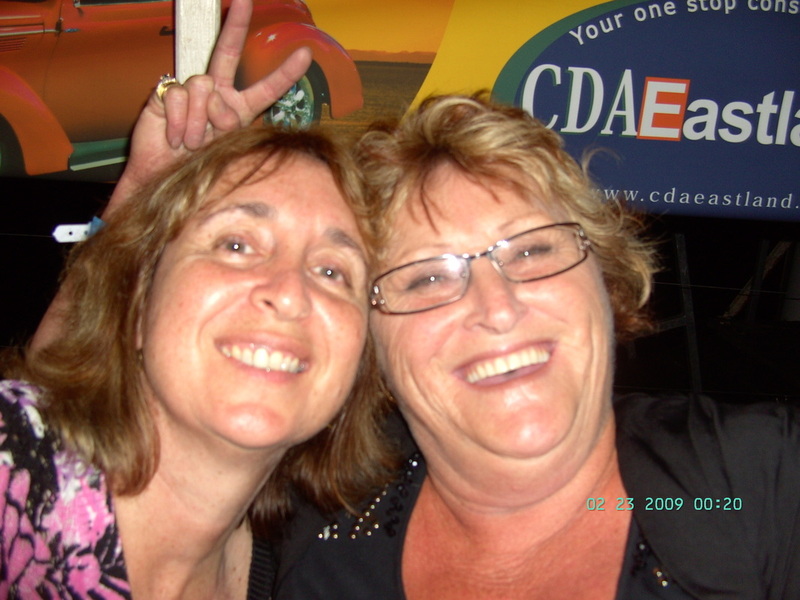 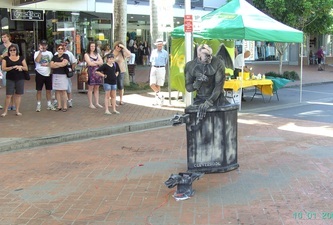 The Combined State Run at Easter in March 2010 was a smaller affair with about 180 attending. Those from our club that went had a good time with the Saturday Night cruise being a great success and the whole town turning up to see the rods. 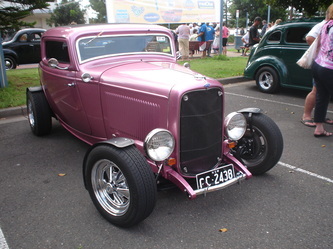 Because the numbers were down from the Nationals the cruise was easier on the rods. 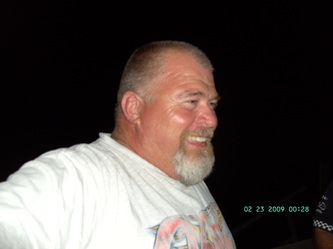 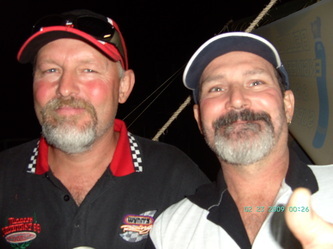 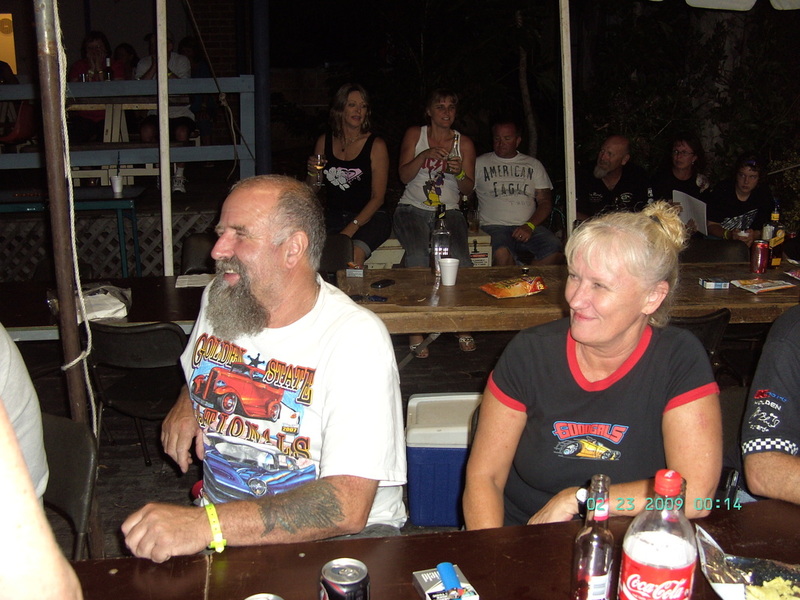 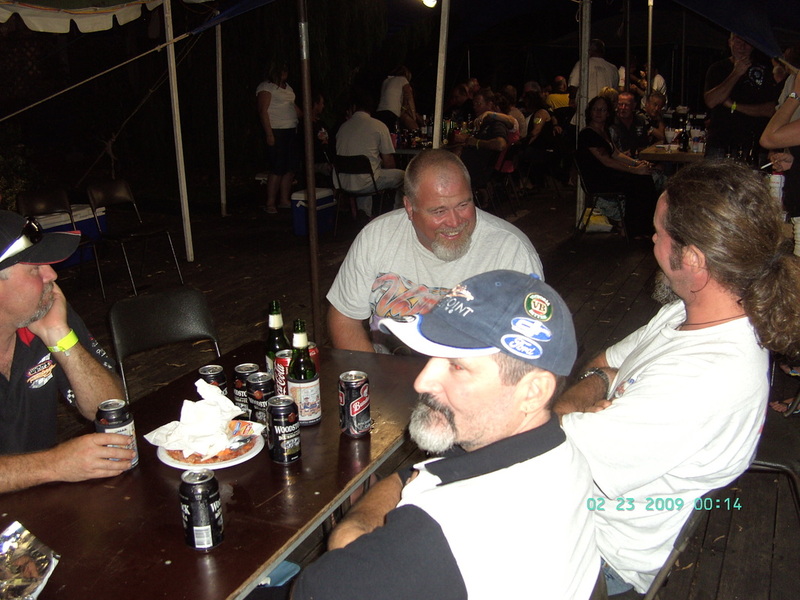 They had a poker run which was fun and from all reports did not cause any divorces. 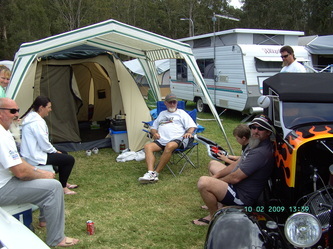 The weather was fine and the weekend laid back but it did liven up when Bob was about. 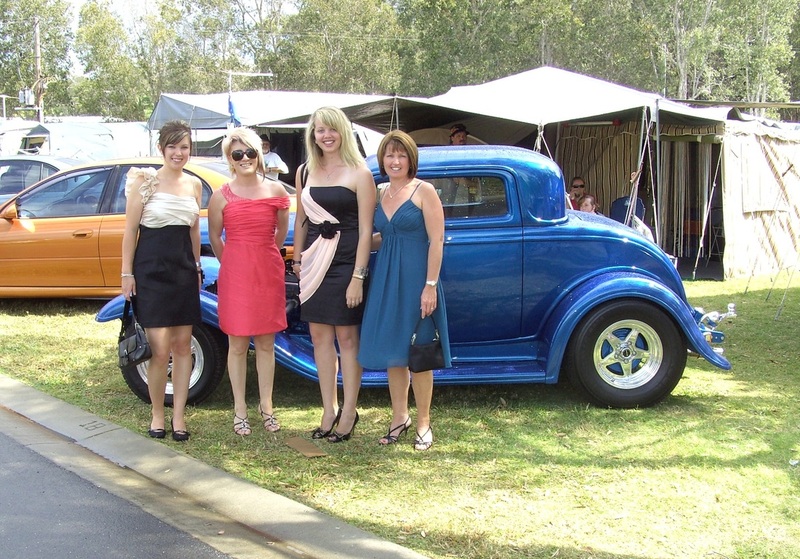 They had good trade stands, charity auction, bands and a good spit roast meal which all added to the success of the weekend. 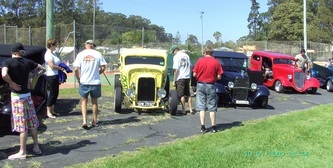 Manning Valley Cruizers held their Mountains to the Sea event at Forster this year on the last weekend in August 2010. 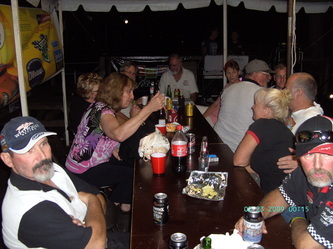 This is another club that really put on a great weekend with food and drinks on the Friday night and breakfast each day. 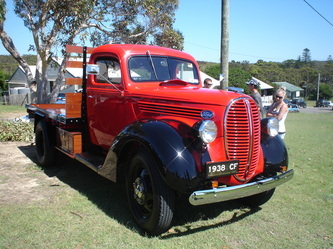 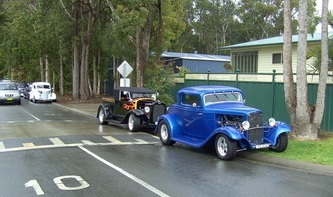 Saturday morning they had a show and shine in Forster. 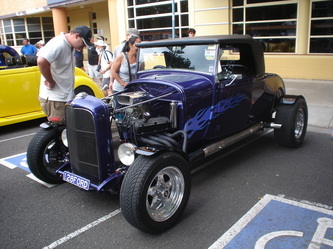 Then a cruise to the club at Pacific Palms where the Rattlesnakes played while we had lunch and sat on the lawn in the sunshine. 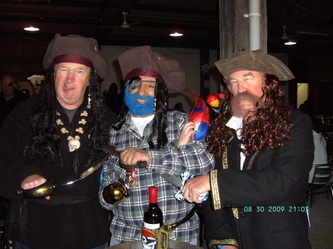 On Saturday Night they had a Pirates and Wenches party and a great spit roast meal, it did get cold that night and it was very windy at times. On the Sunday it was barefoot bowls for those who stayed in the town for the extra night. We had seven members of our club and their families at the event and all enjoyed themselves immensely. 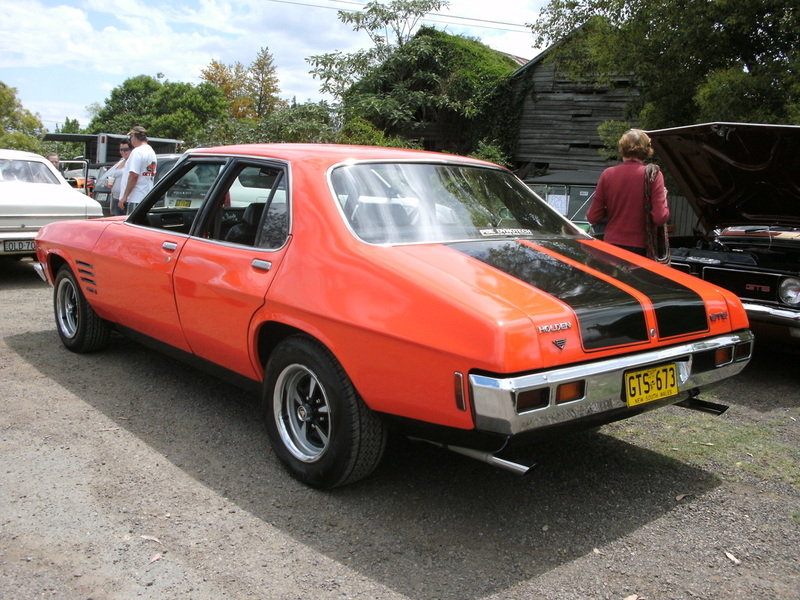 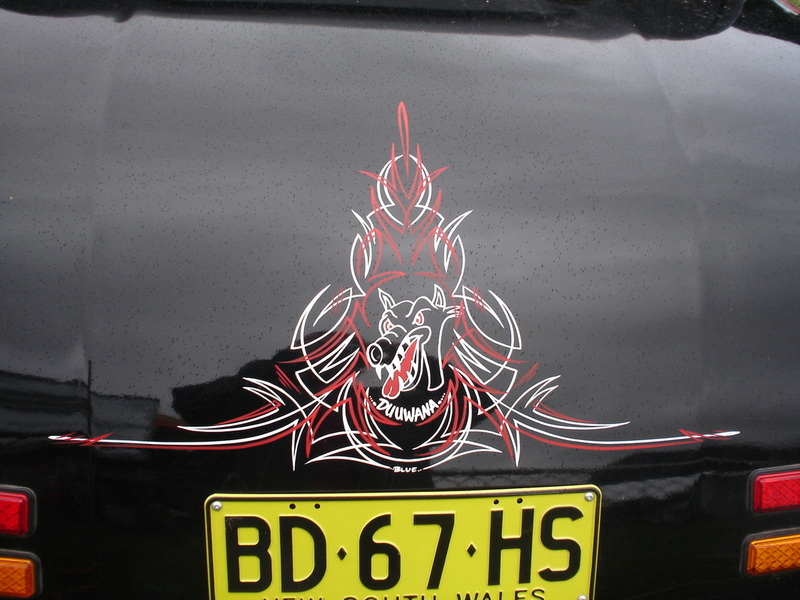 Drag-ens Valla 2010 was another great event. 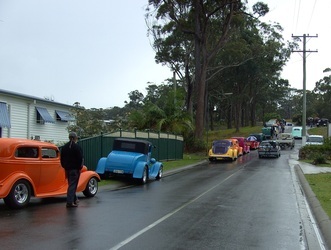 The weather was not as kind to us this year but it didn't dampen things, much. About 370 rods attended with lots of new rods and big dollar vehicles. 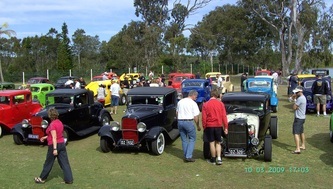 It had all the usual events and some extras which were enjoyed by all who participated. 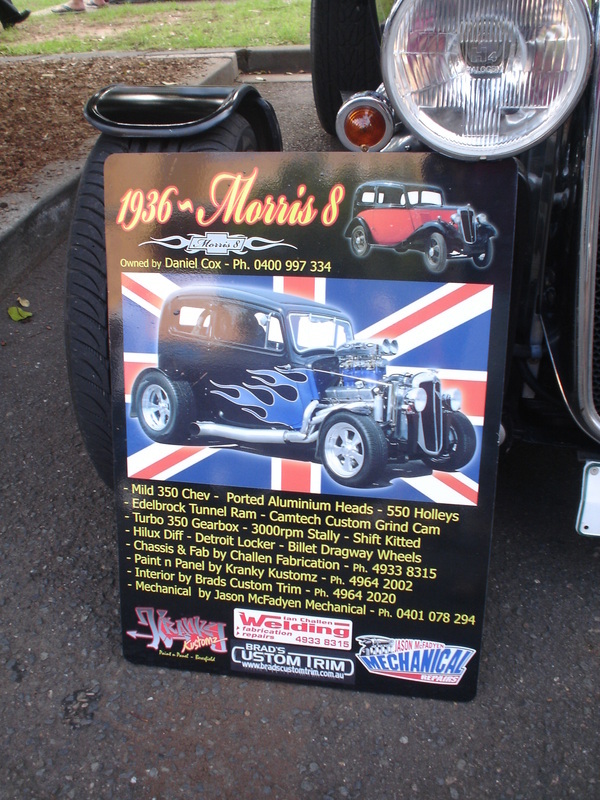 In many Rodders eyes this is the best event on the calendar and should not be missed. 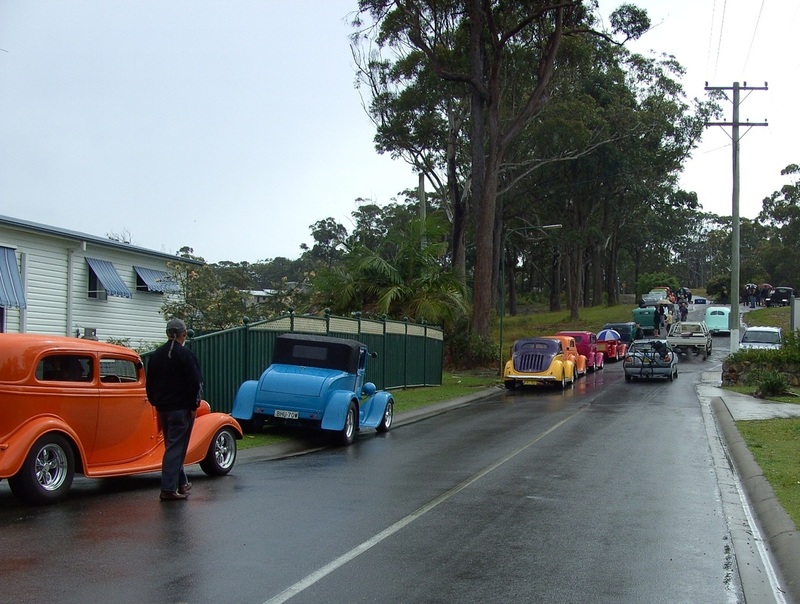 Our club had another good attendance and although most got wet, especially on the way home, they will all be back next year to do it again. 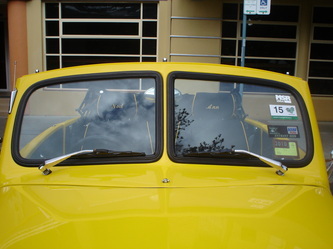 On the way home Paul found out the windscreen on his new coupe leaks badly and everything inside got wet. 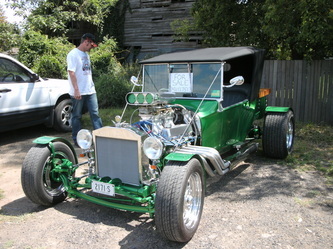 He also had wiper problems and now has something to do in his spare time. 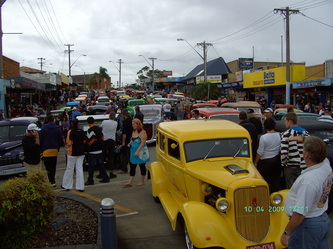 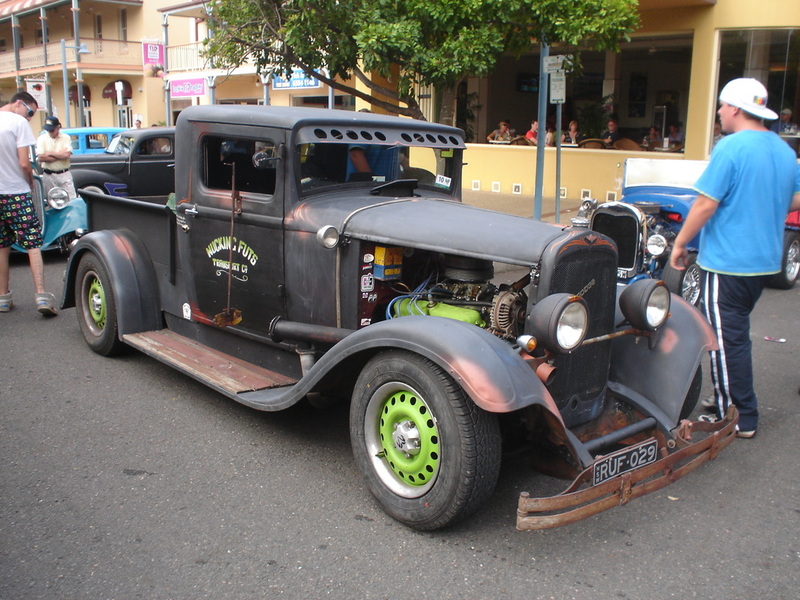 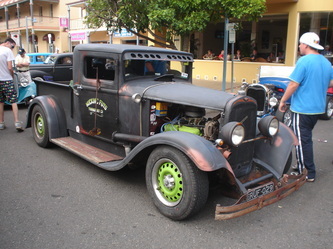 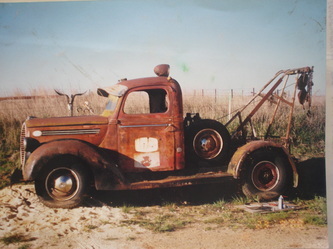 Maitland Street Rodders in conjunction with the Grand Junction Hotel put on Junkyard Rods at the end of October 2010. 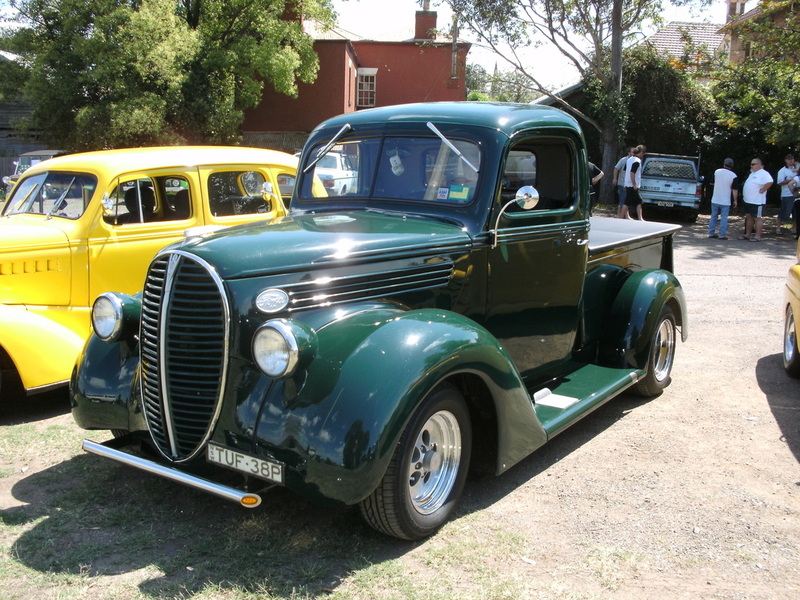 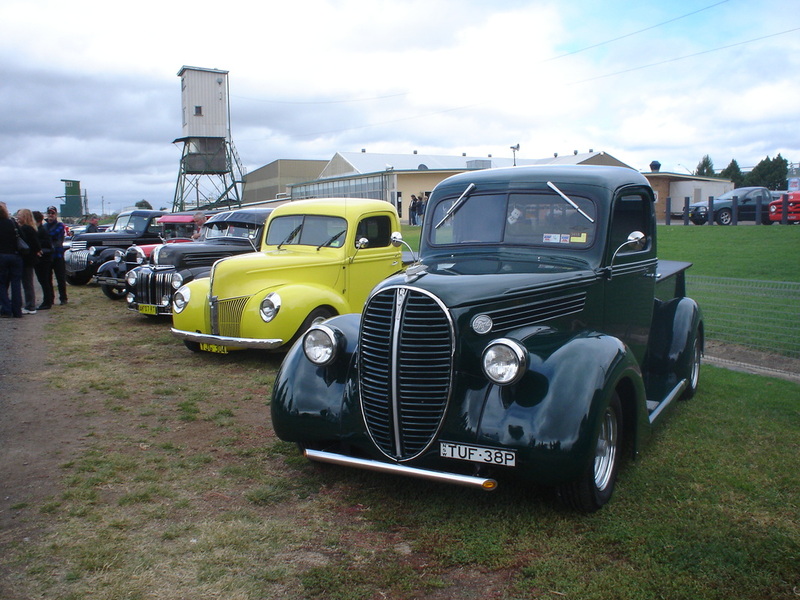 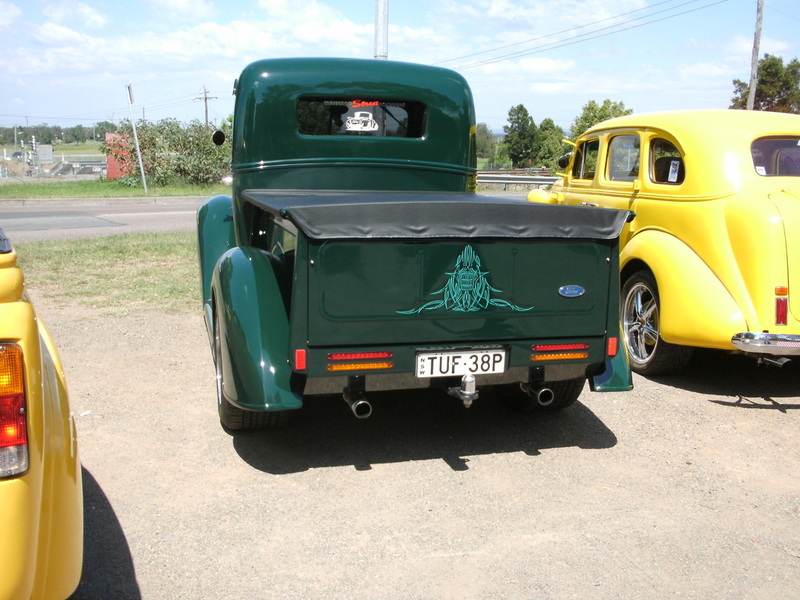 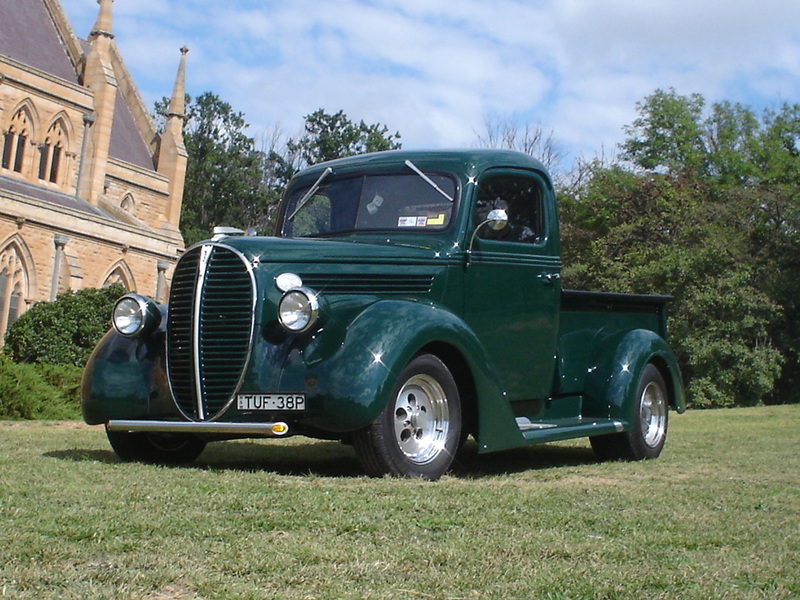 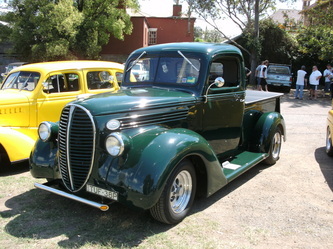 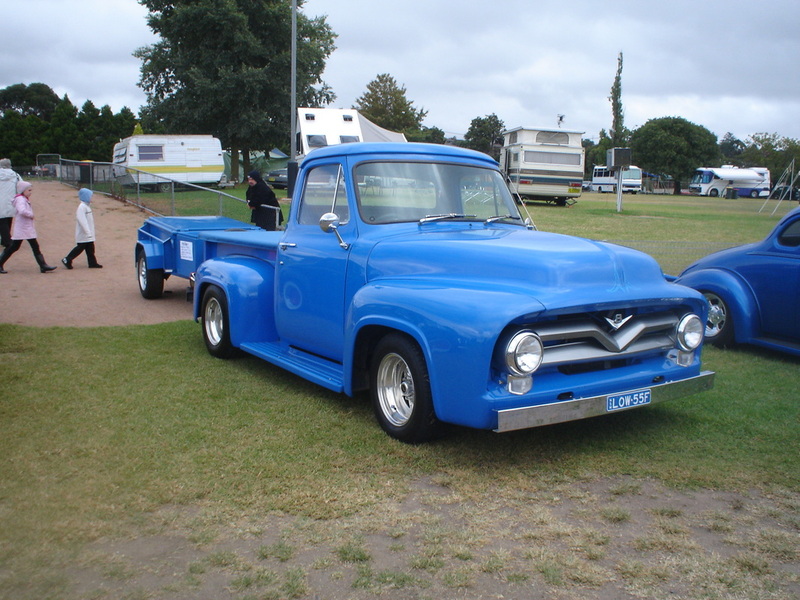 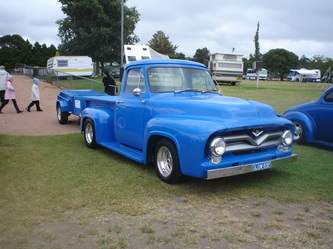 We saw 42 Rods and Customs turn up for this inaugural event. 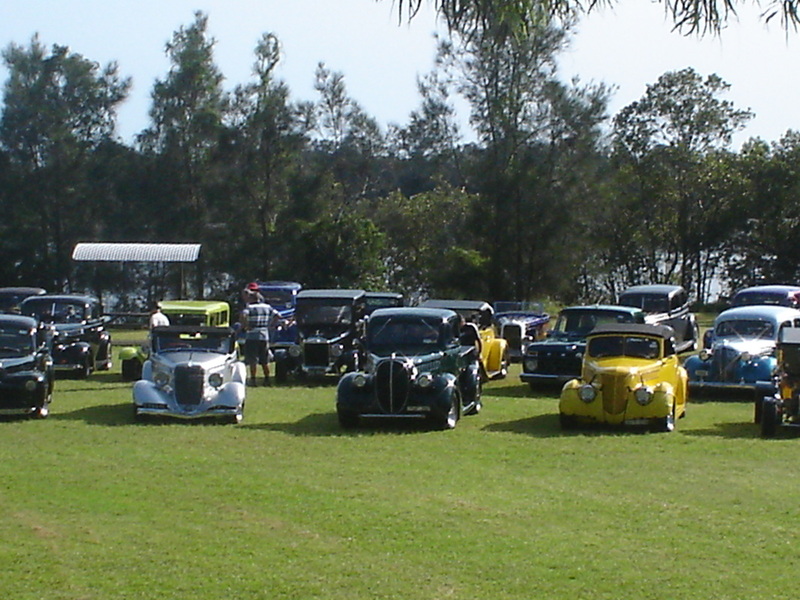 It was nice to see 17 of our members at the event which was held on a fine day. We had trophies in several categories and the publican put on 4 bands and had a 50's style fashion parade. A great day was had by all and the publican is keen to have another show next year.